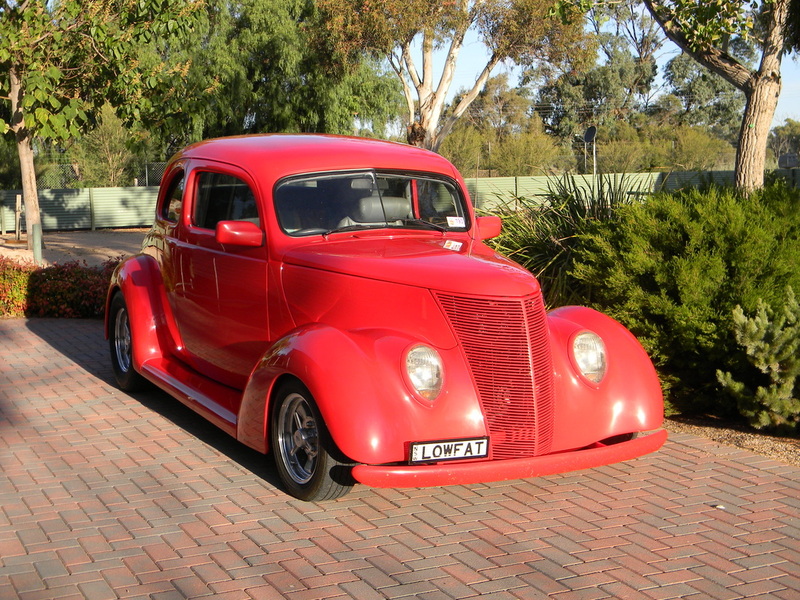 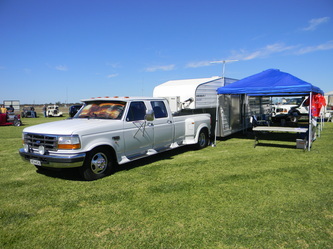 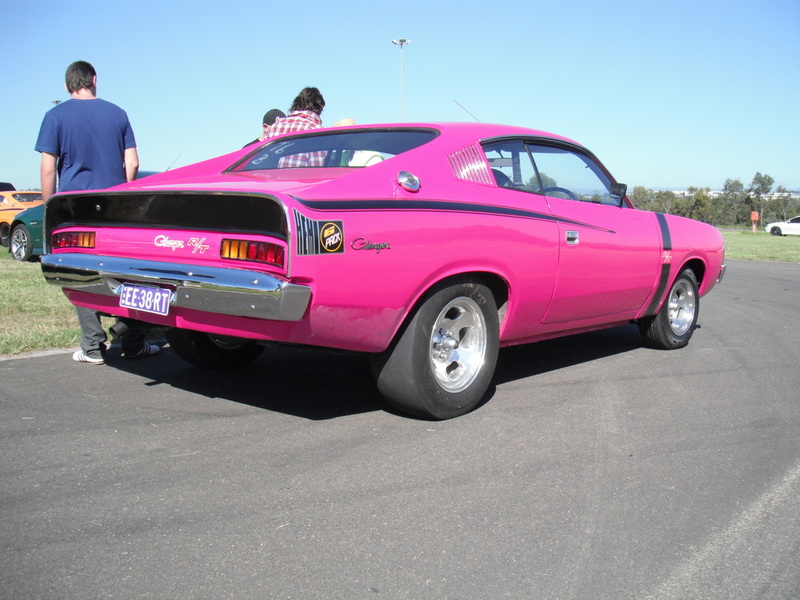 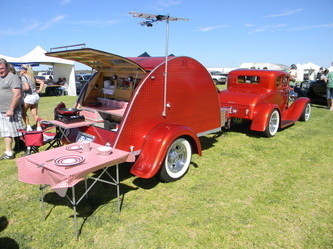 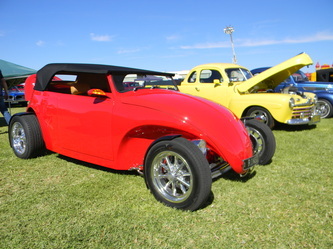 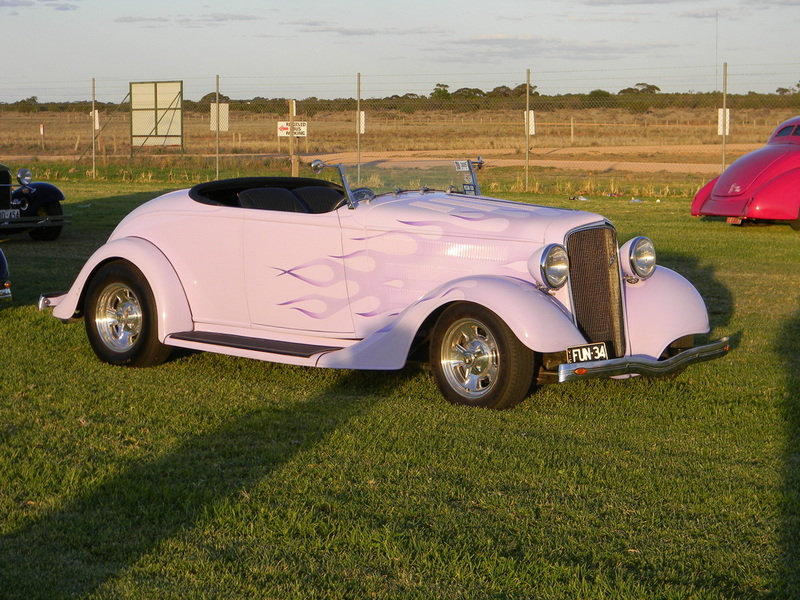 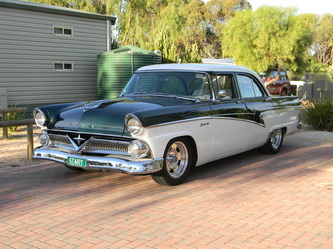 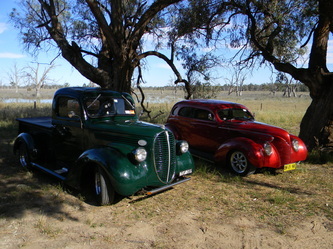 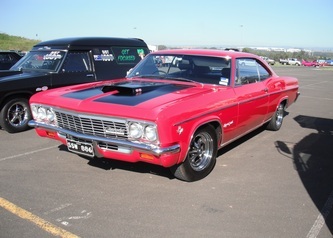 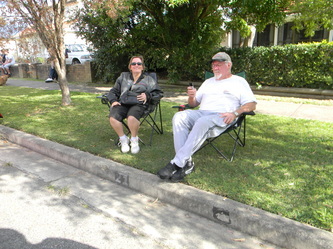 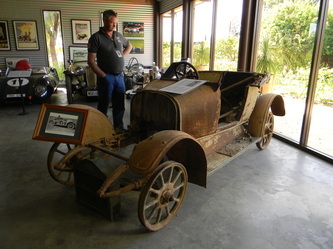 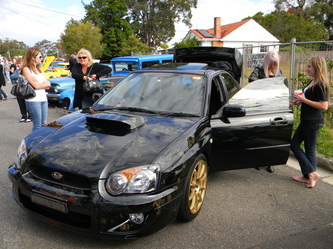 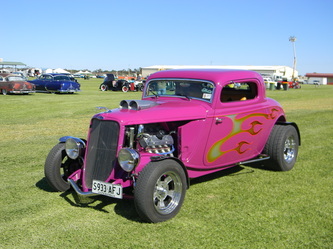 What a great weekend this was in Barmera, South Australia. I am not sure exactly how many entrants they had but I did see a rod with the entrant number 459, so they had a lot of rods at the event. 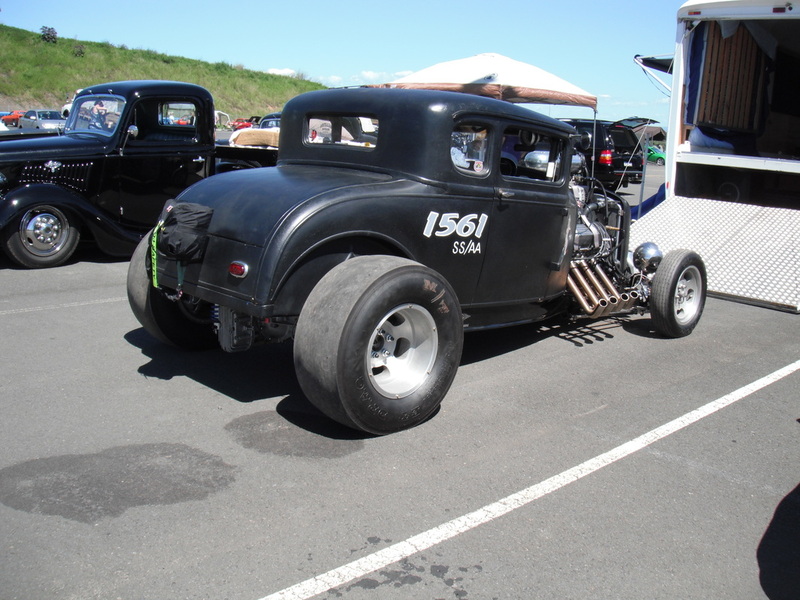 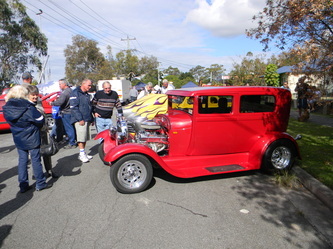 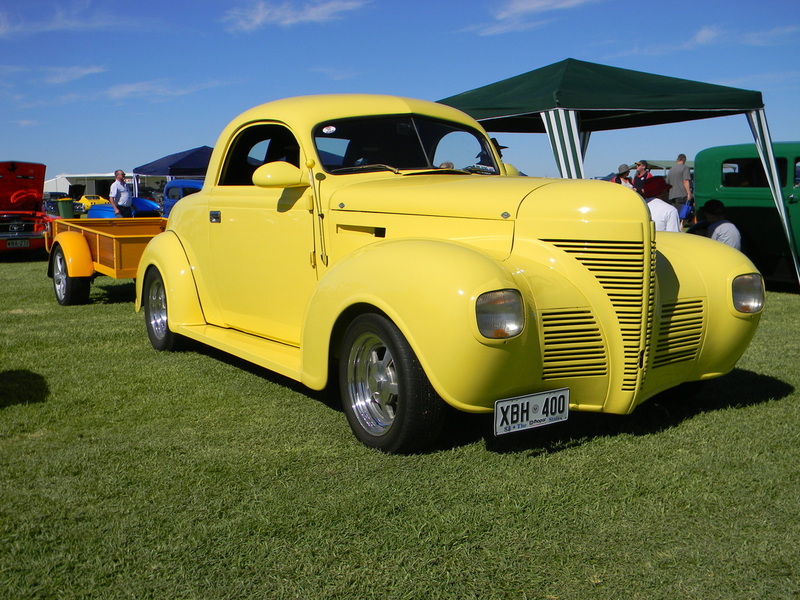 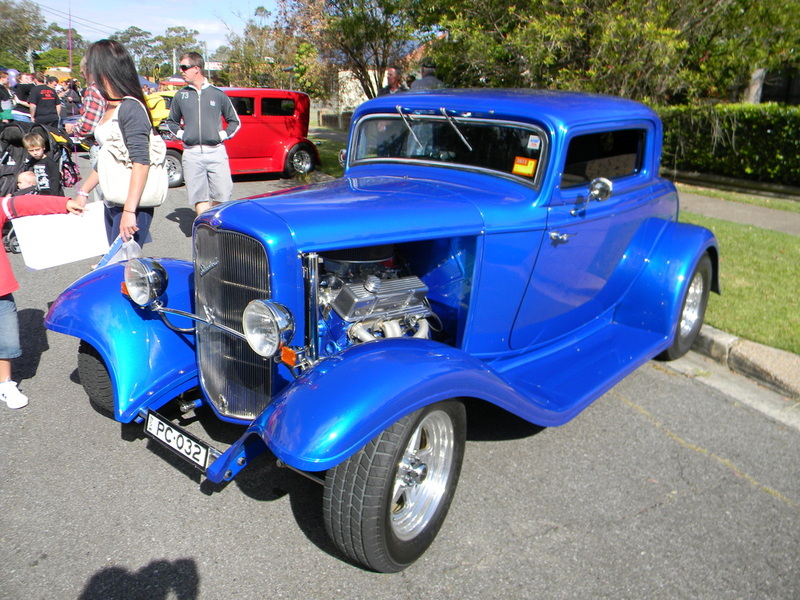 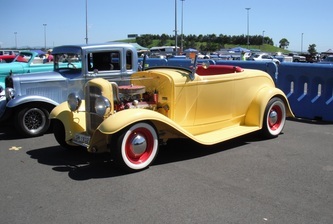 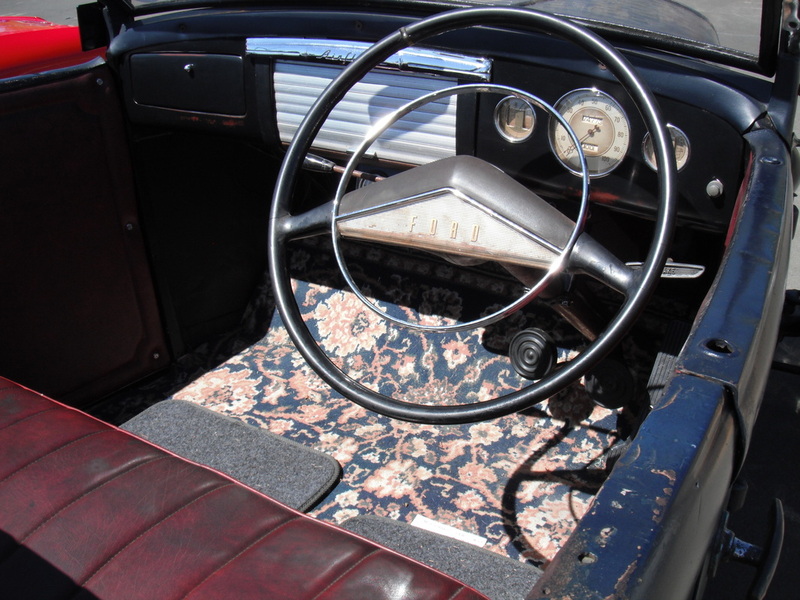 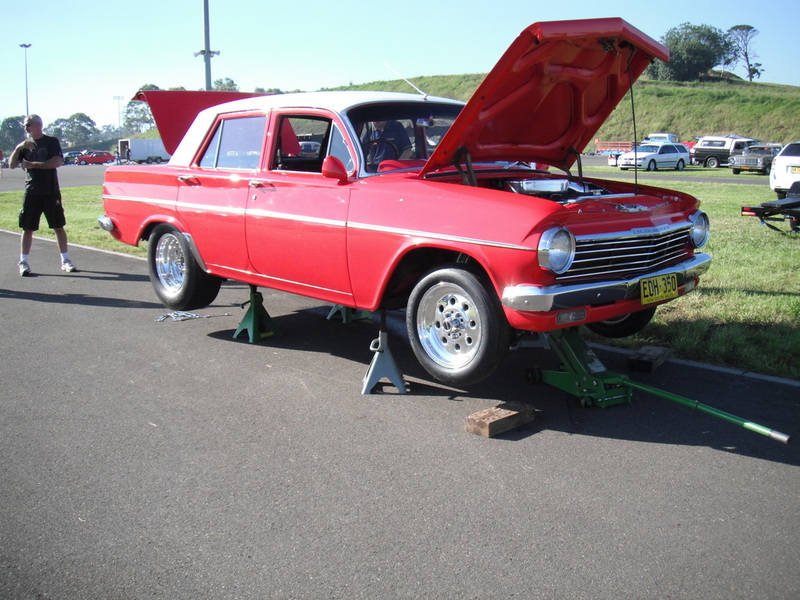 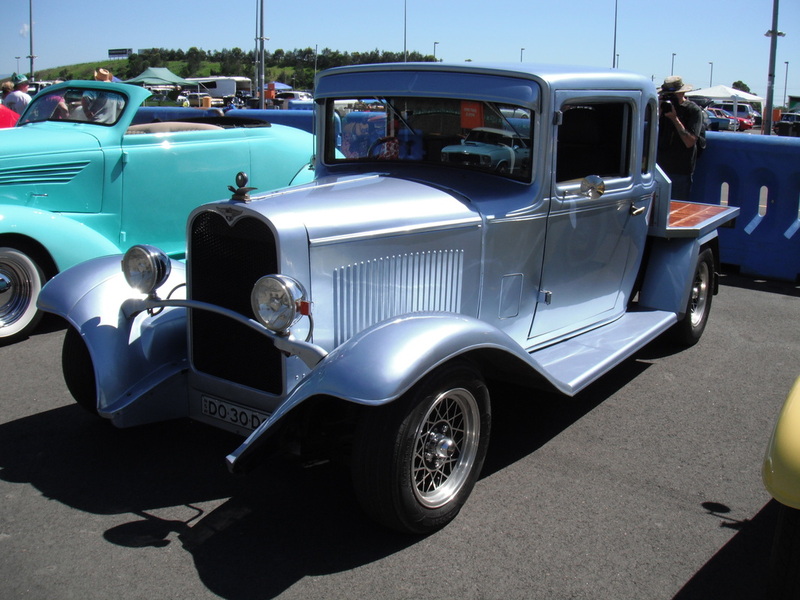 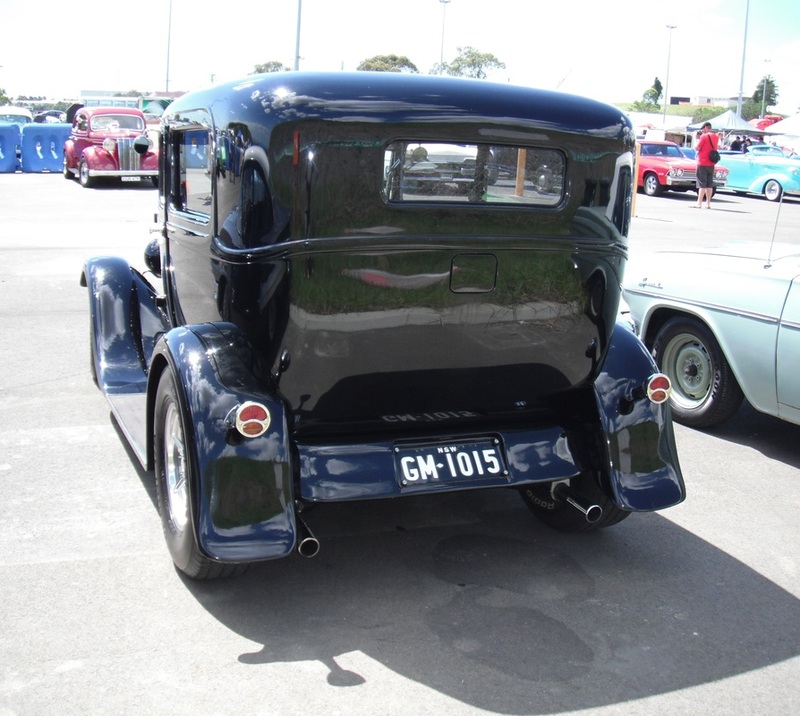 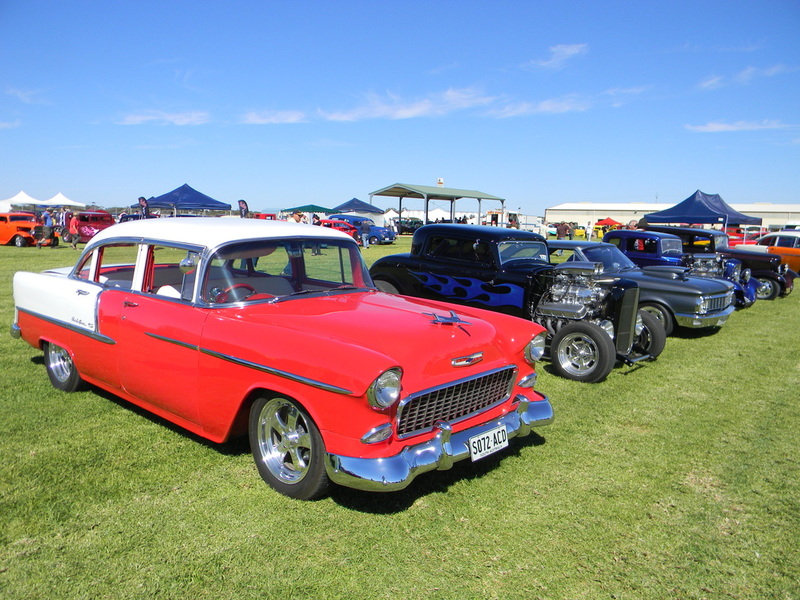 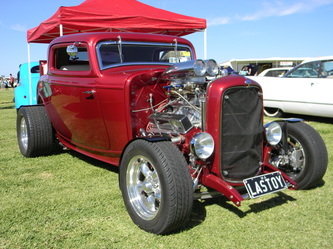 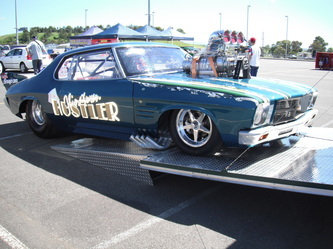 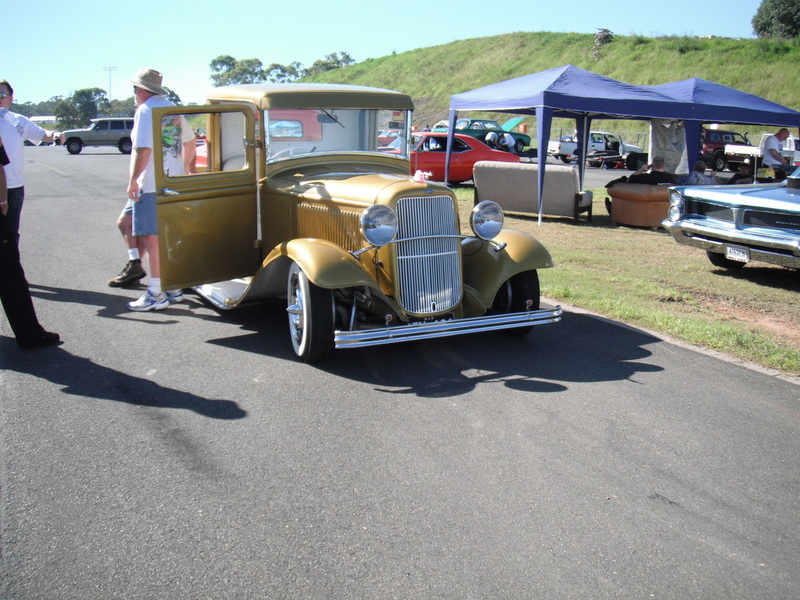 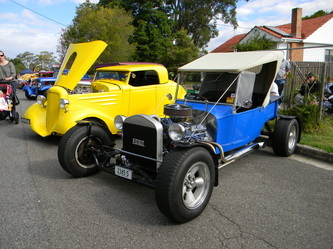 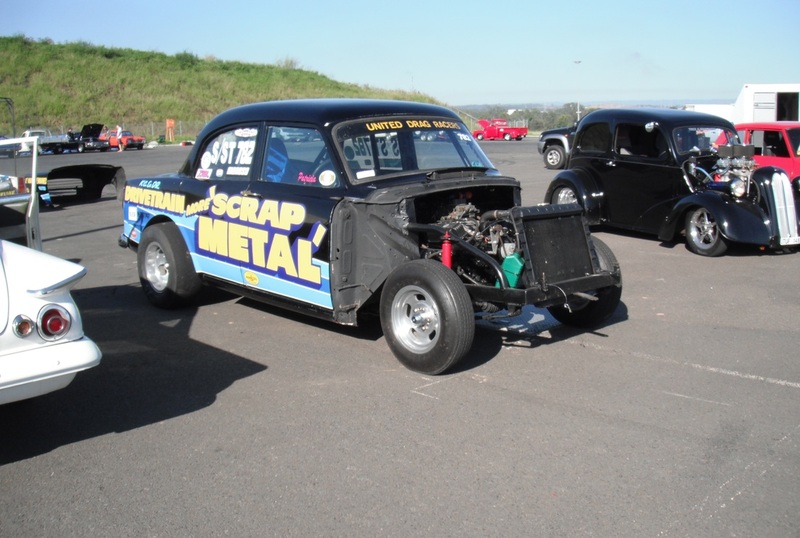 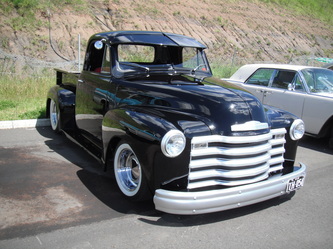 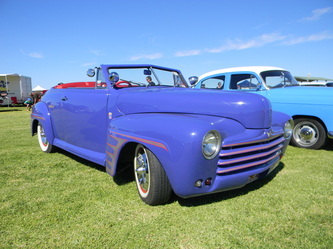 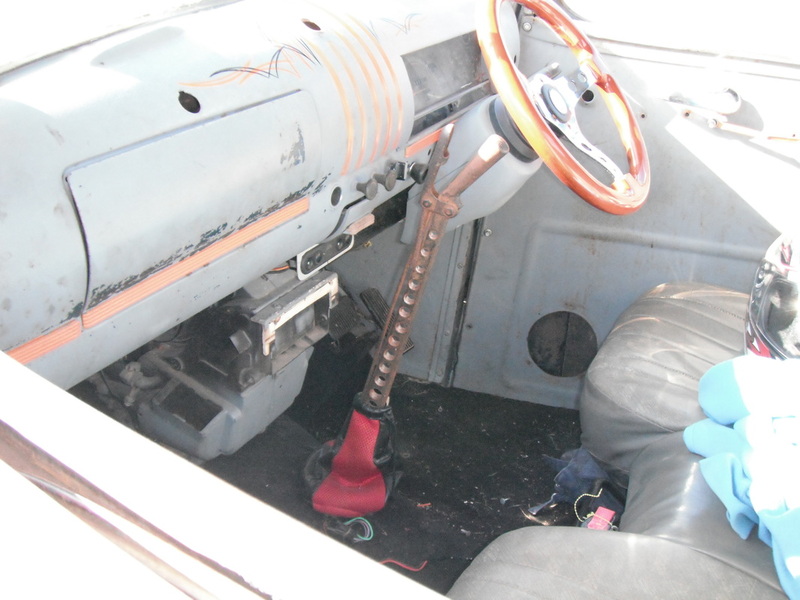 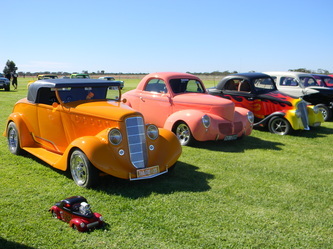 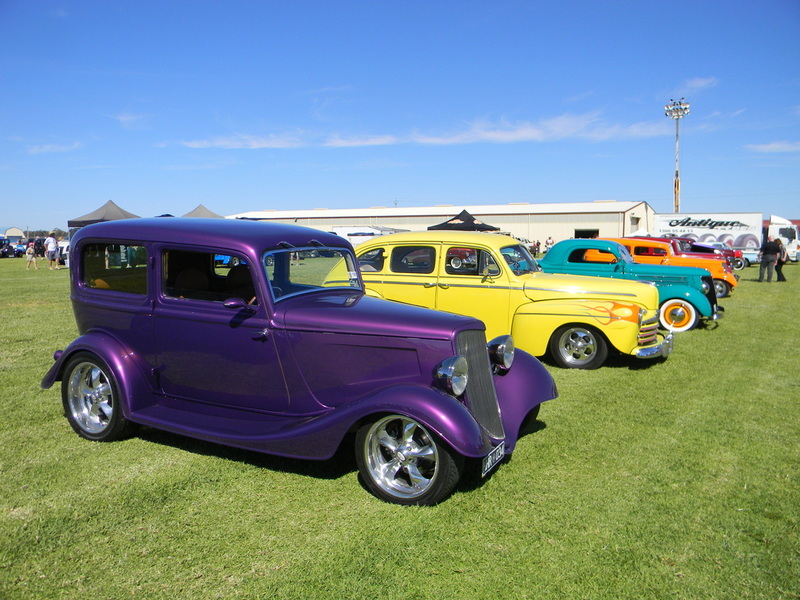 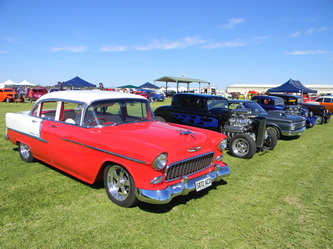 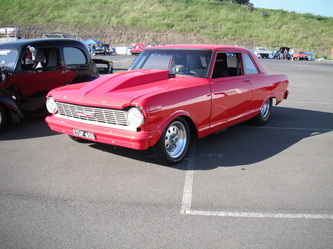 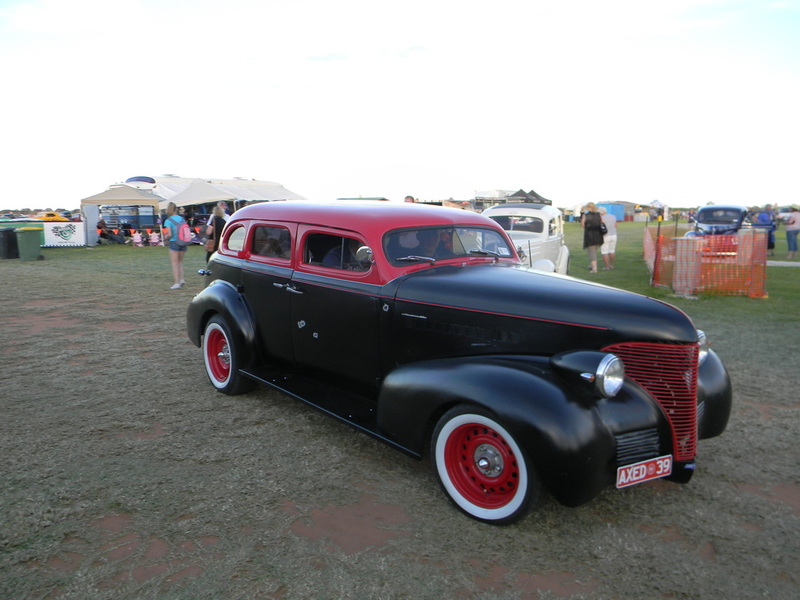 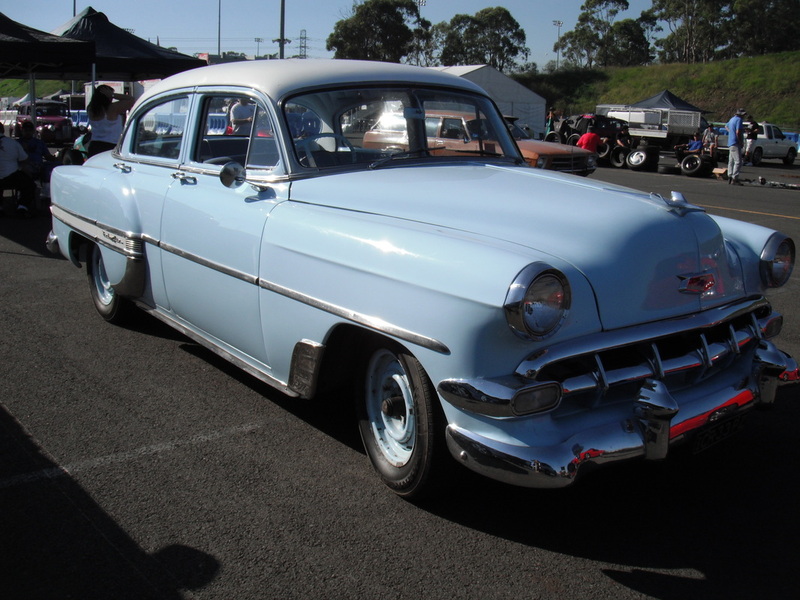 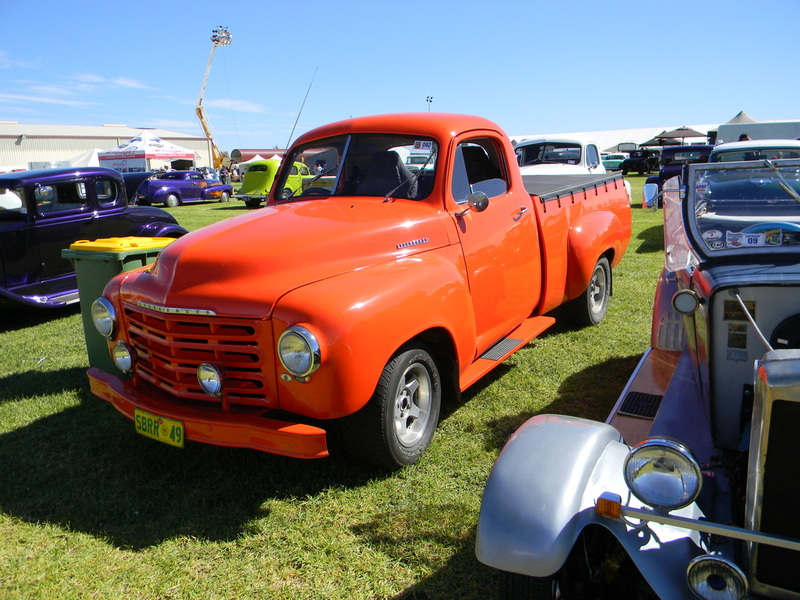 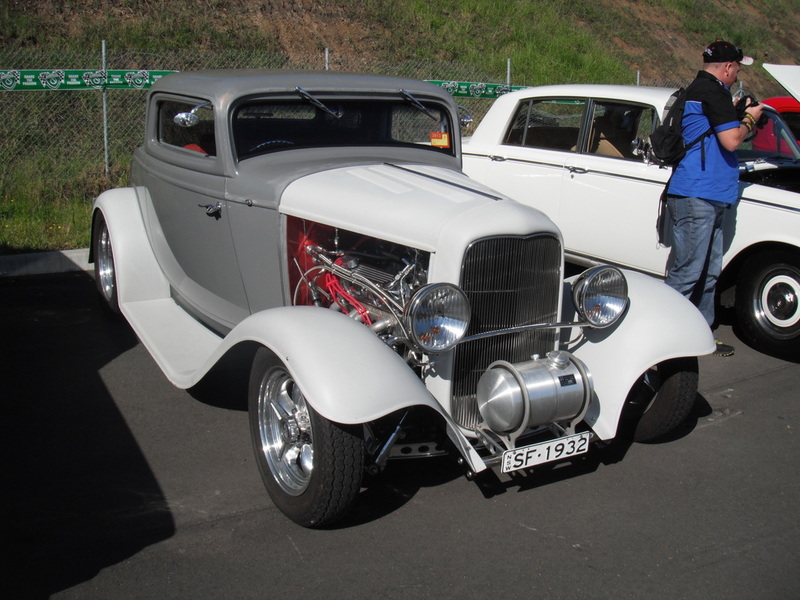 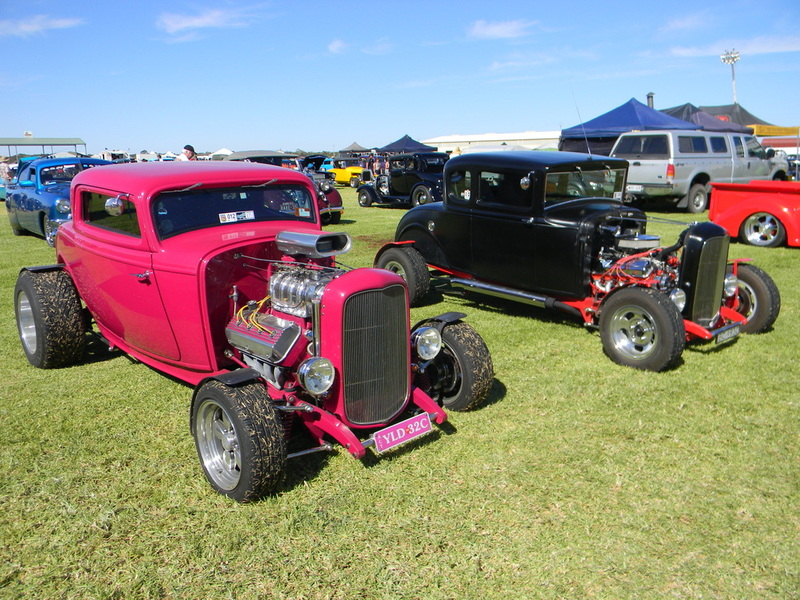 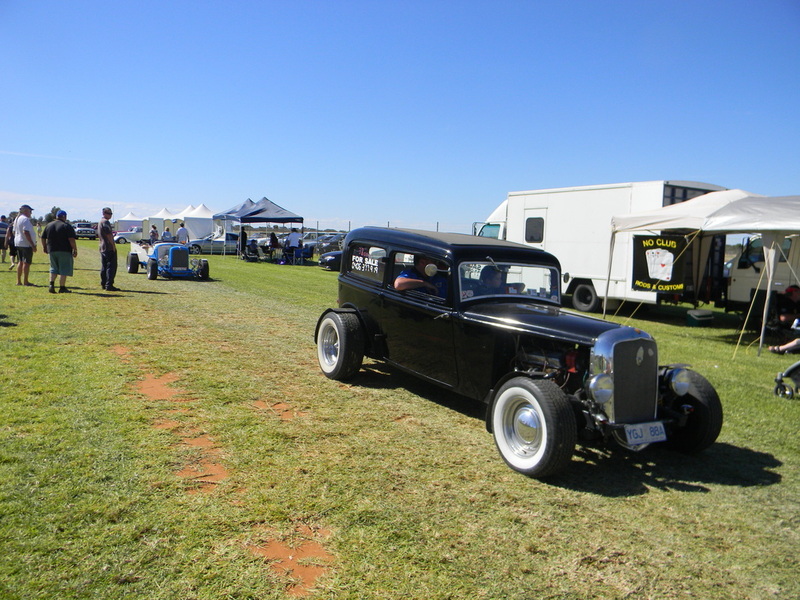 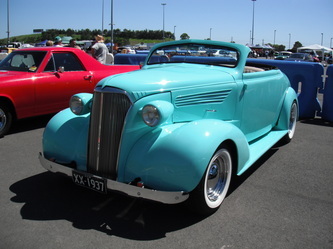 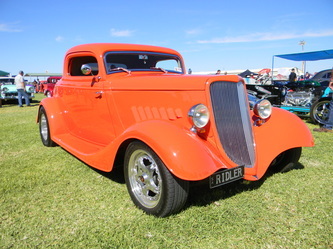 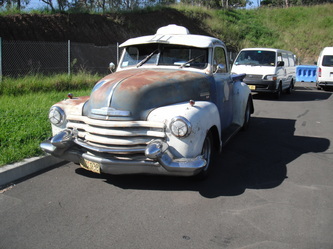 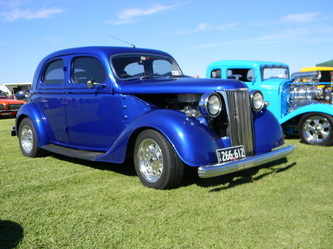 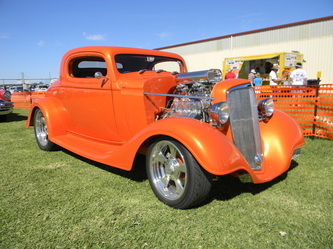 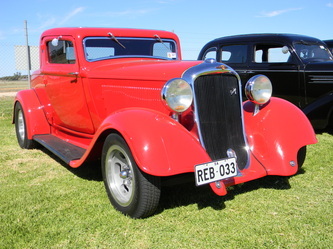 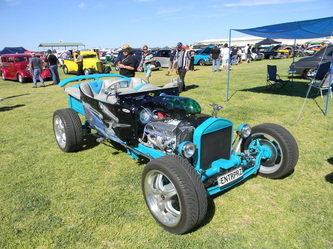 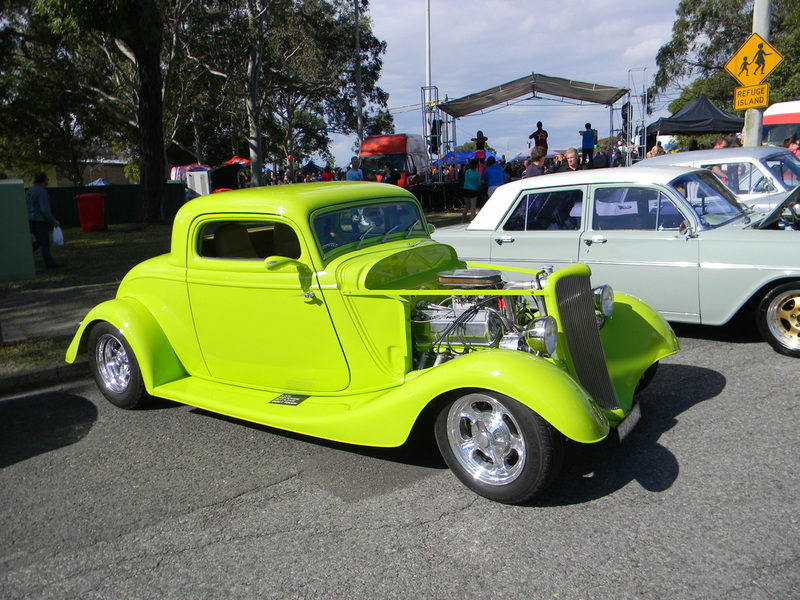 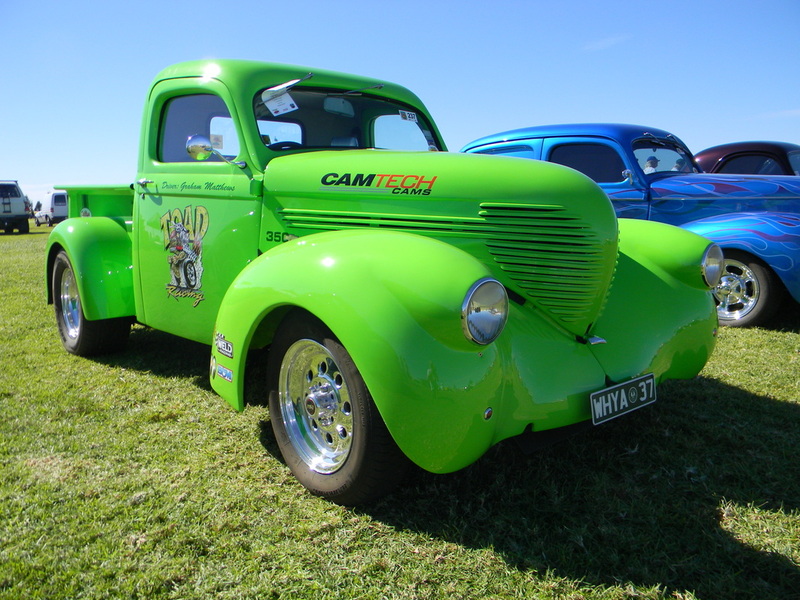 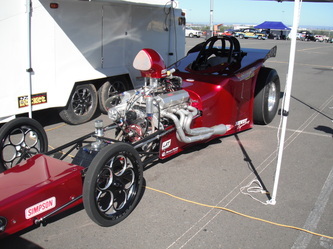 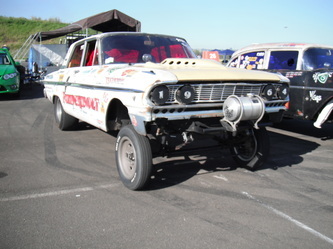 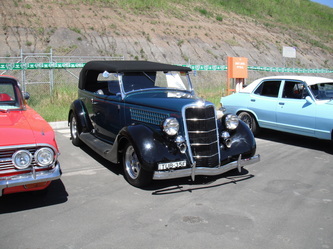 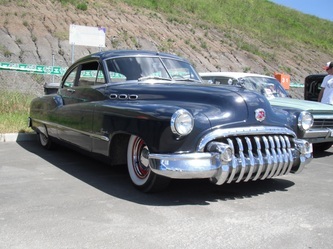 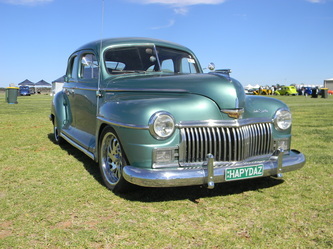 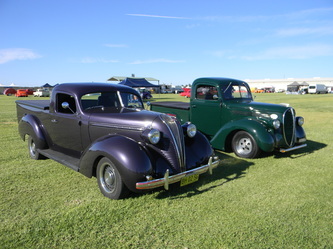 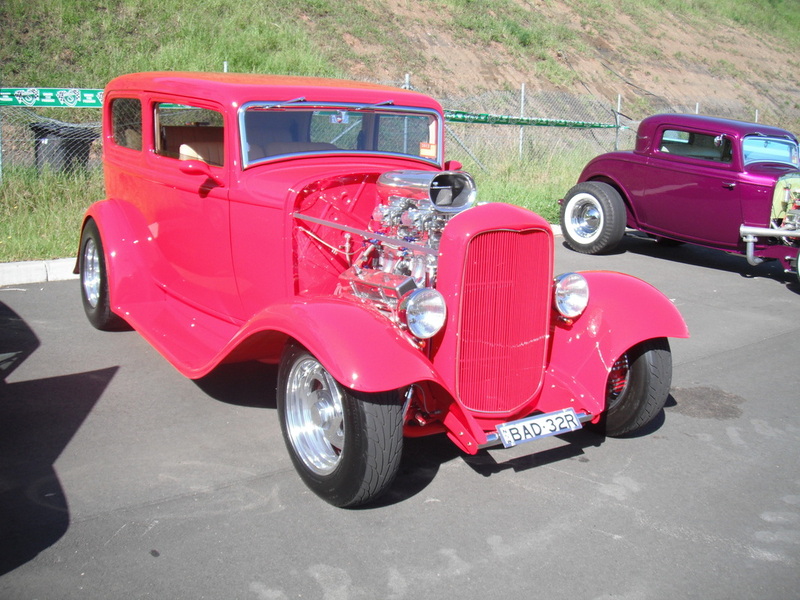 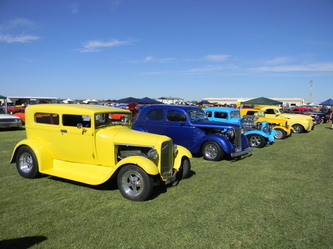 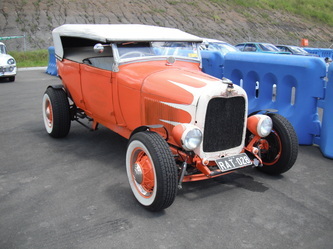 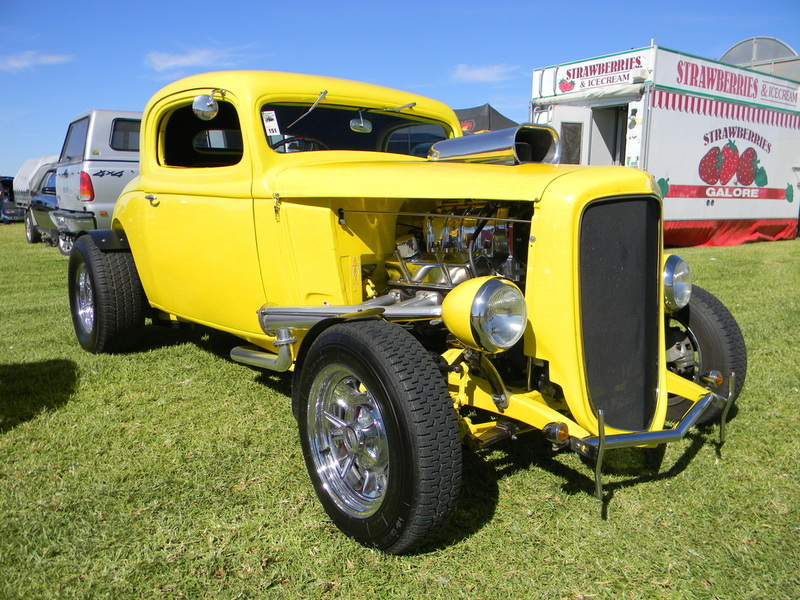 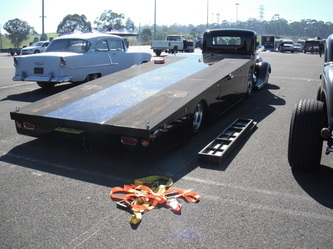 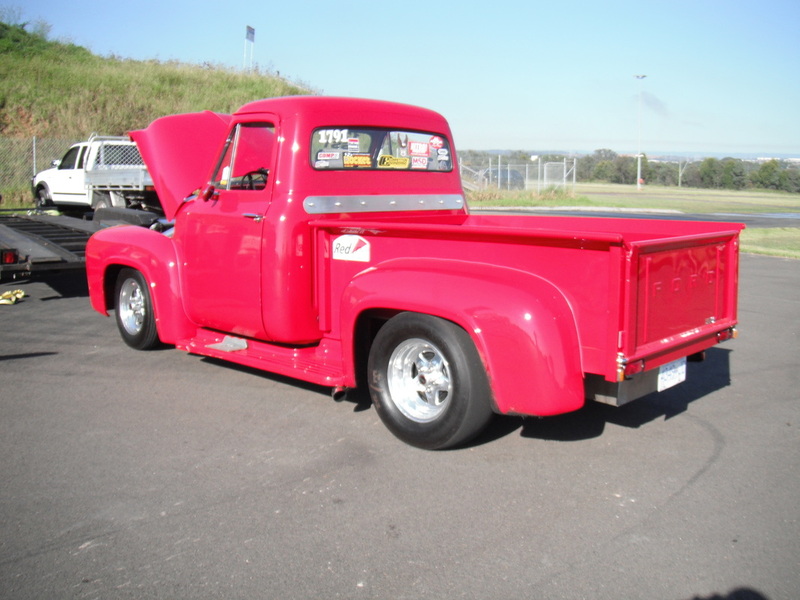 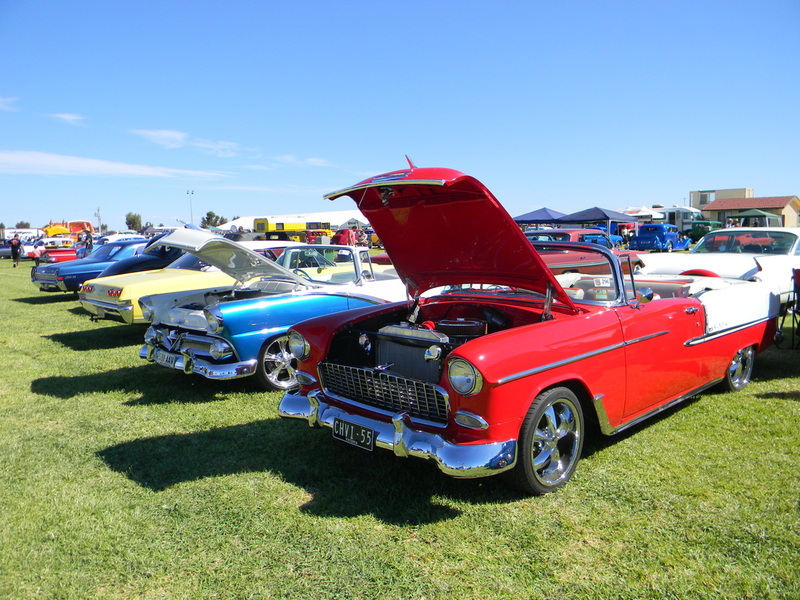 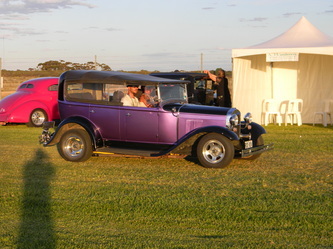 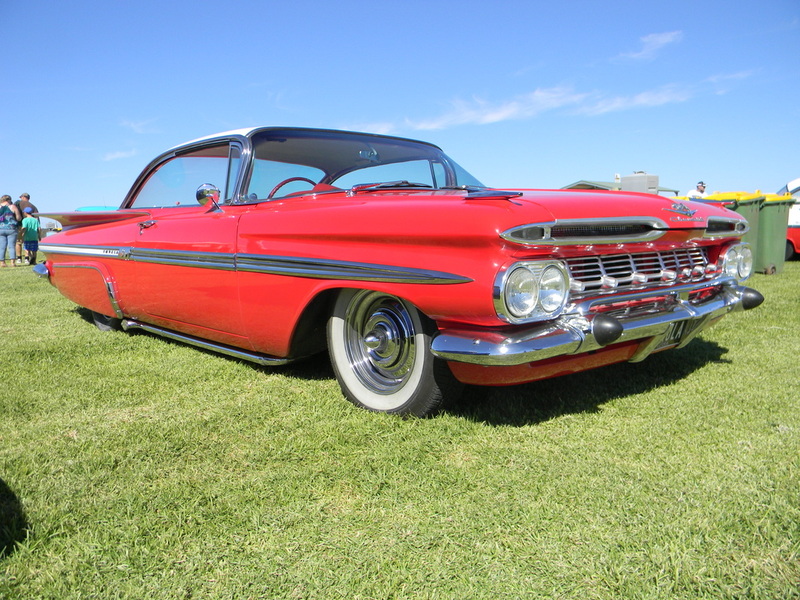 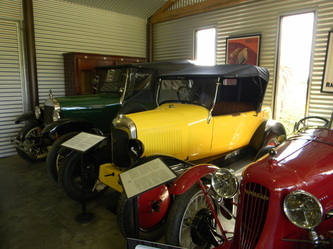 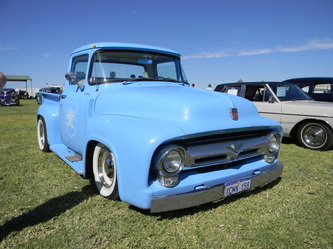 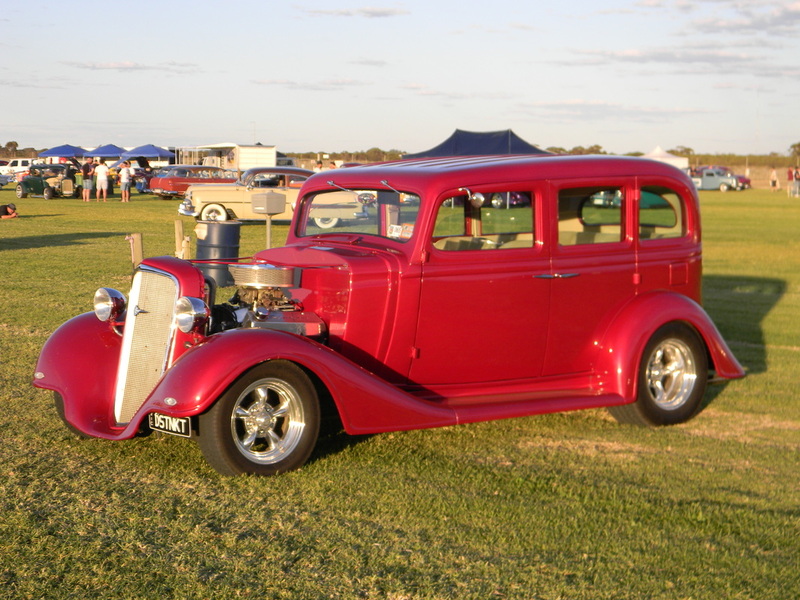 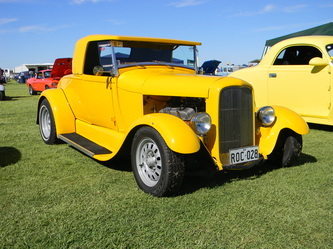 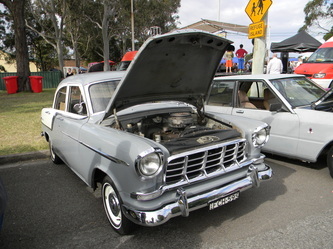 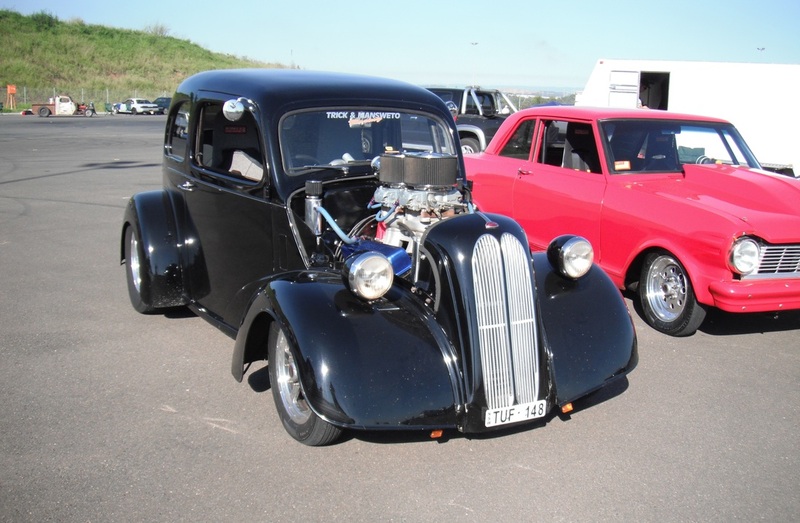 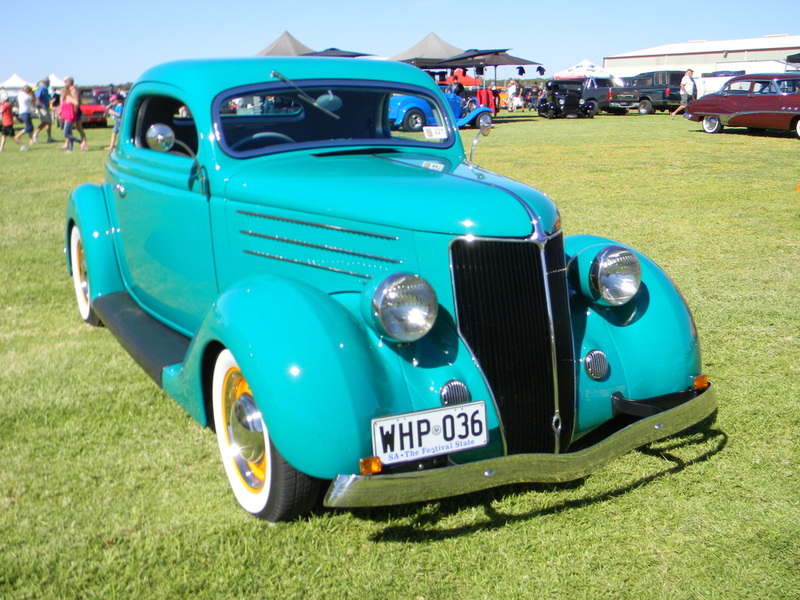 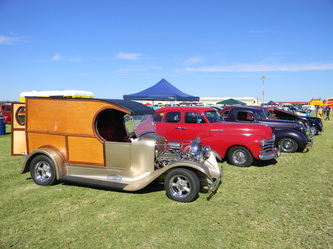 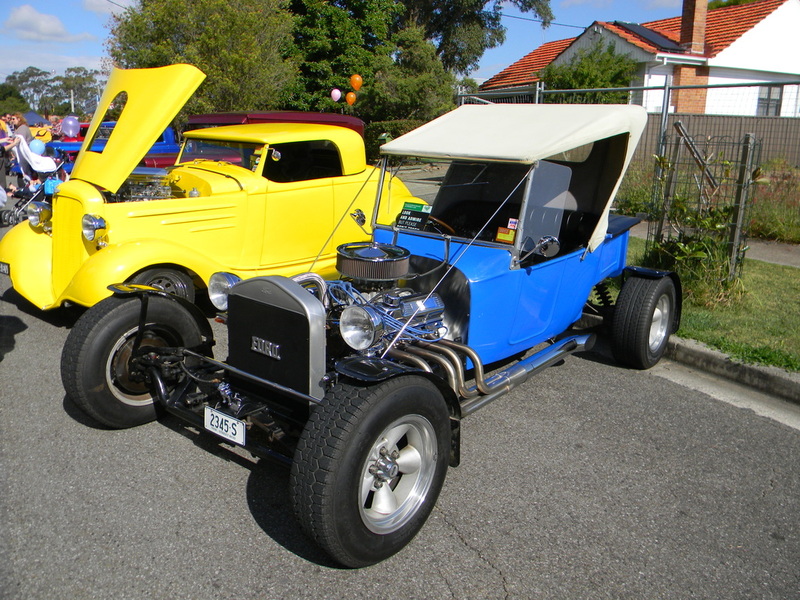 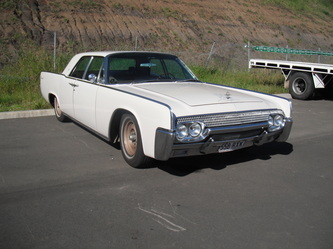 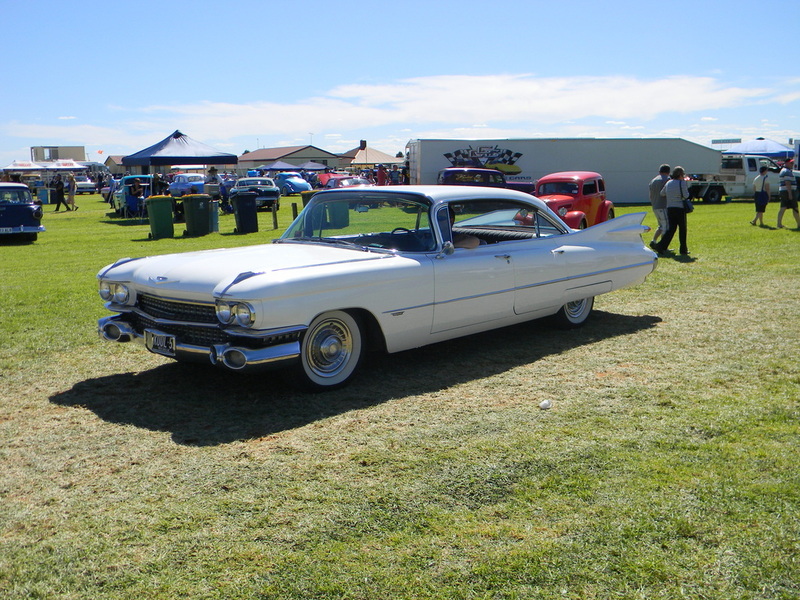 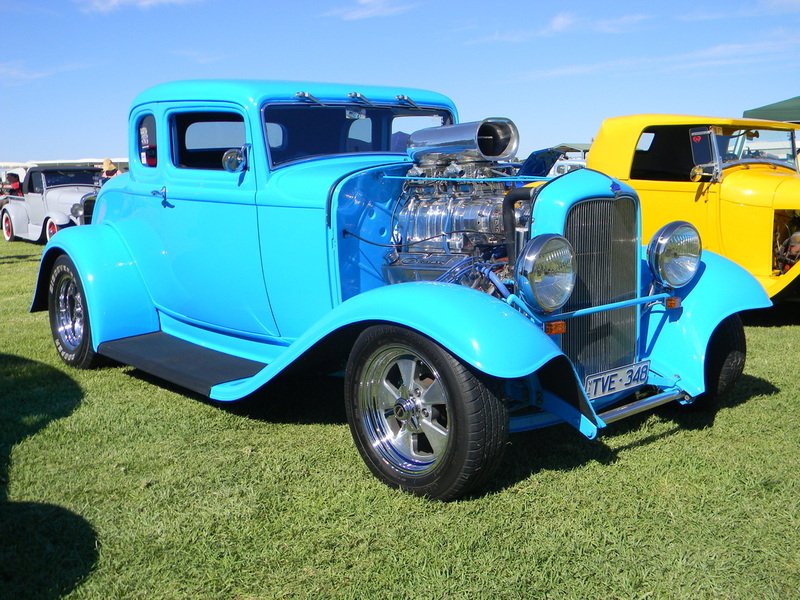 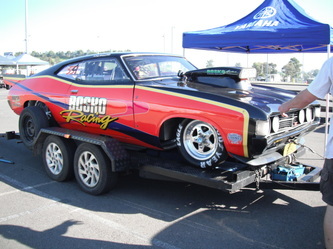 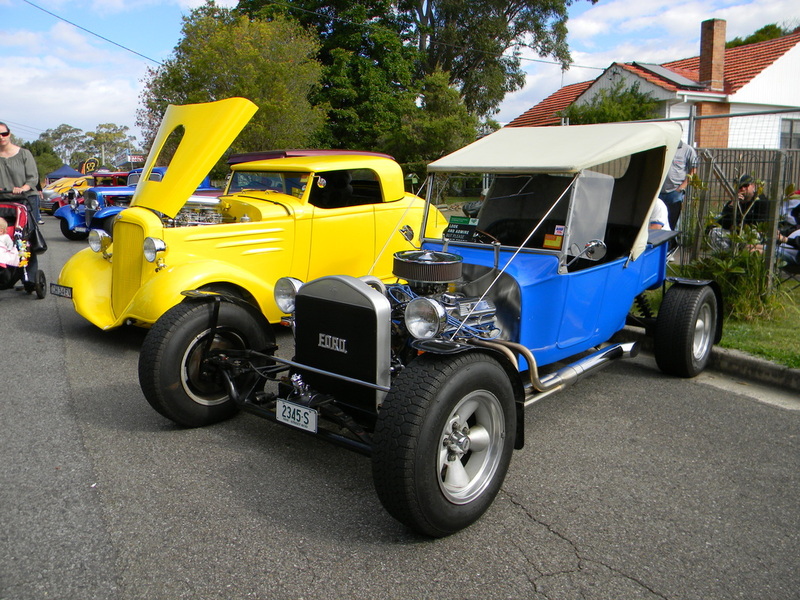 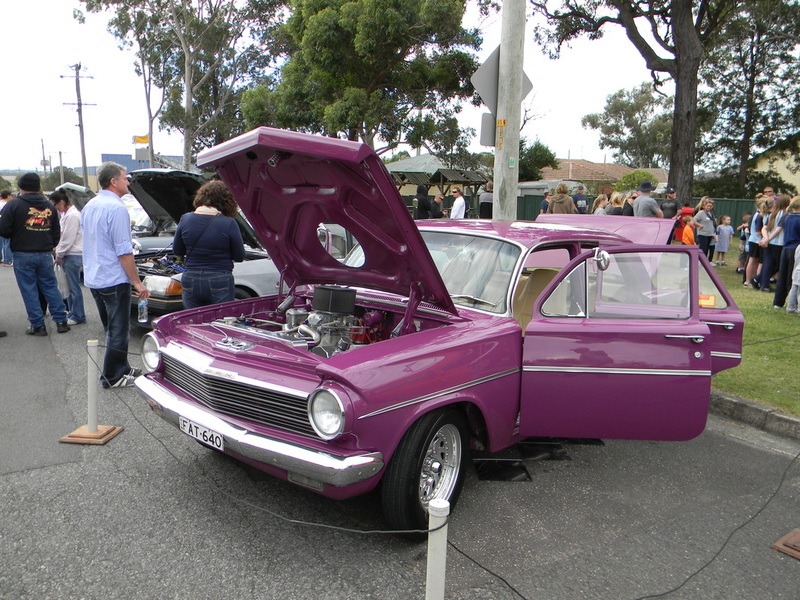 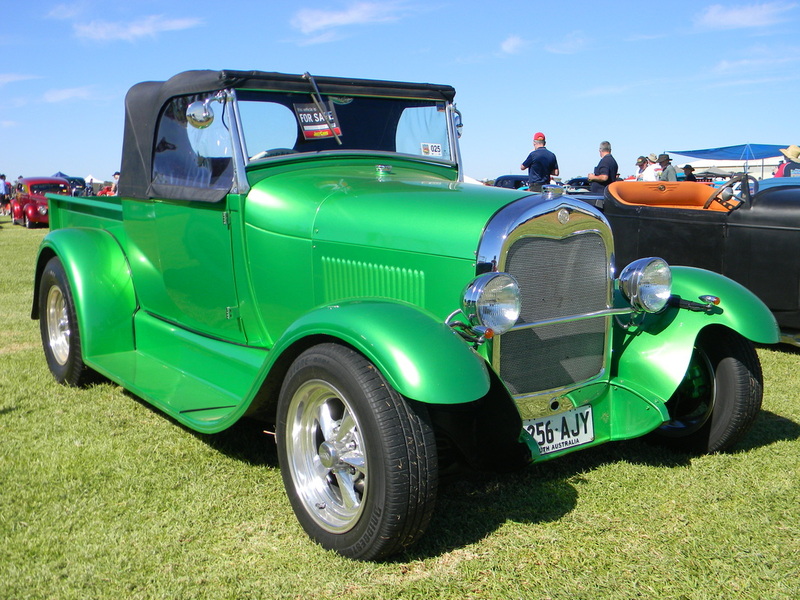 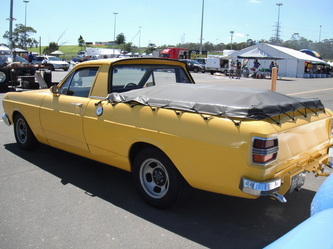 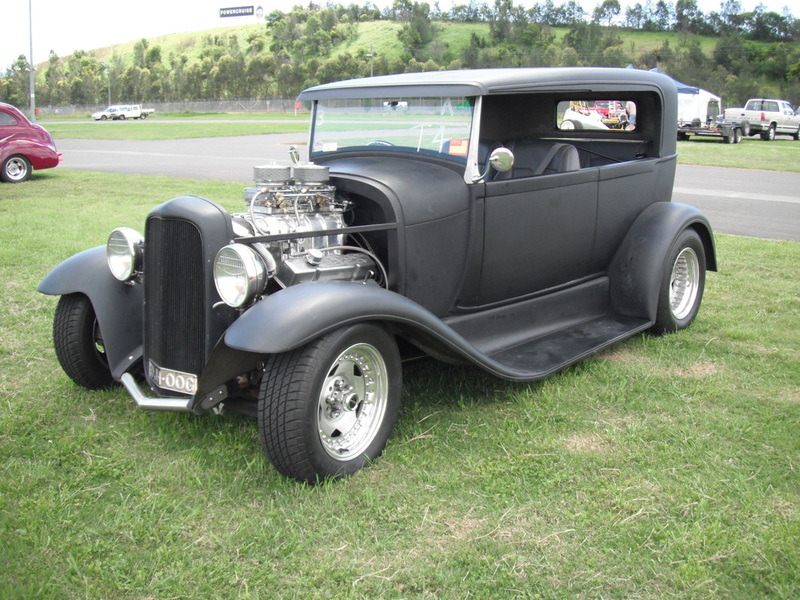 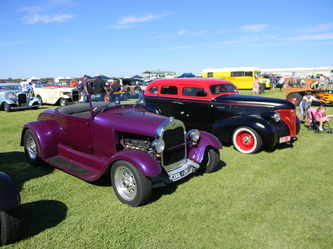 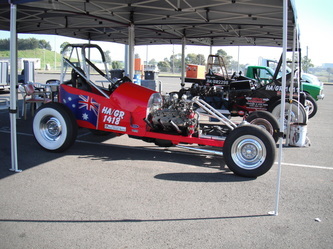 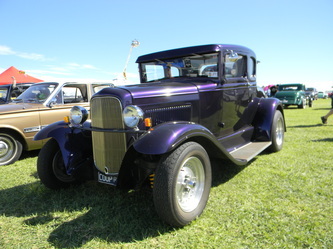 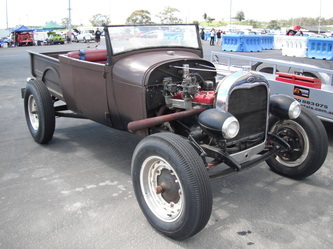 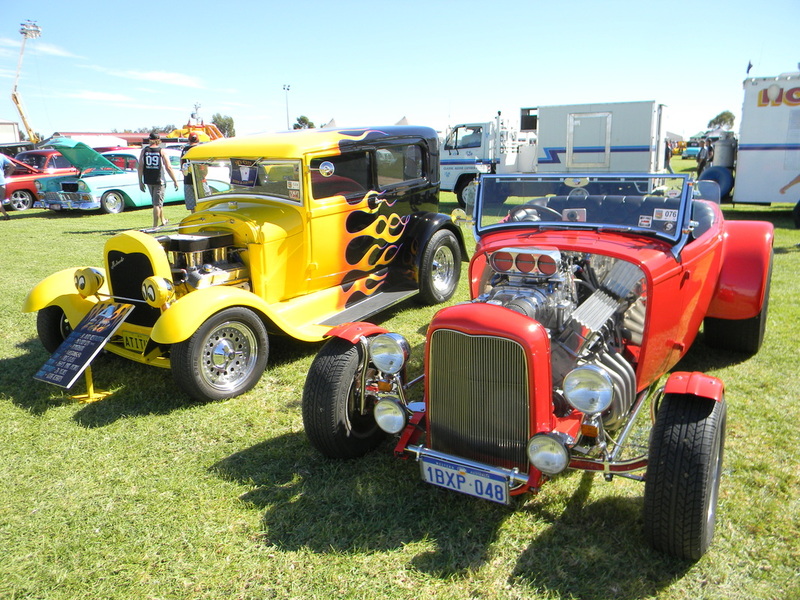 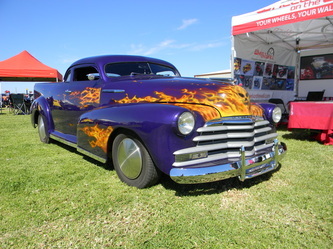 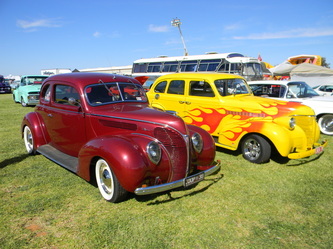 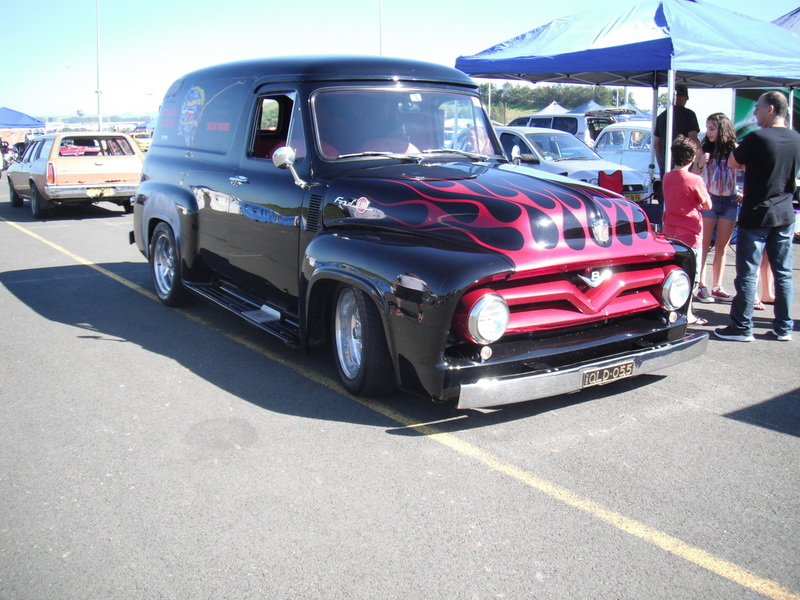 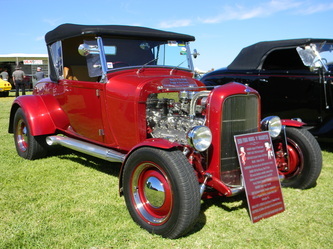 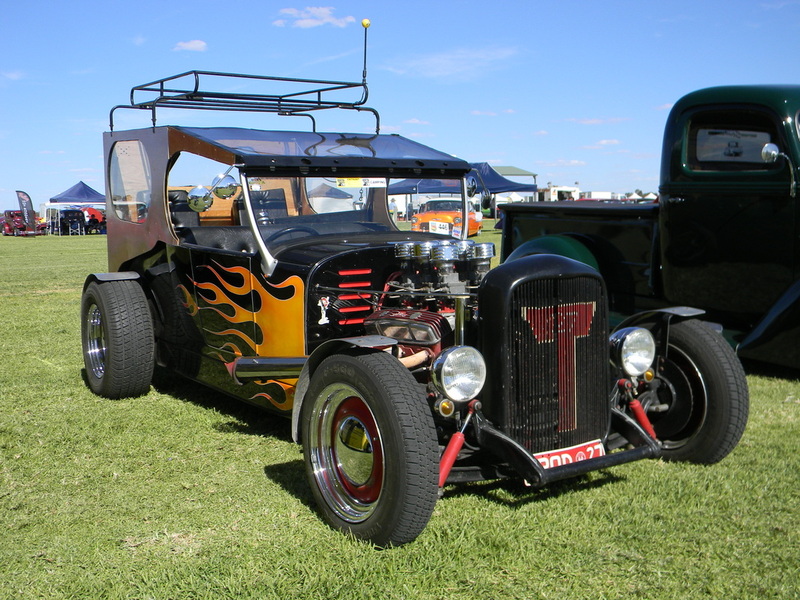 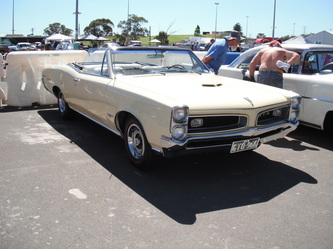 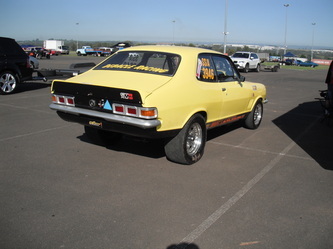 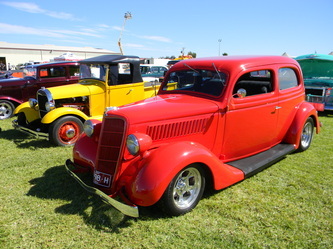 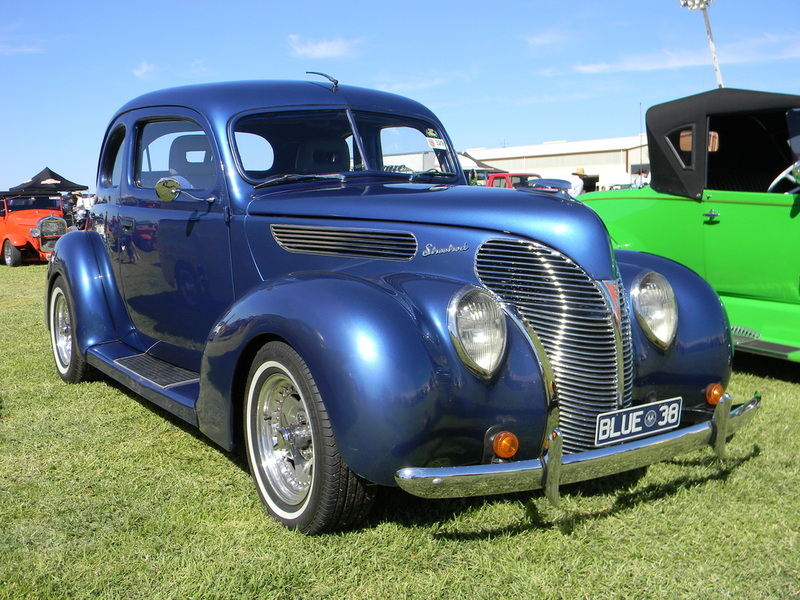 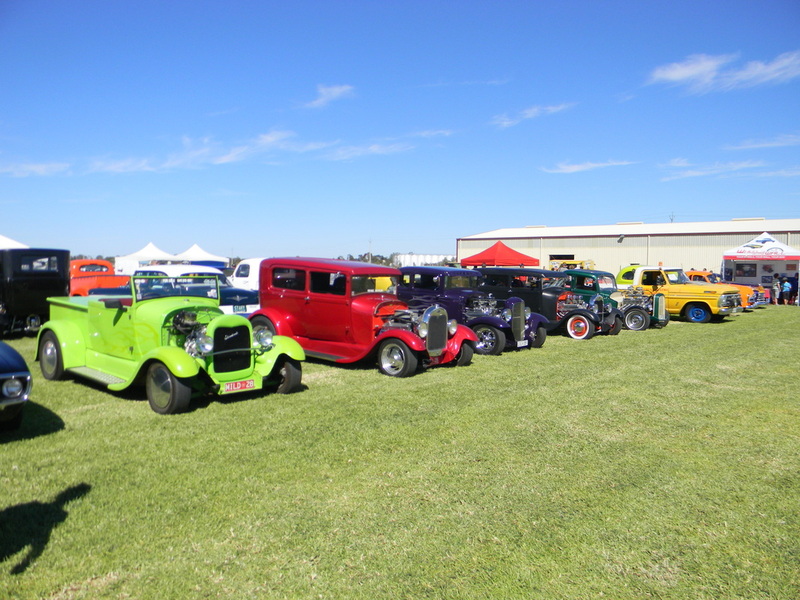 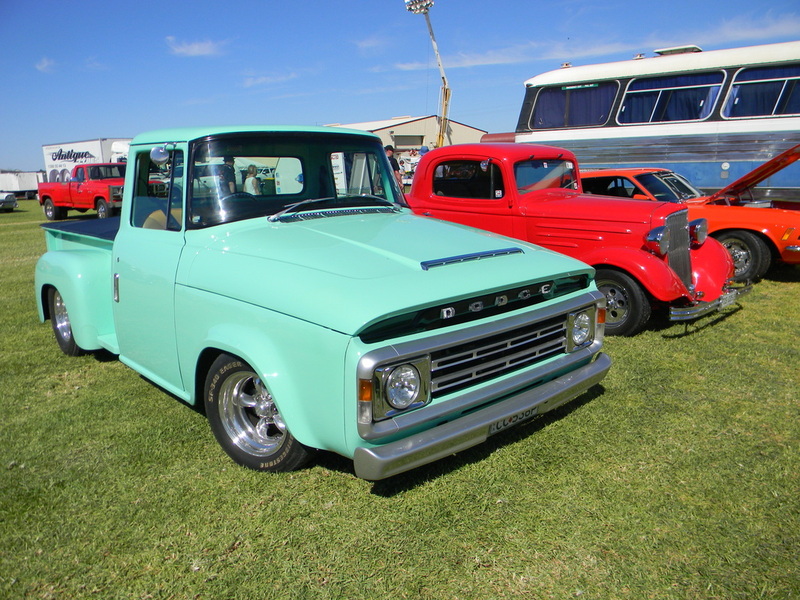 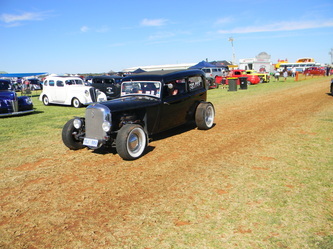 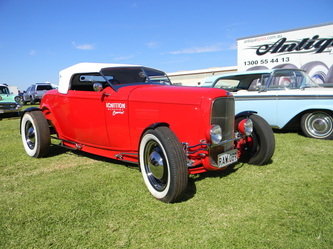 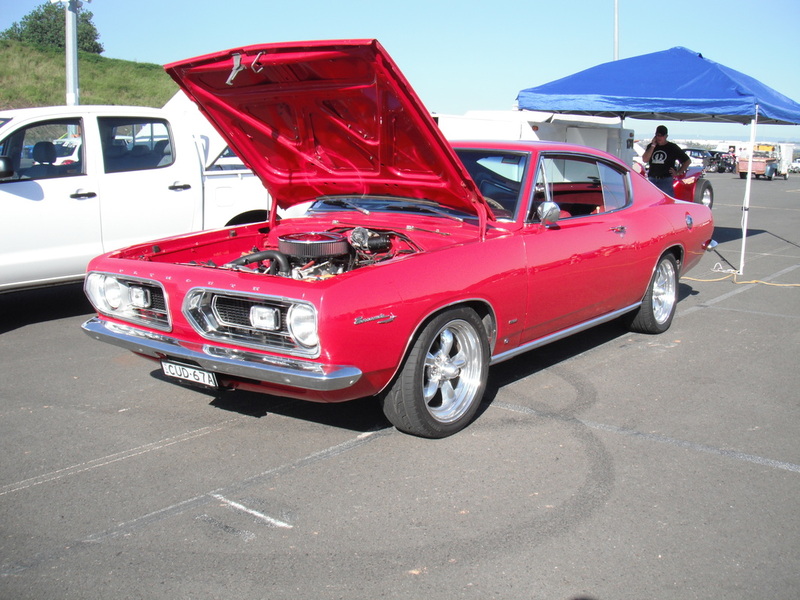 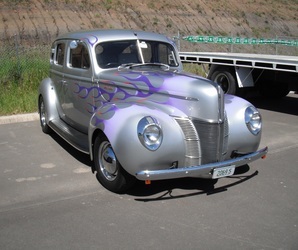 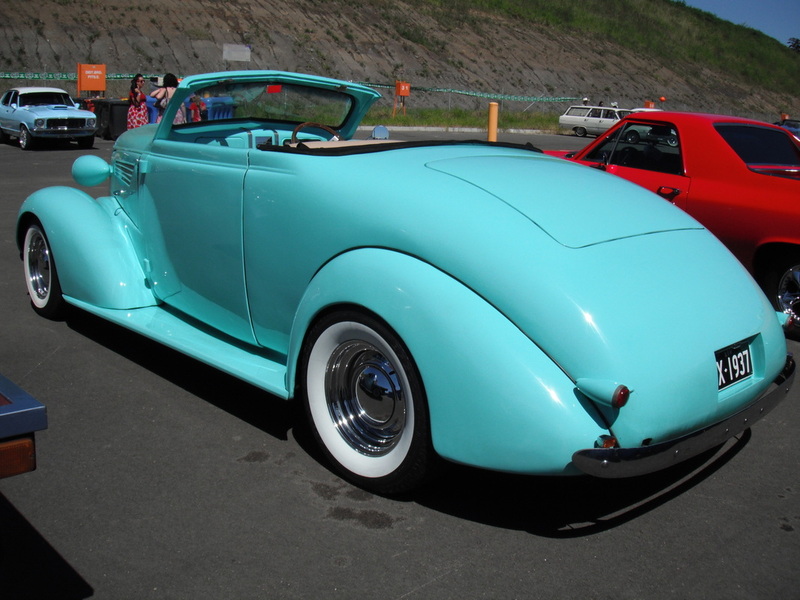 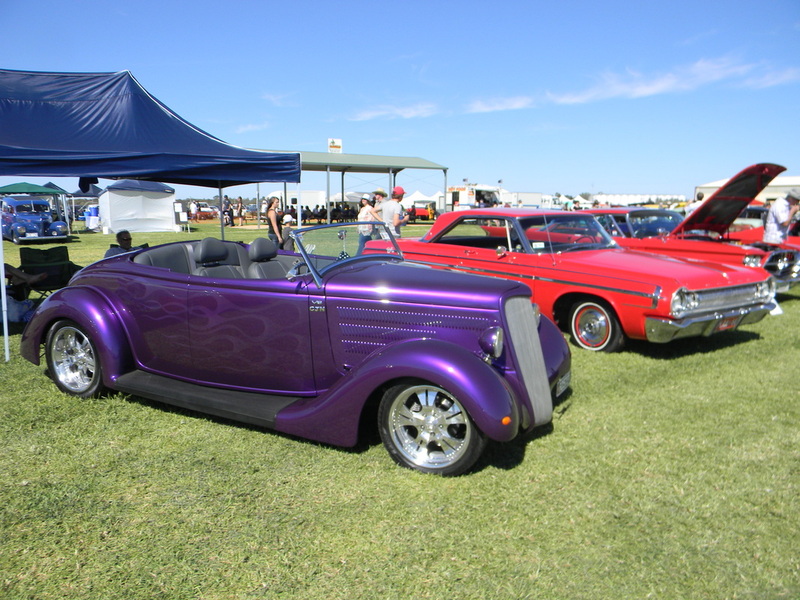 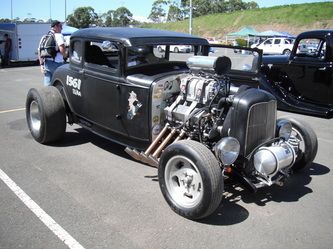 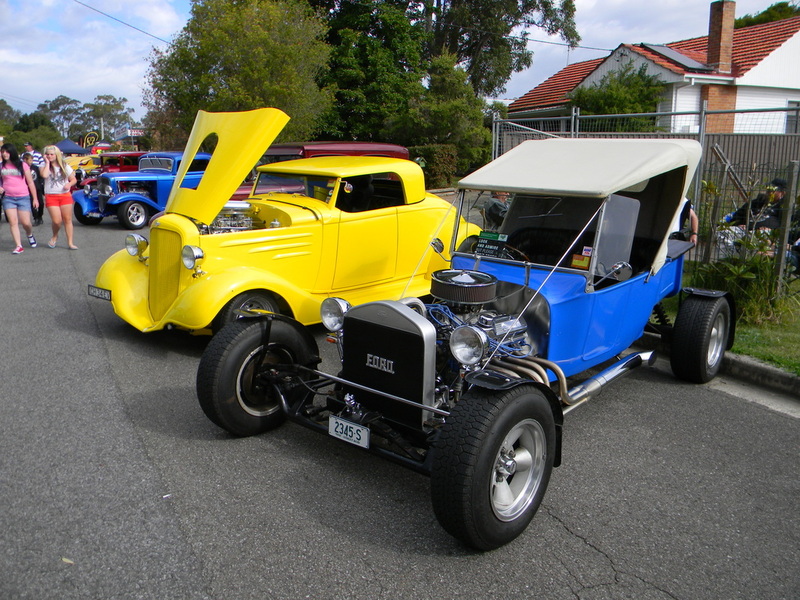 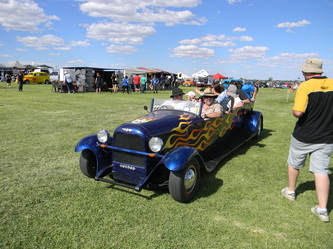 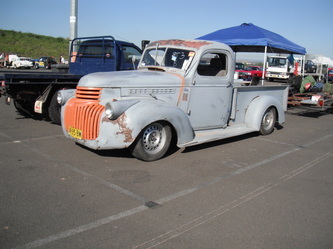 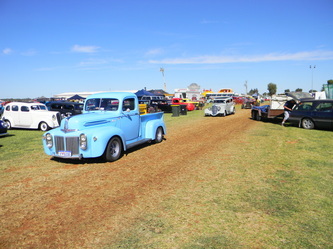 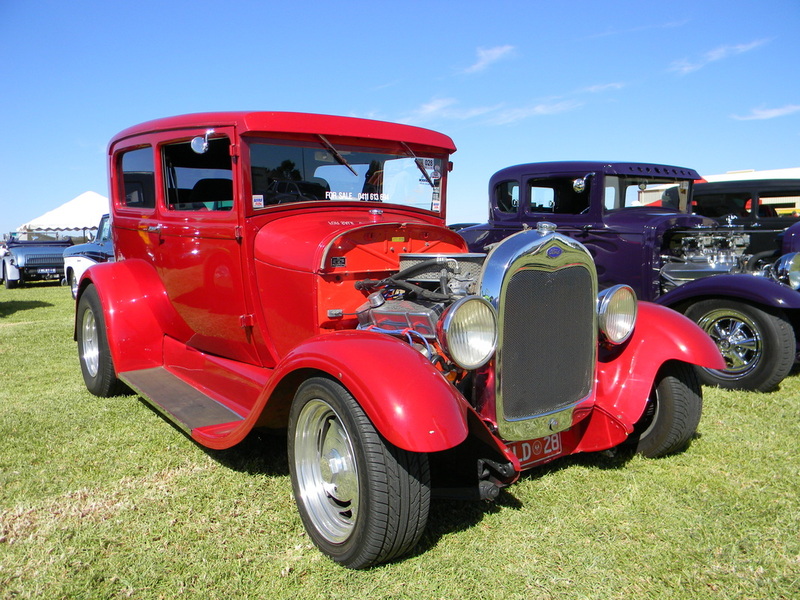 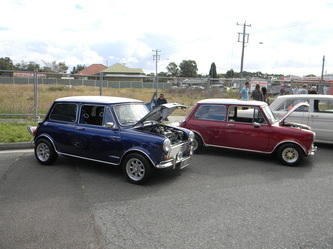 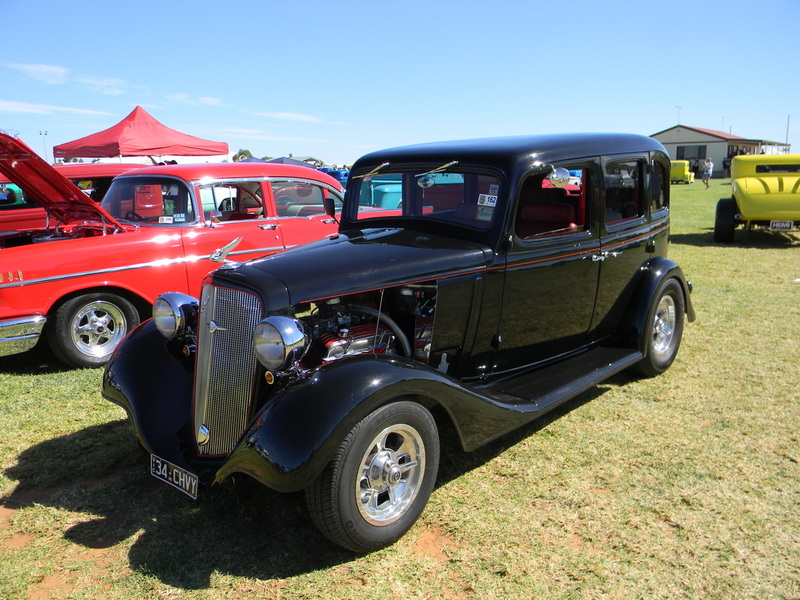 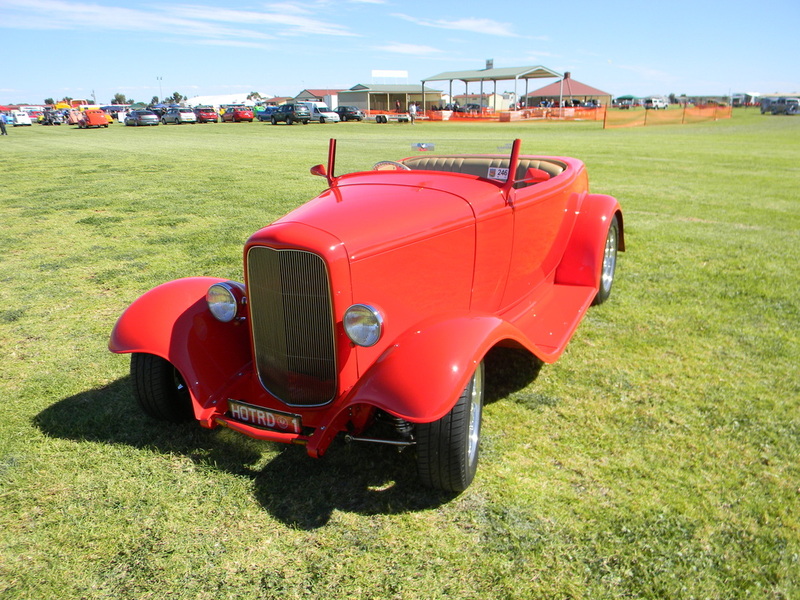 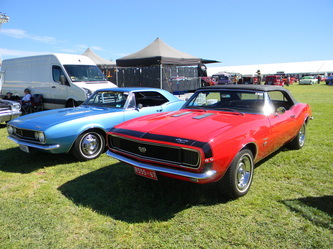 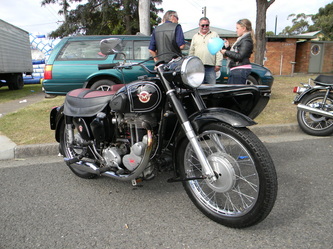 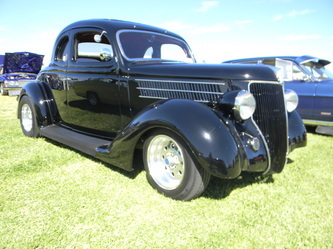 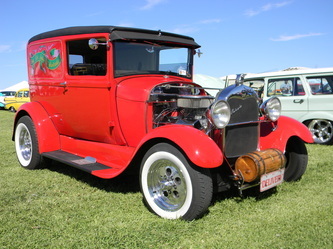 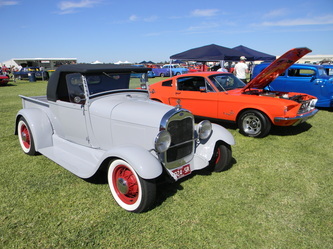 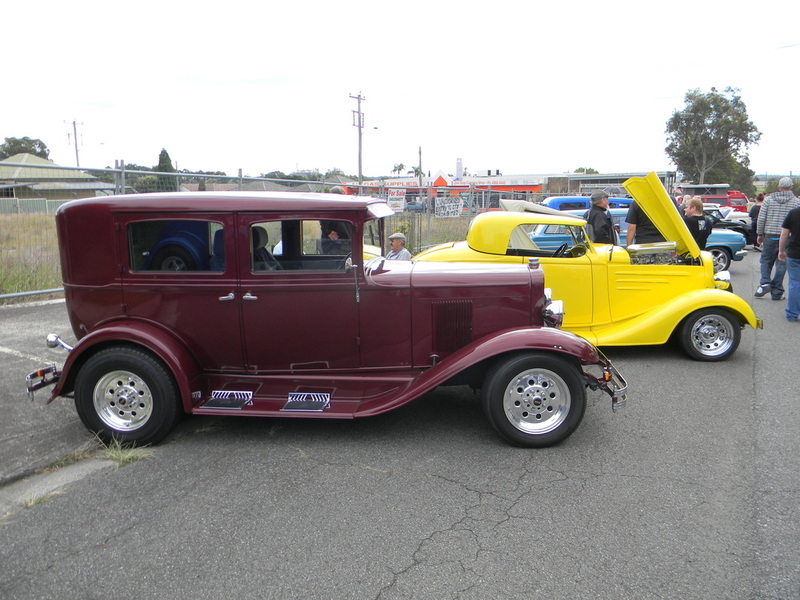 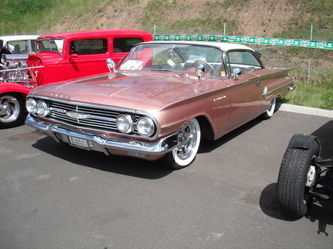 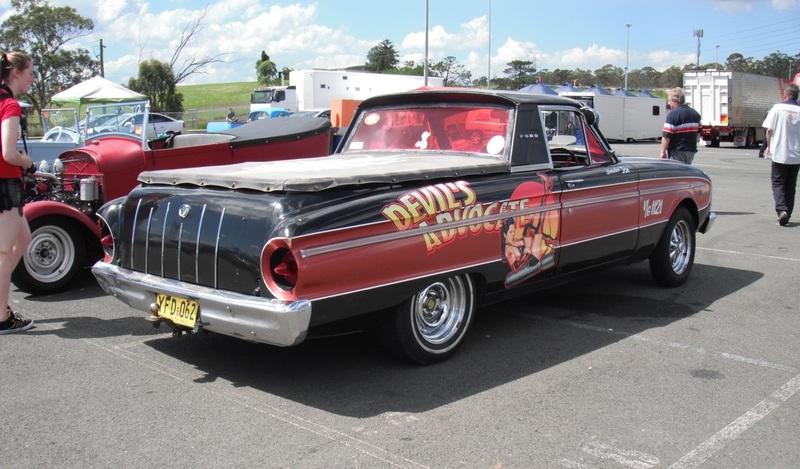 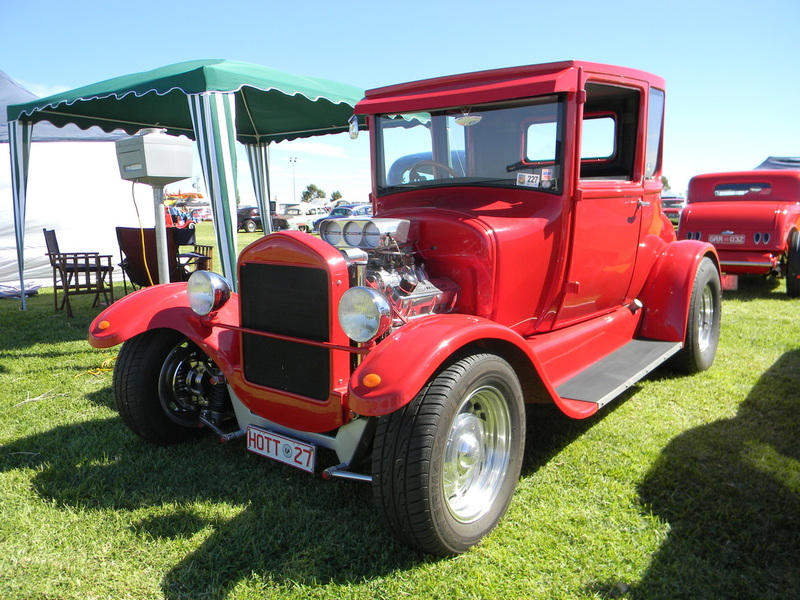 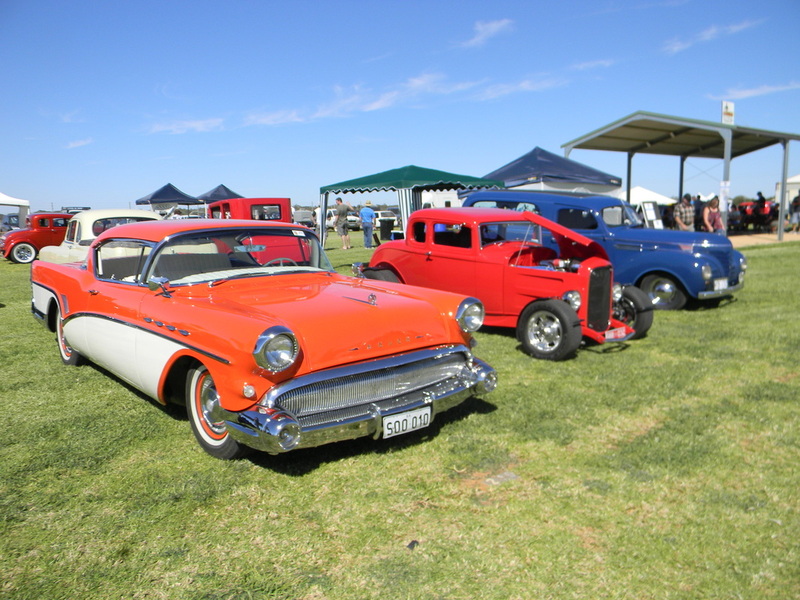 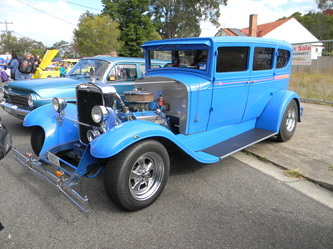 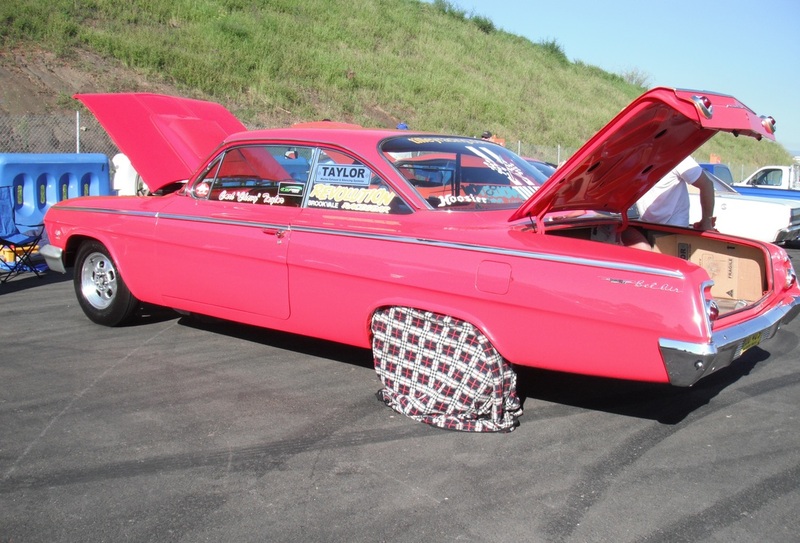 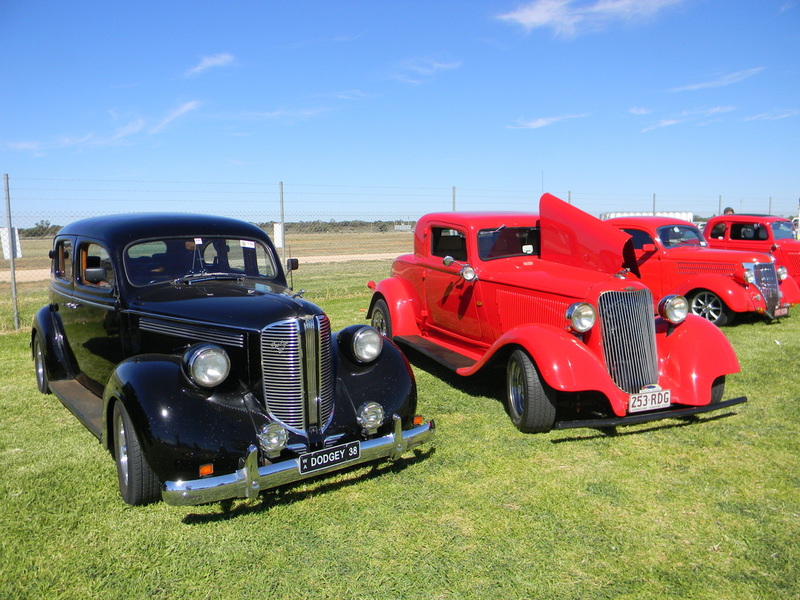 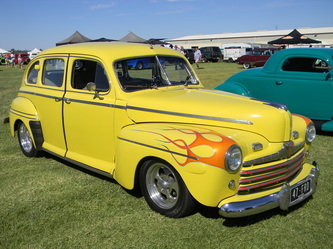 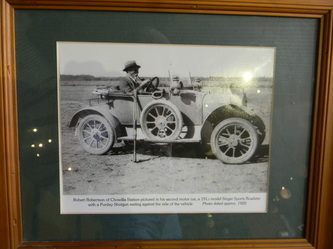 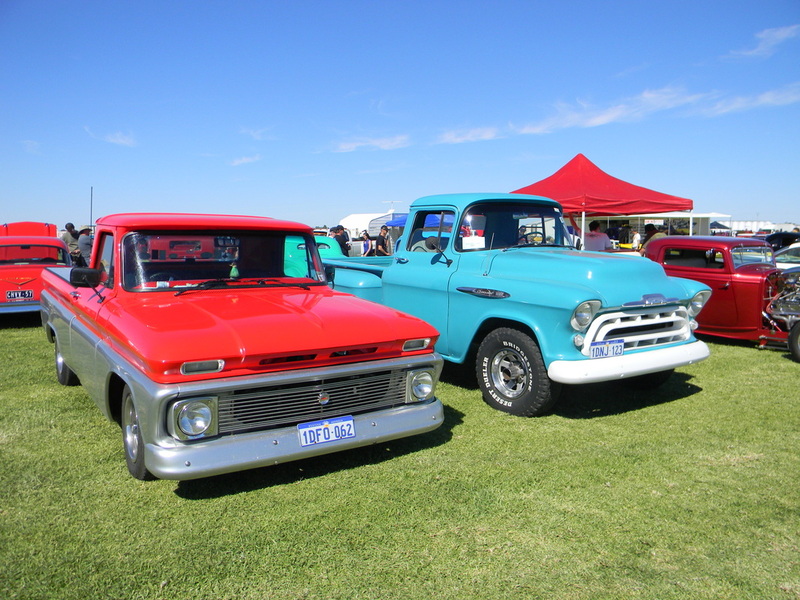 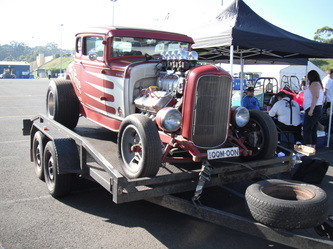 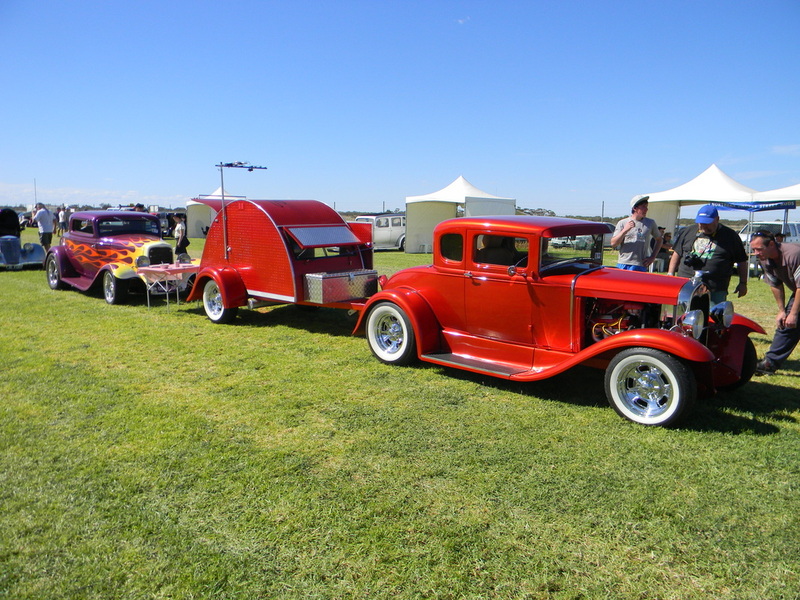 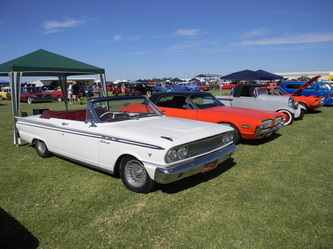 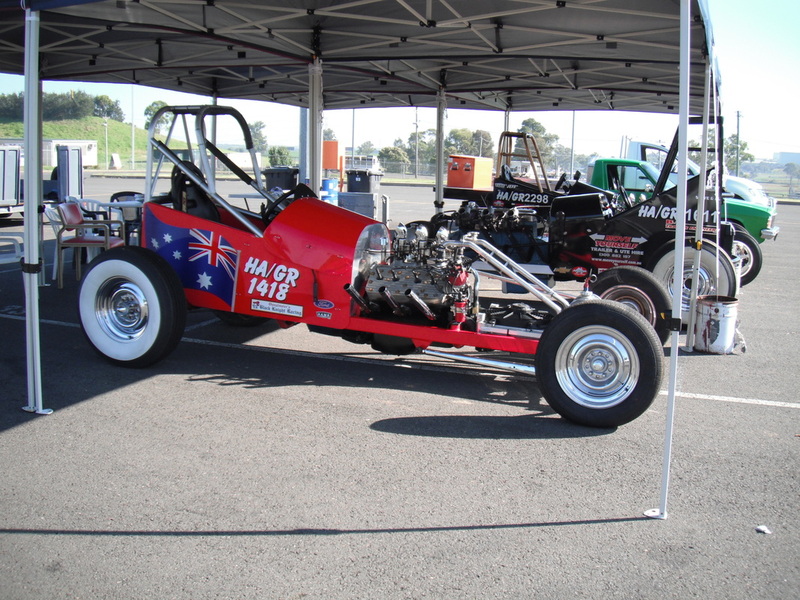 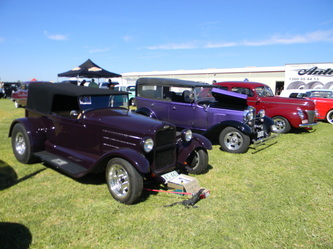 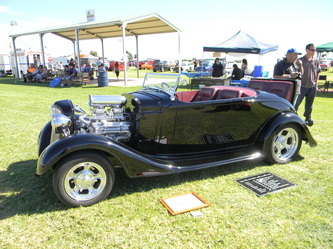 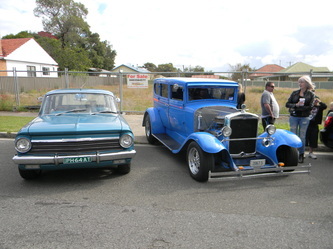 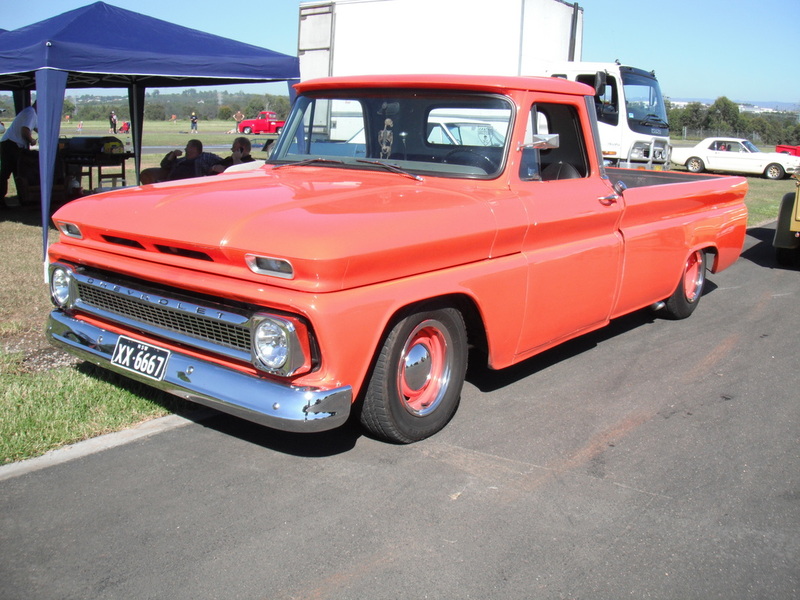 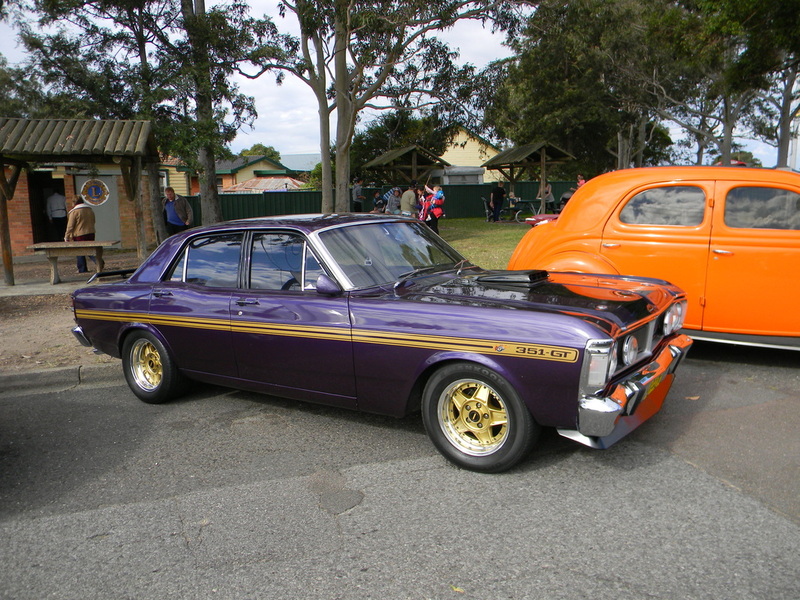 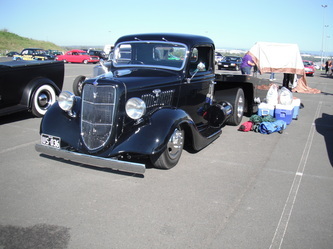 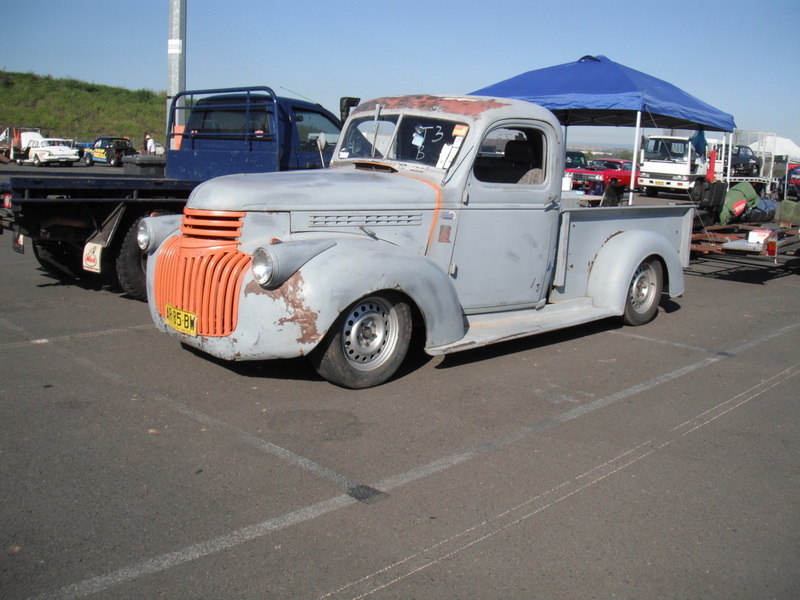 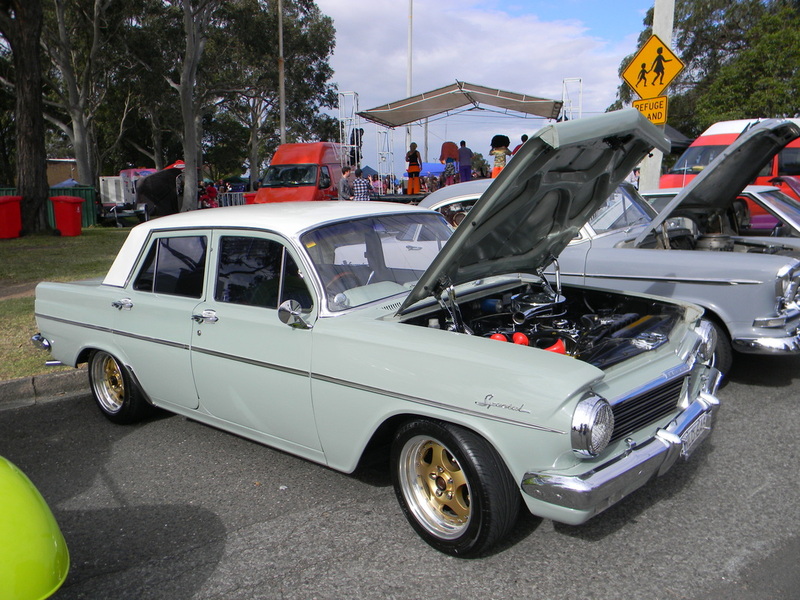 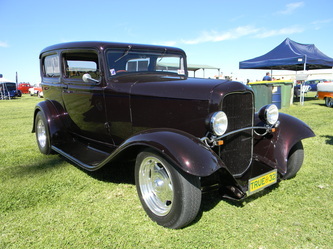 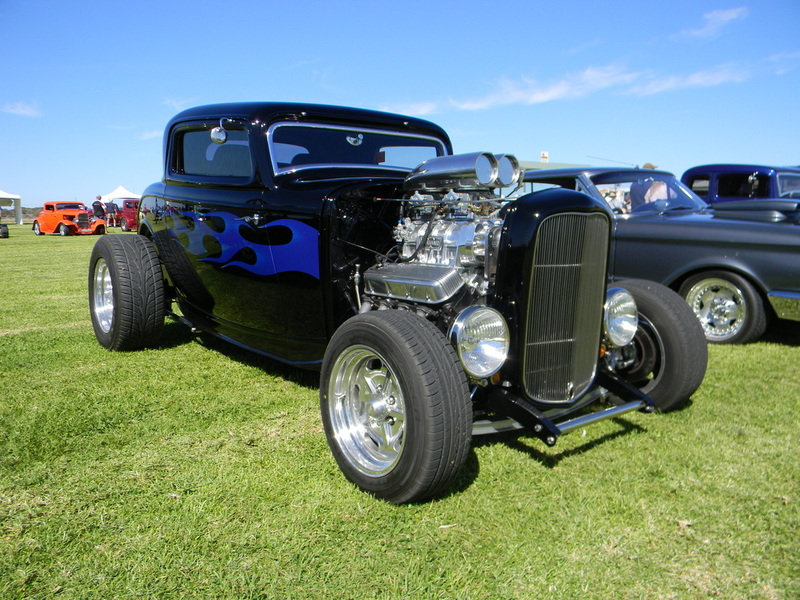 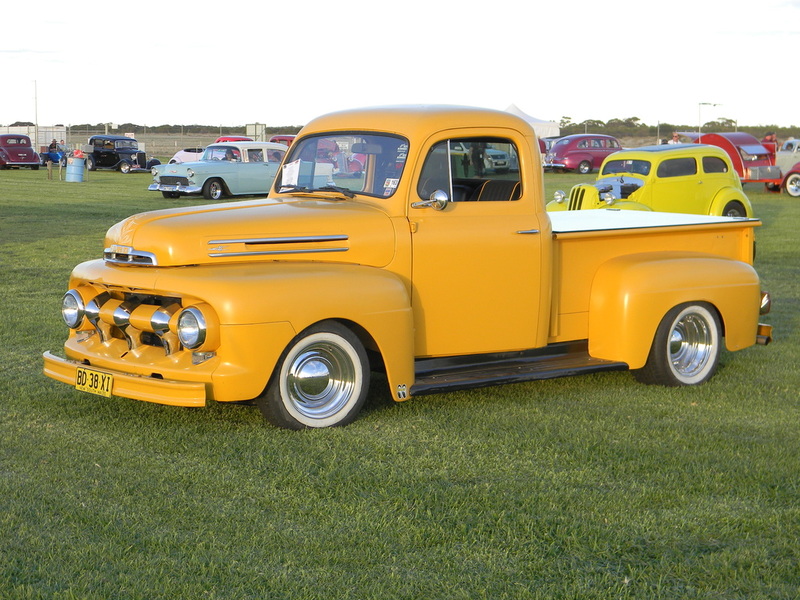 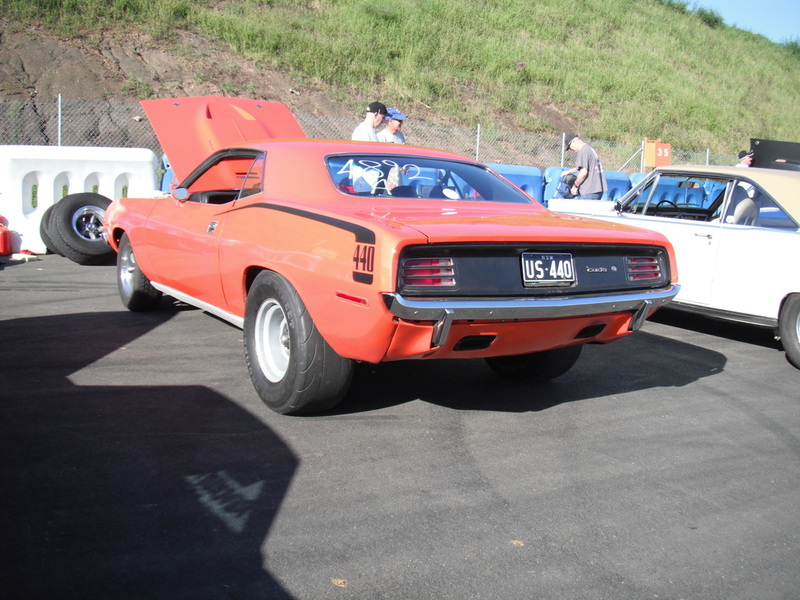 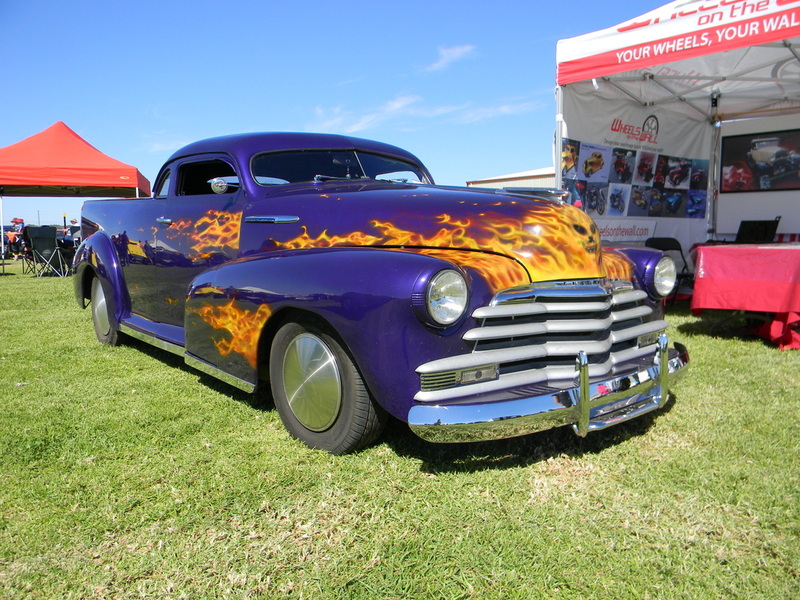 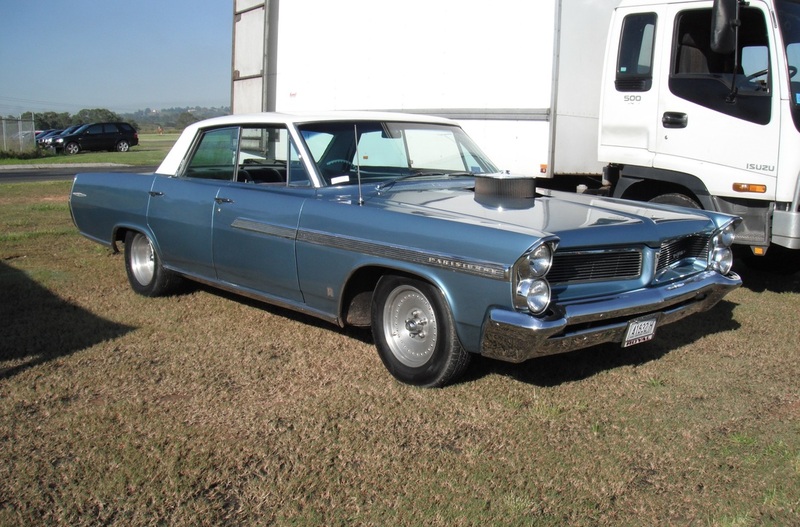 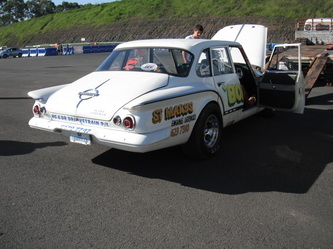 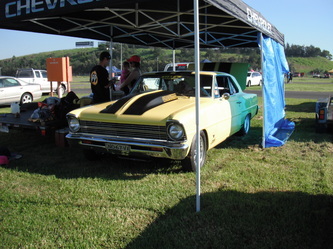 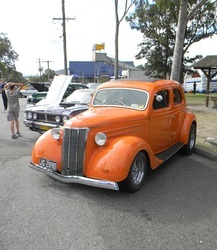 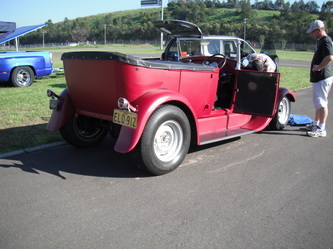 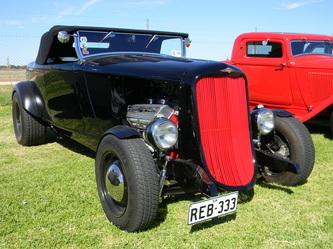 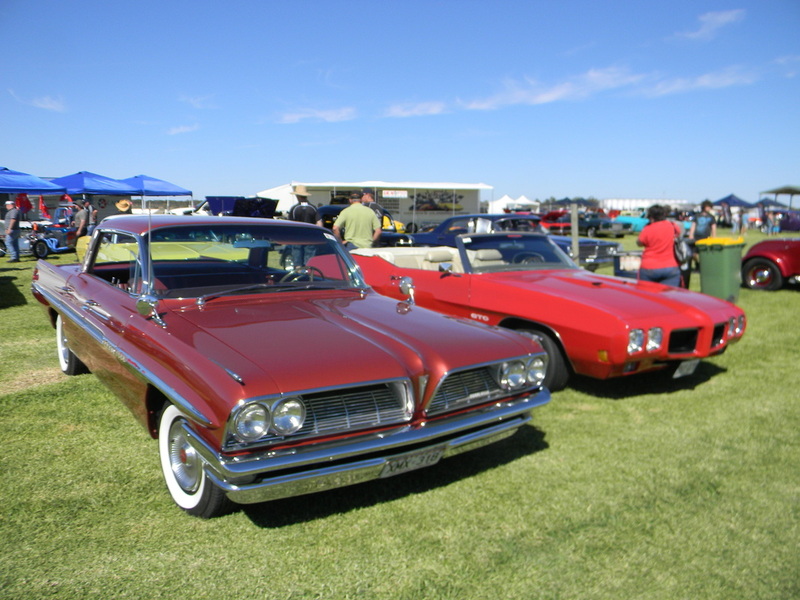 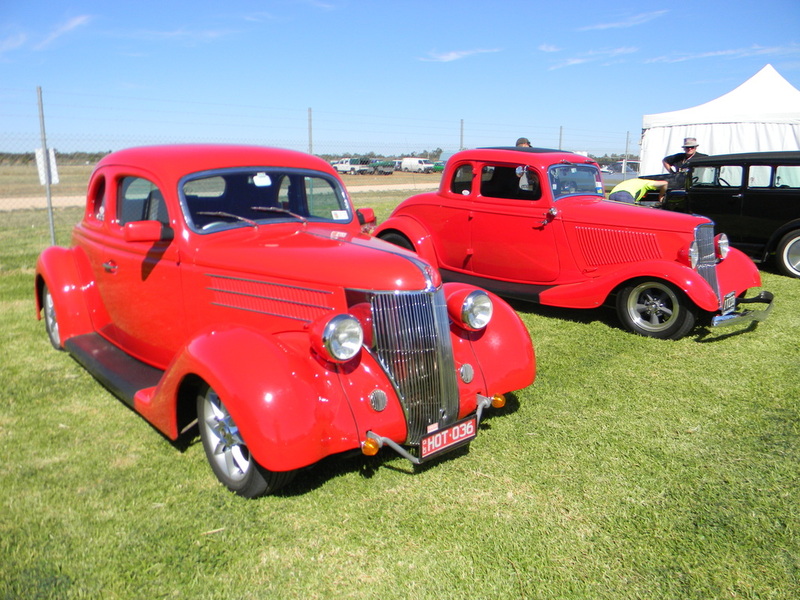 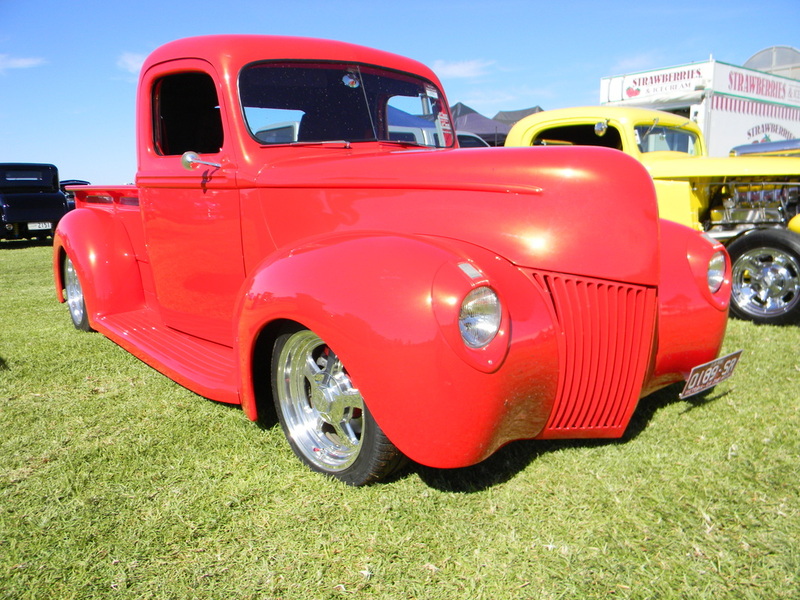 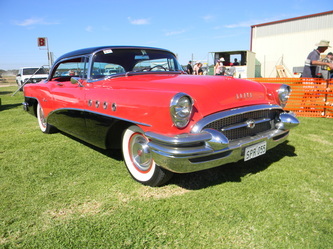 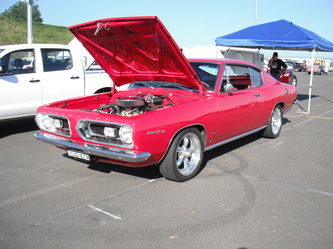 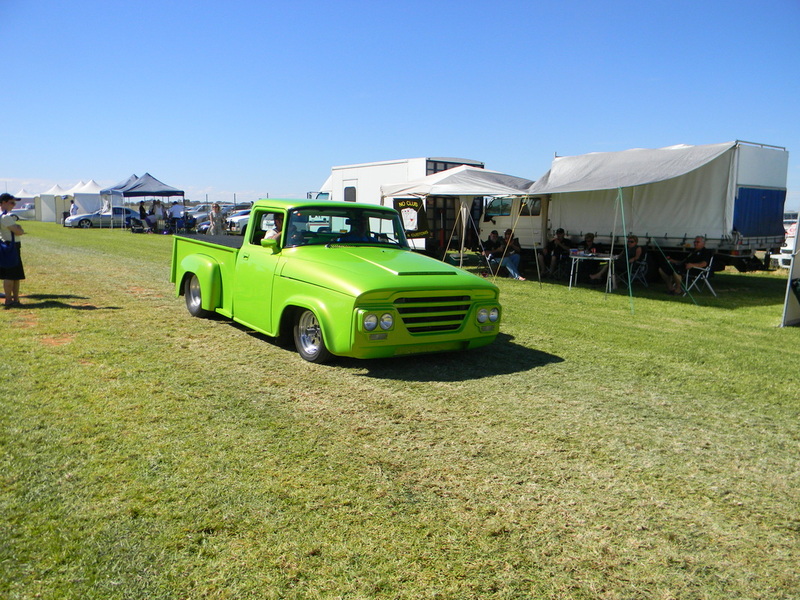 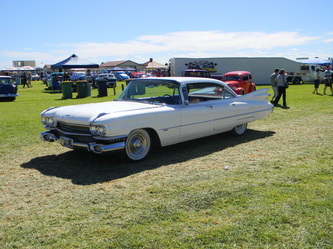 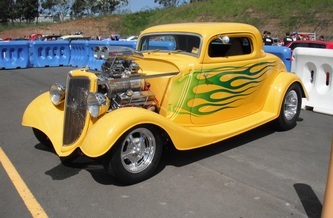 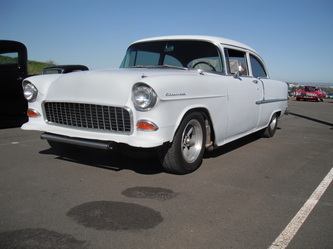 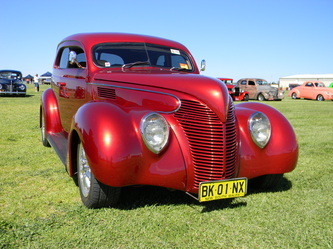 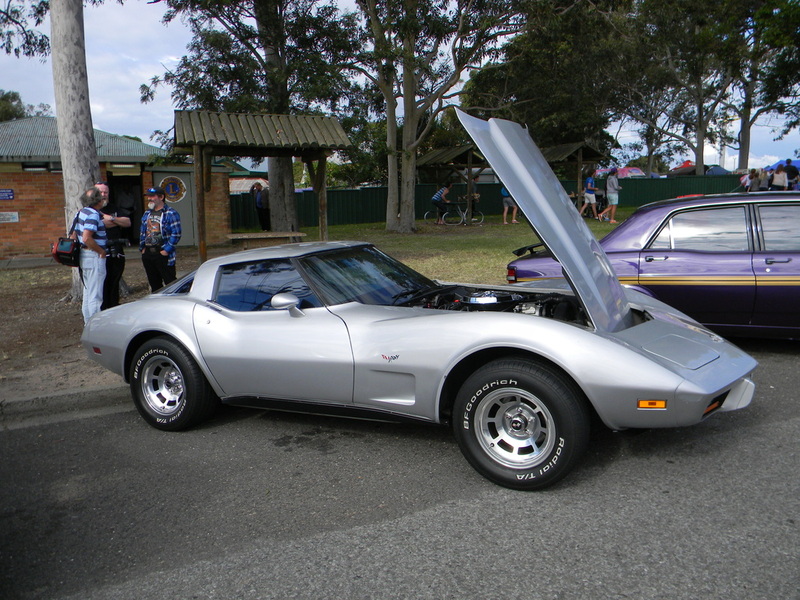 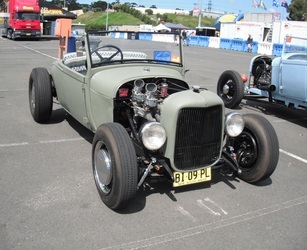 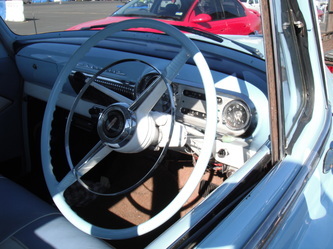 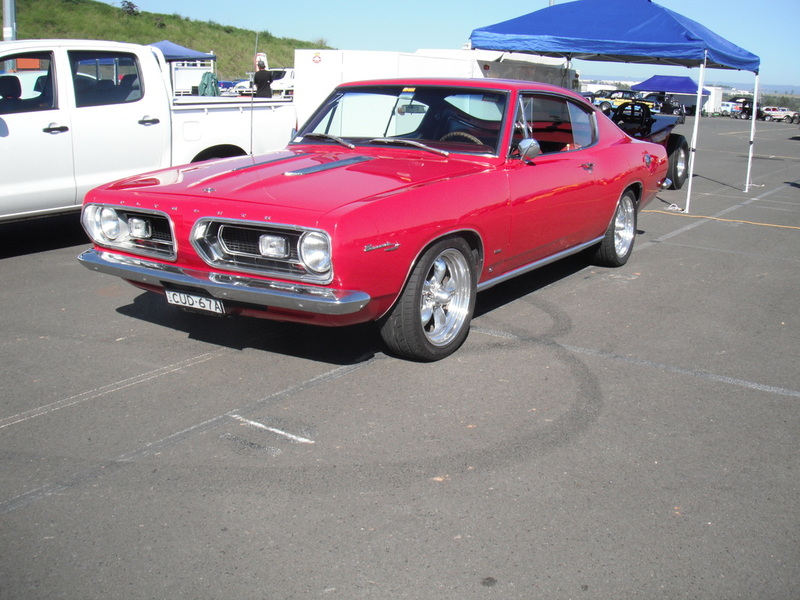 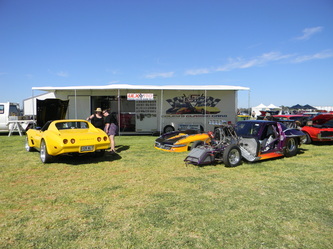 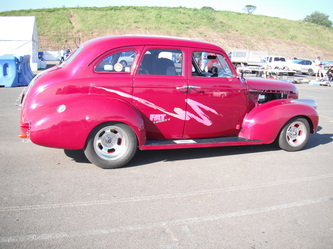 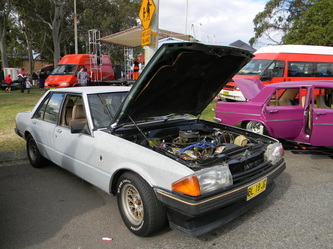 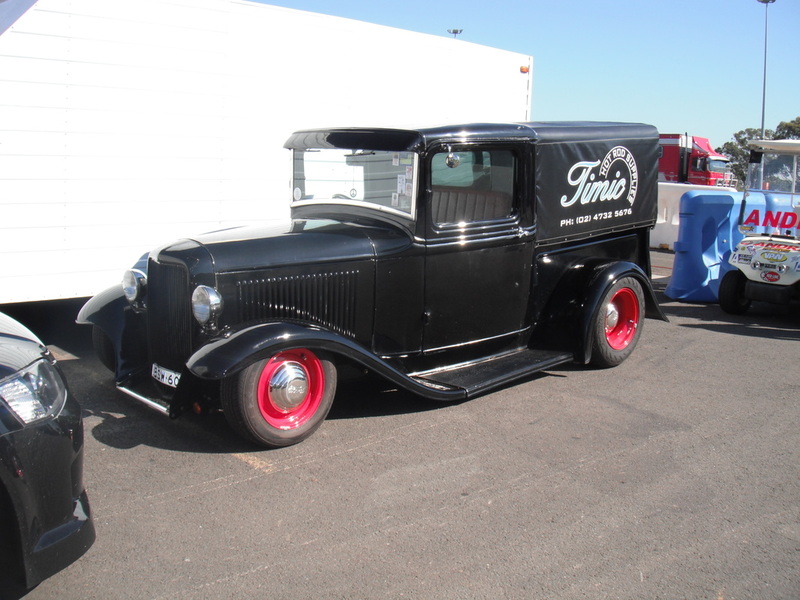 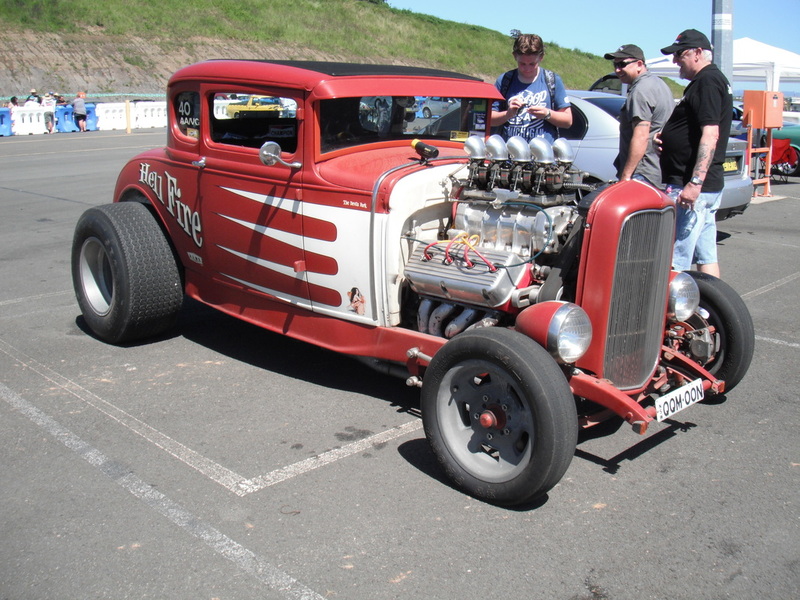 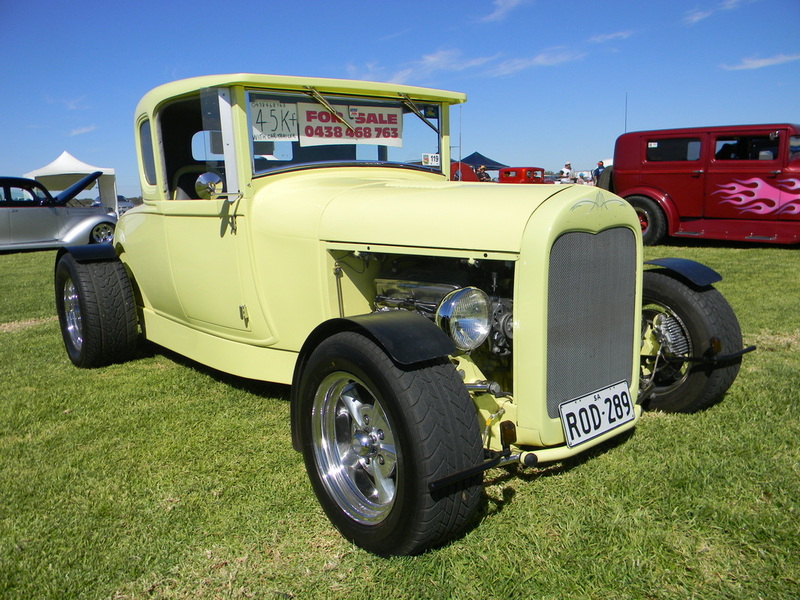 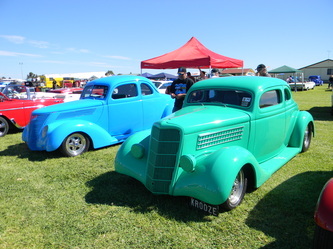 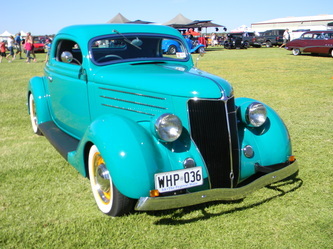 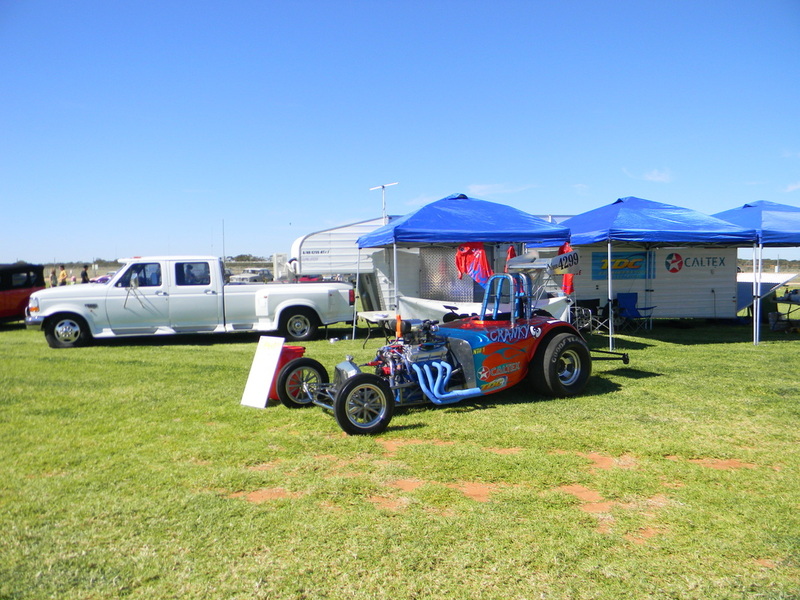 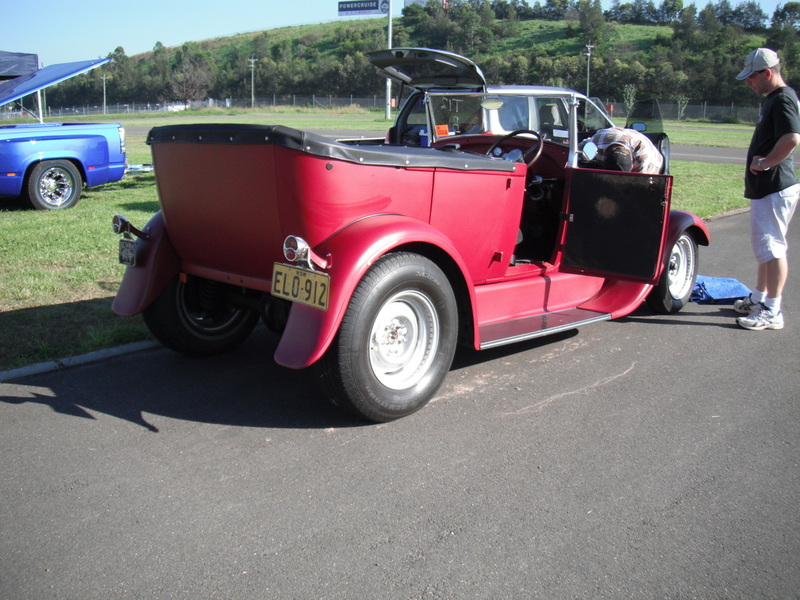 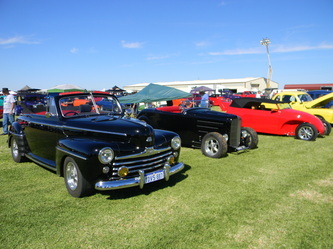 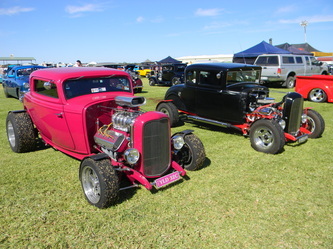 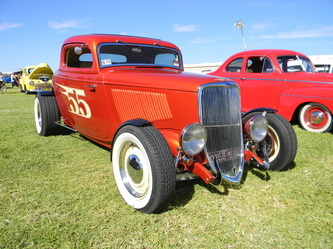 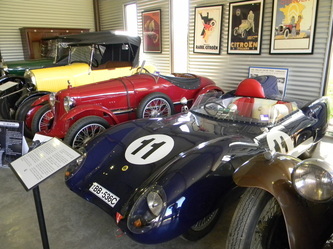 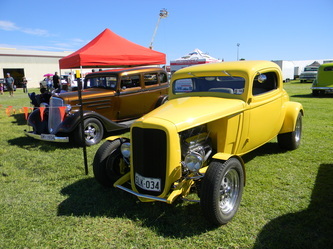 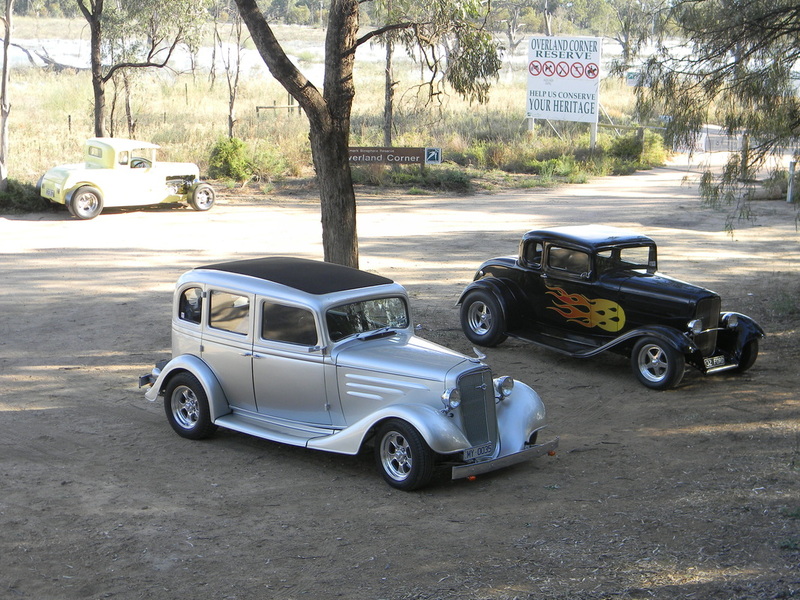 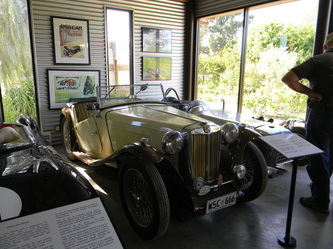 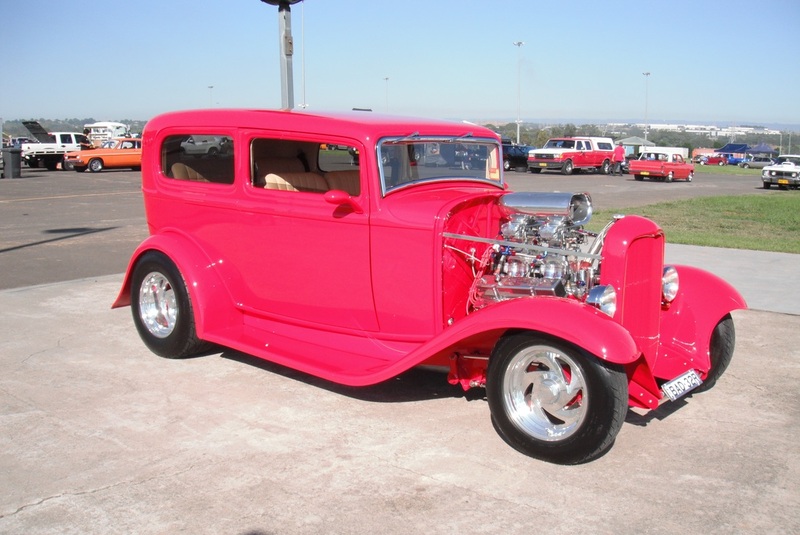 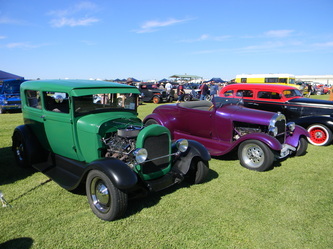 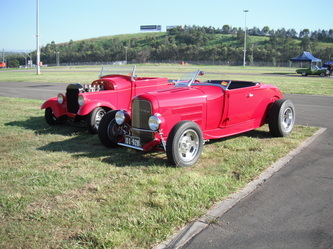 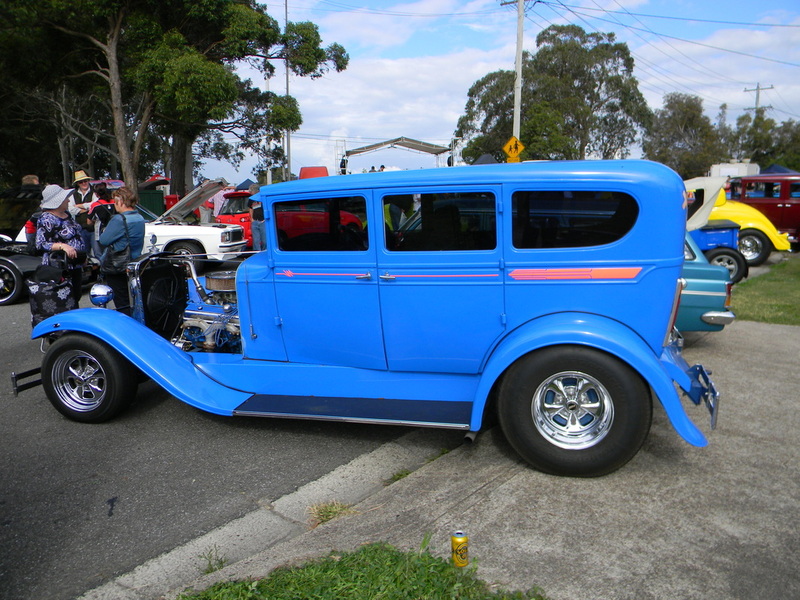 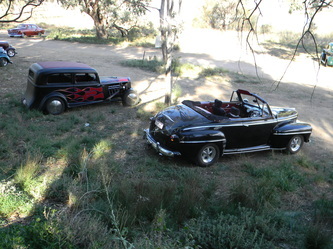 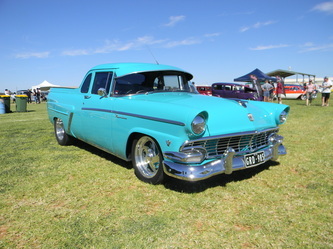 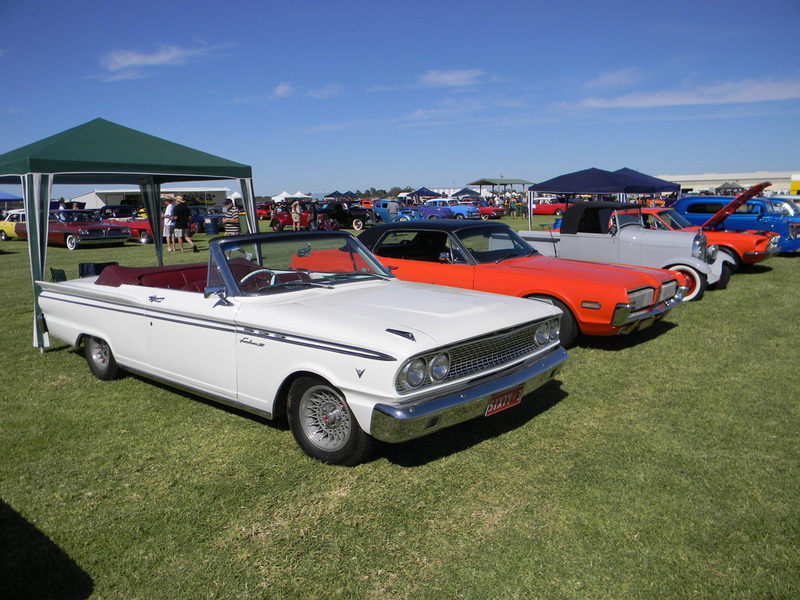 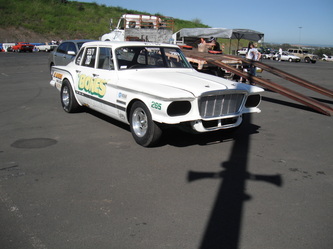 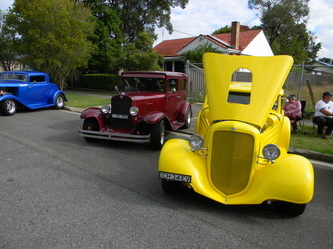 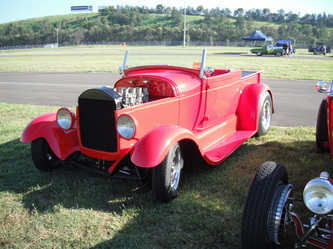 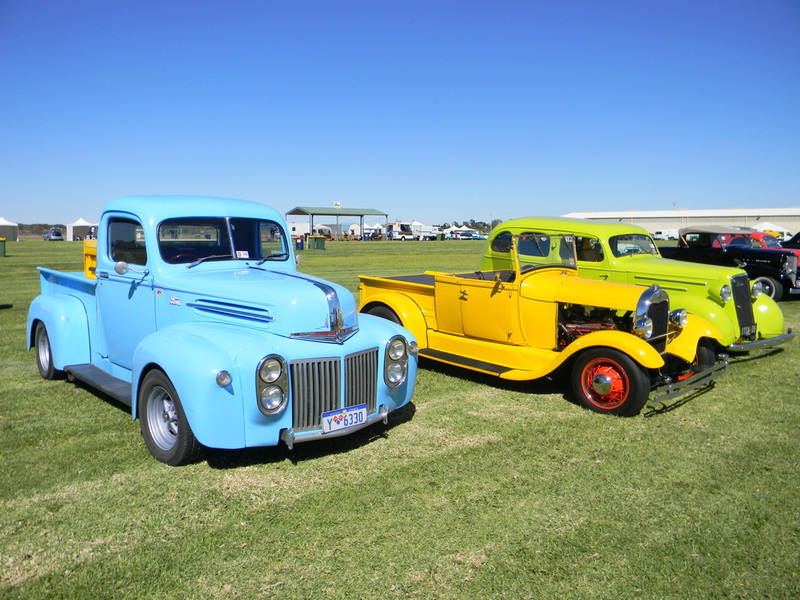 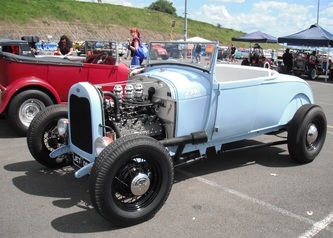 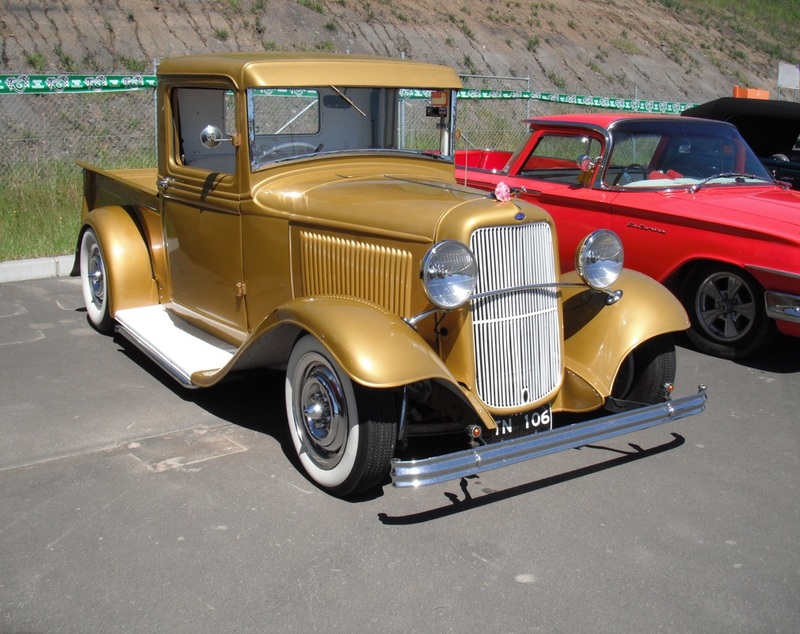 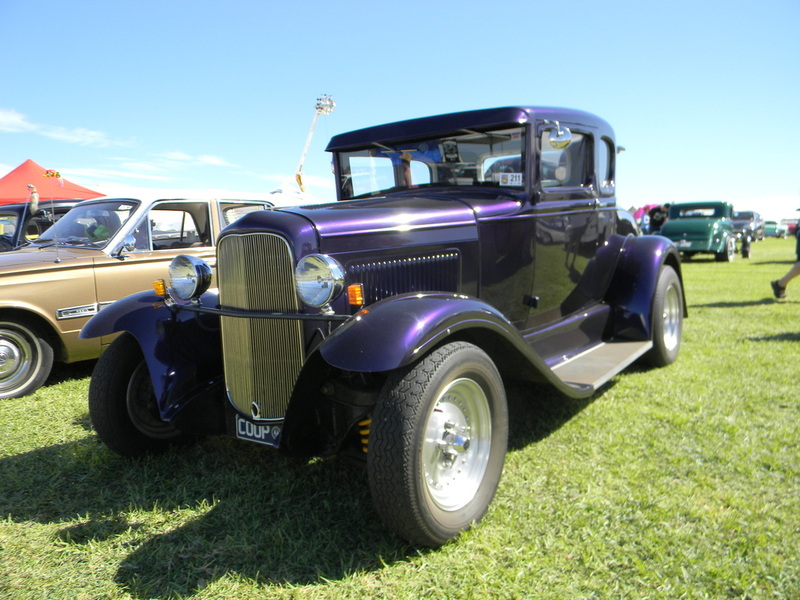 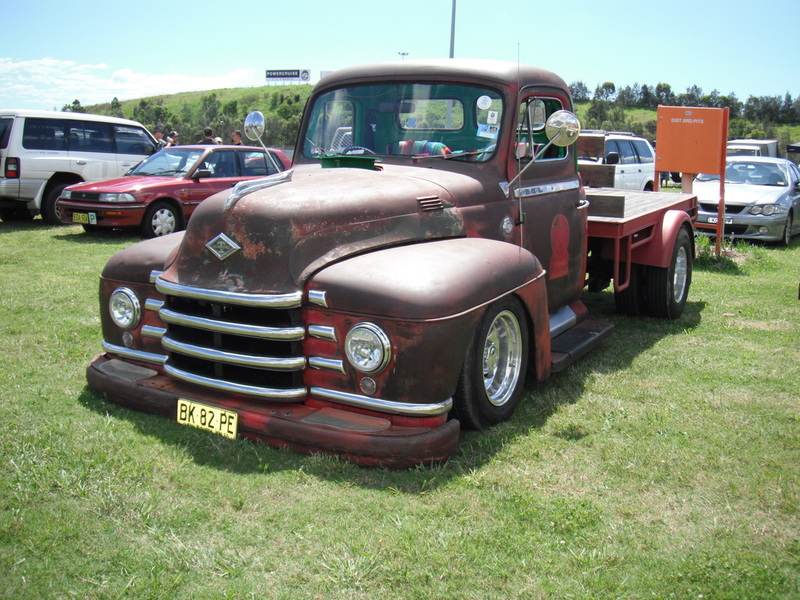 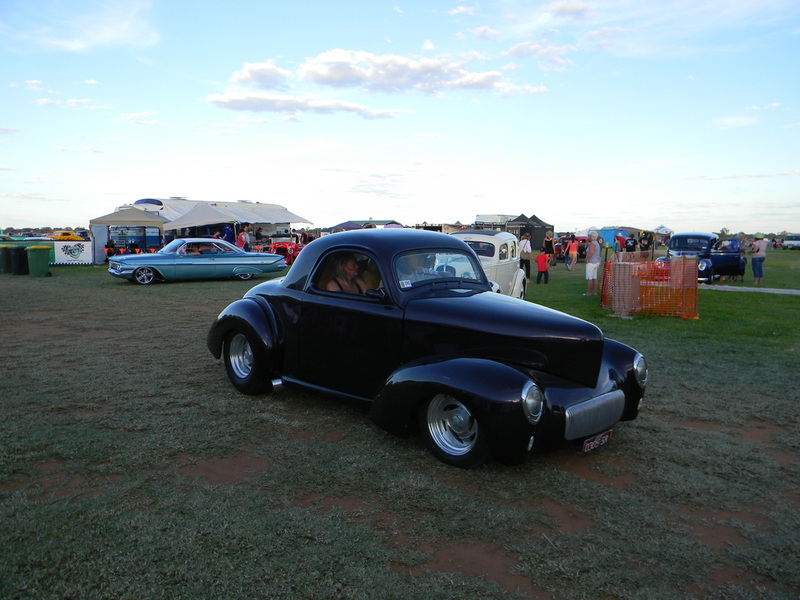 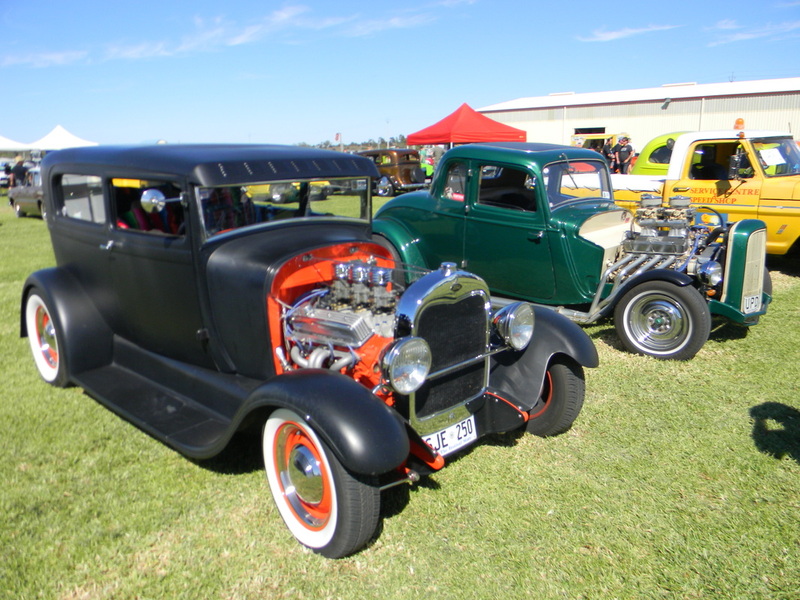 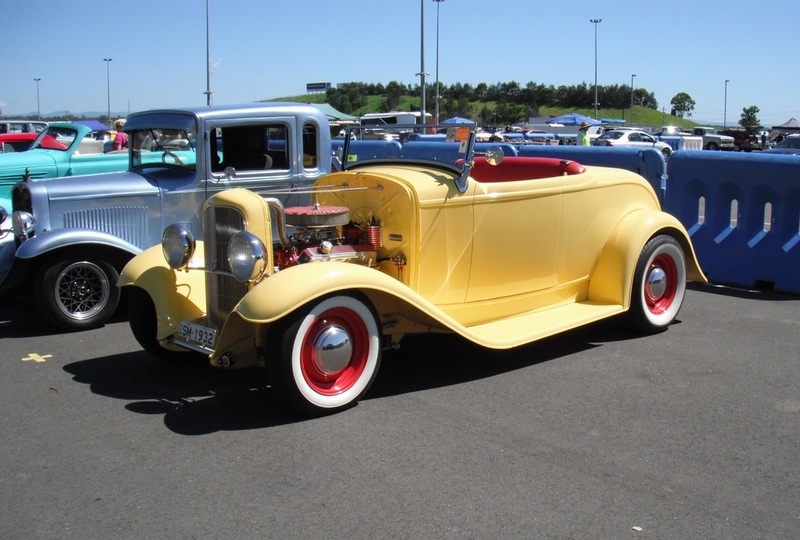 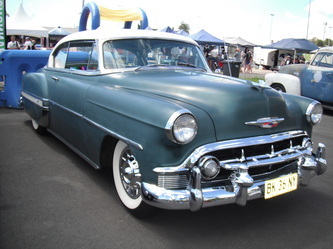 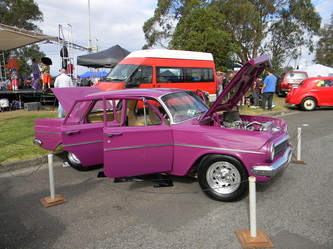 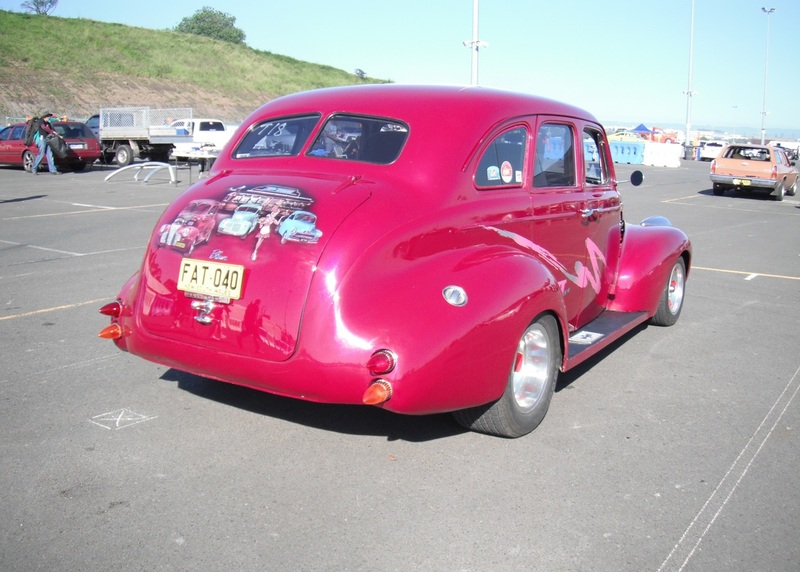 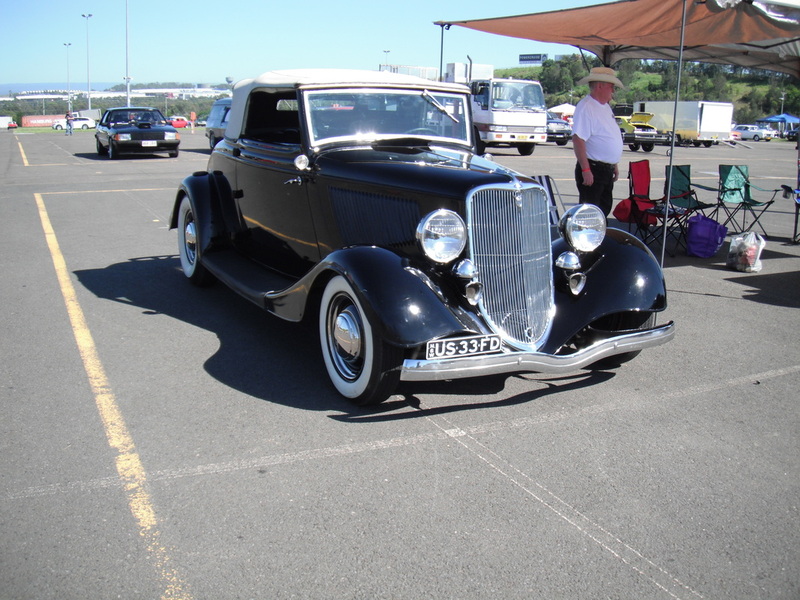 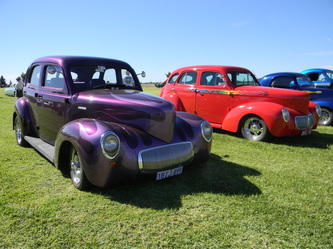 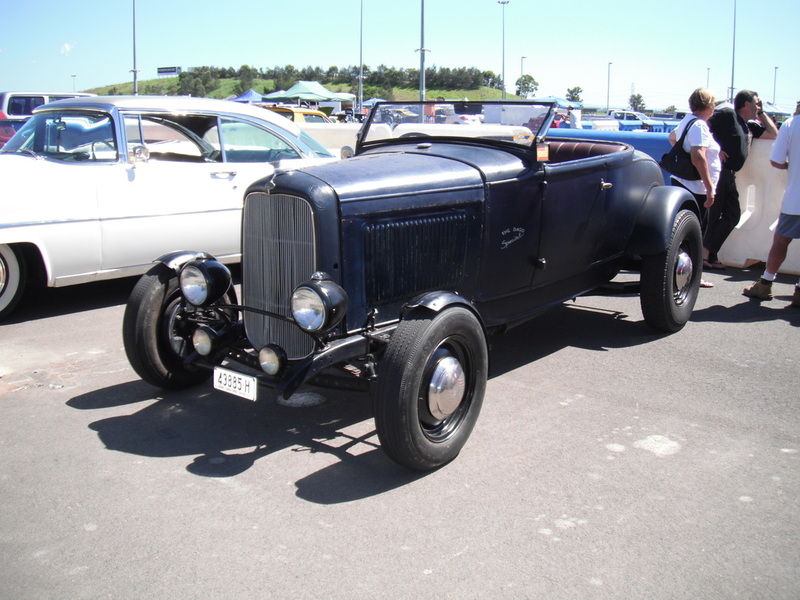 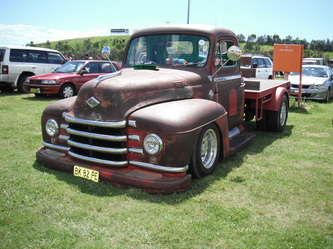 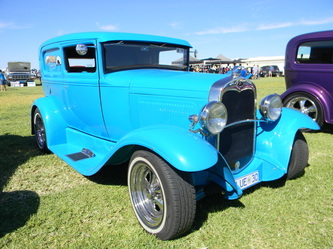 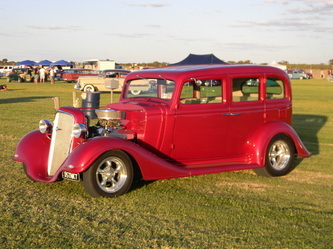 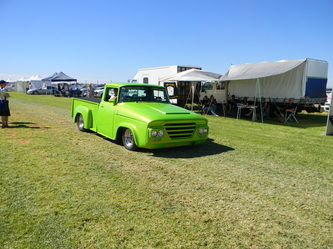 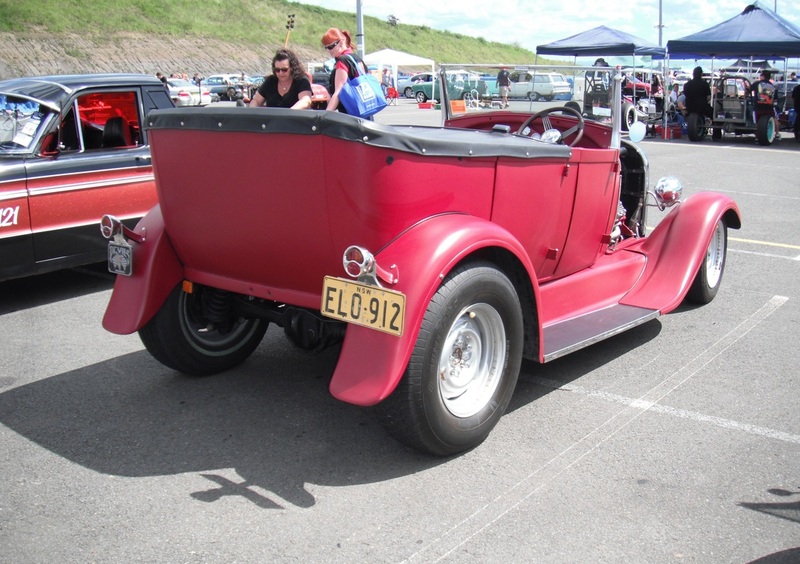 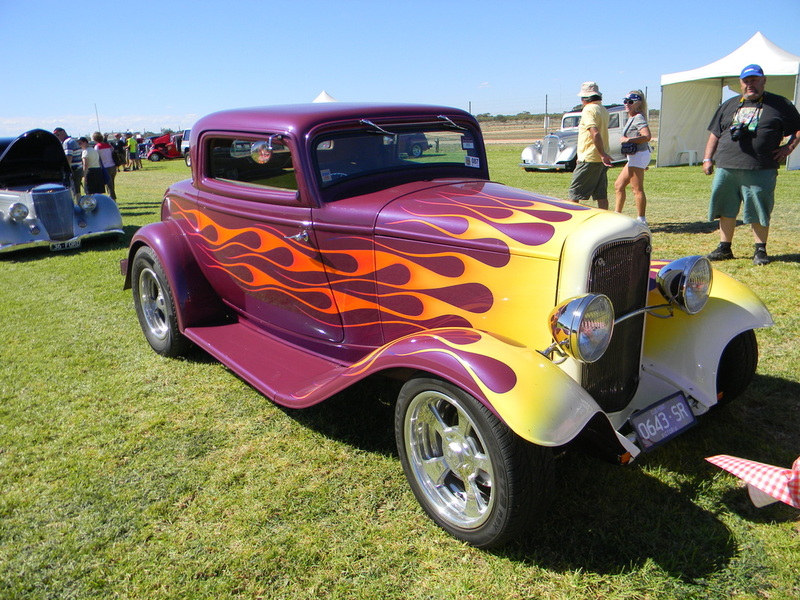 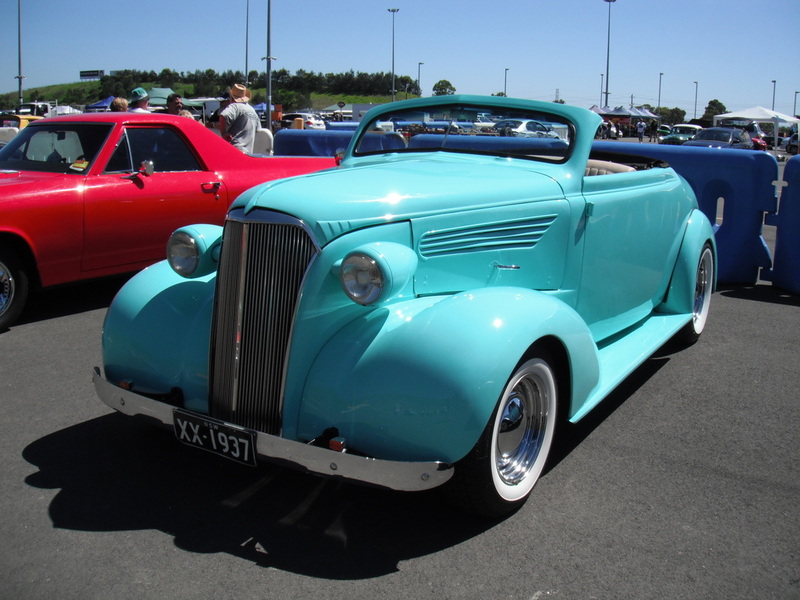 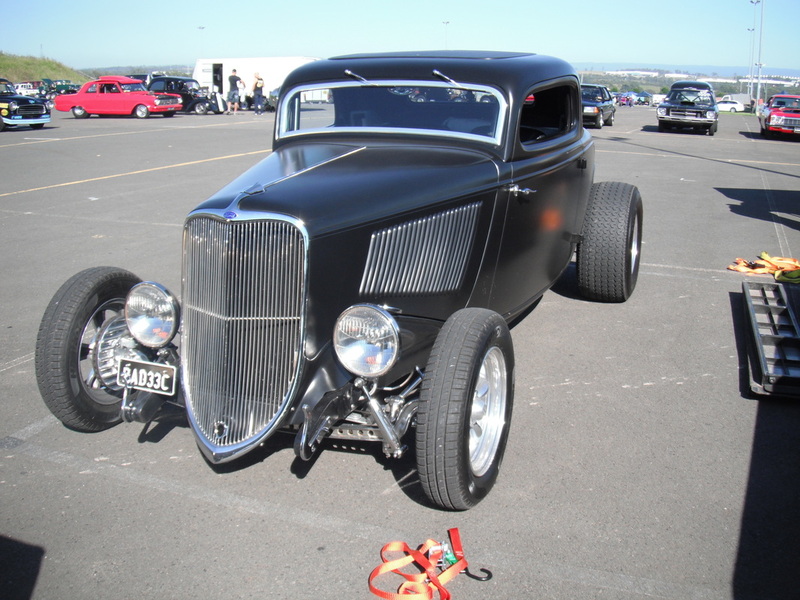 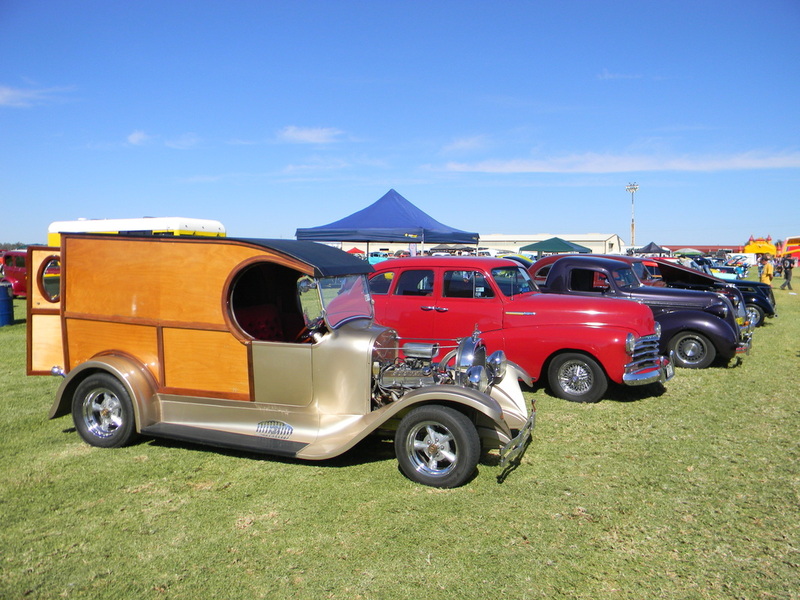 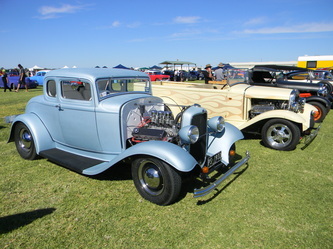 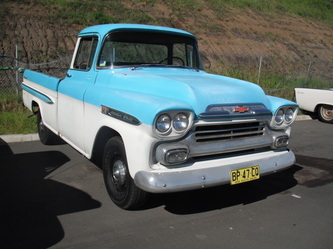 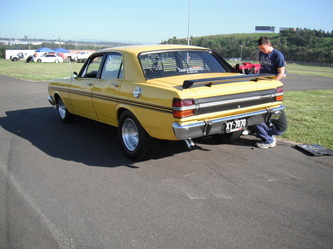 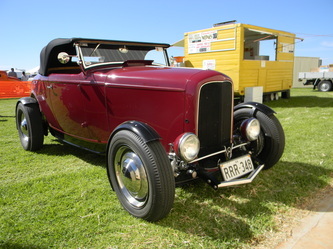 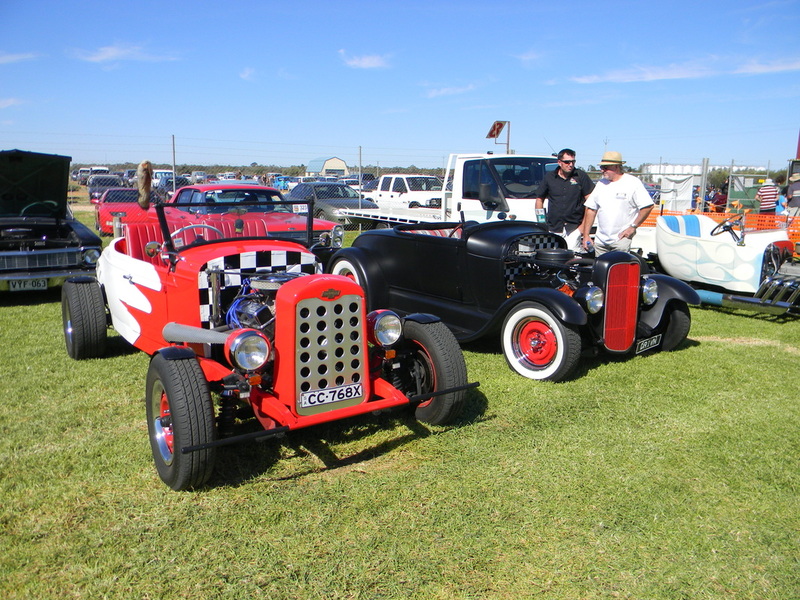 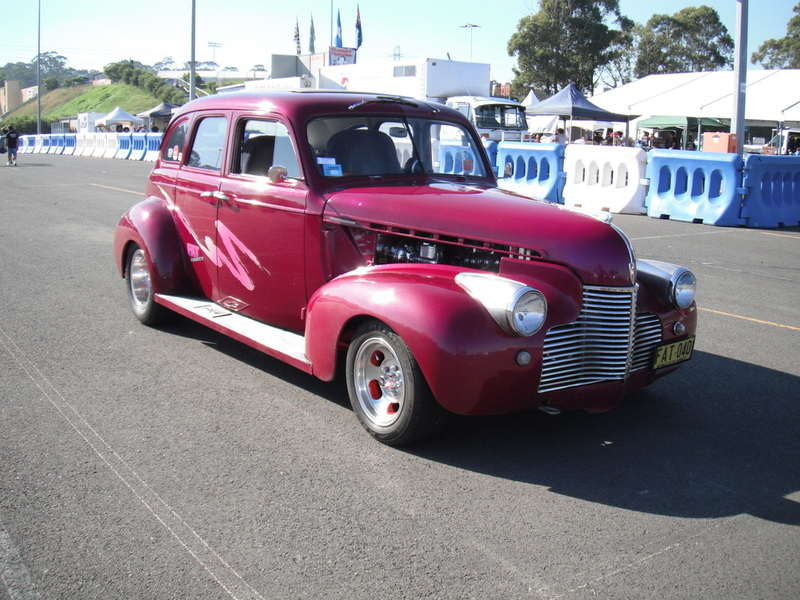 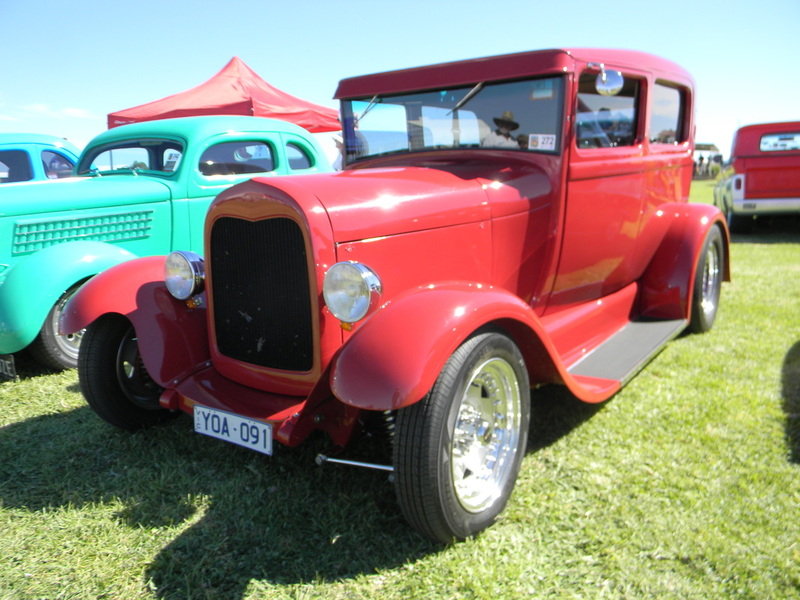 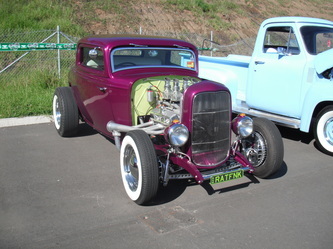 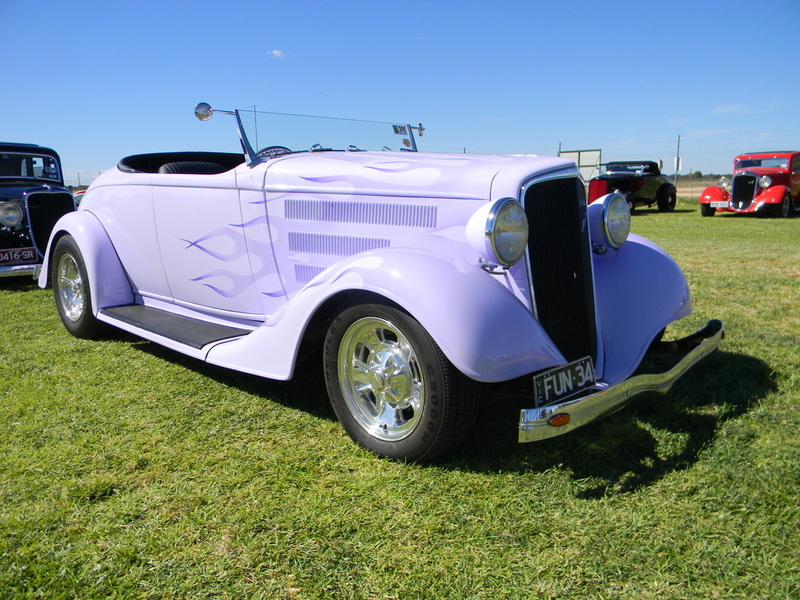 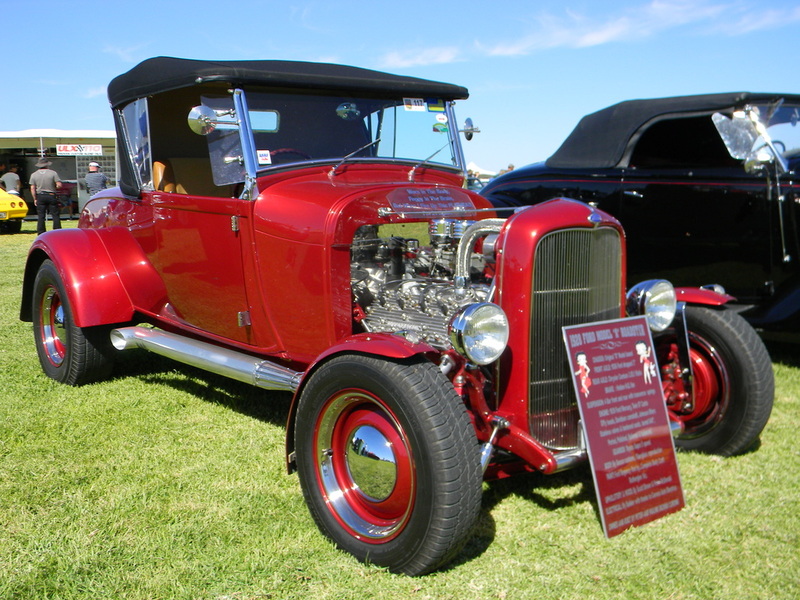 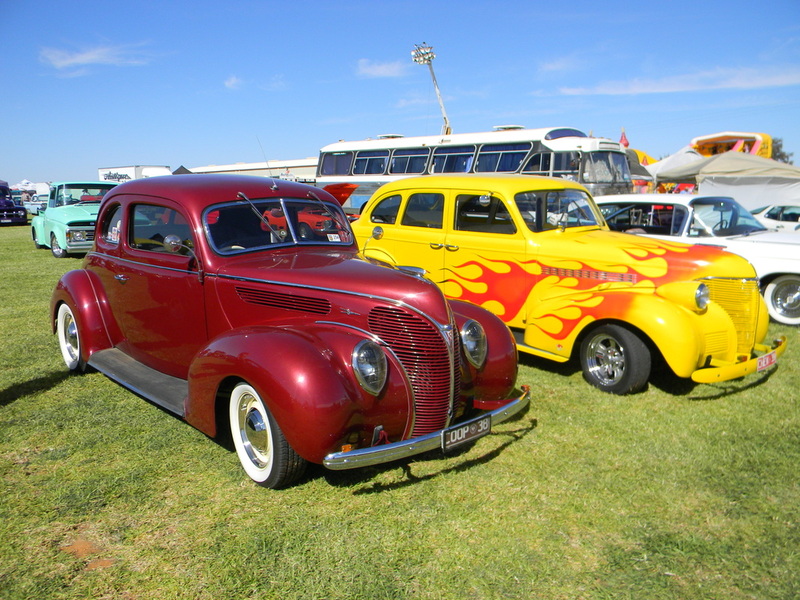 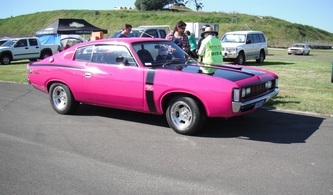 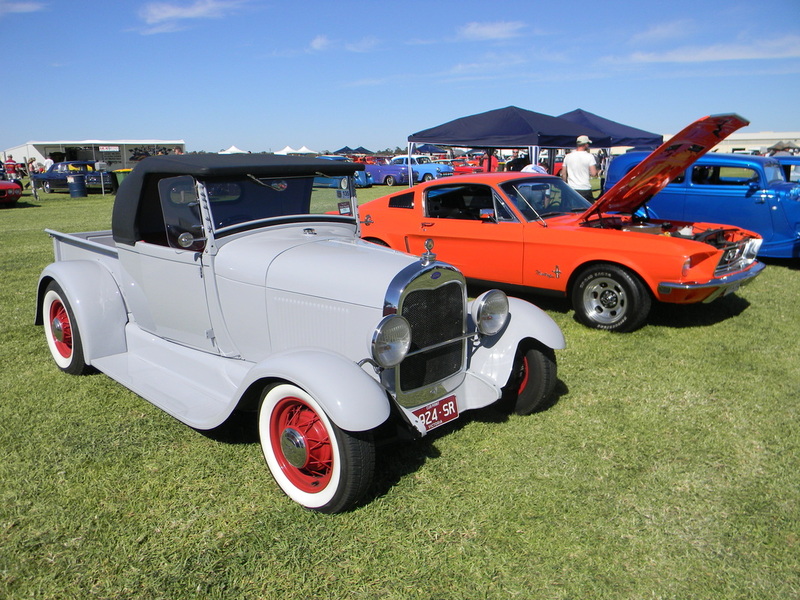 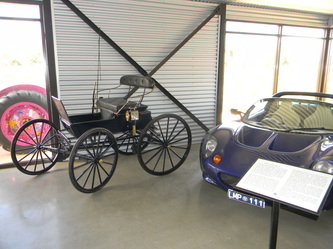 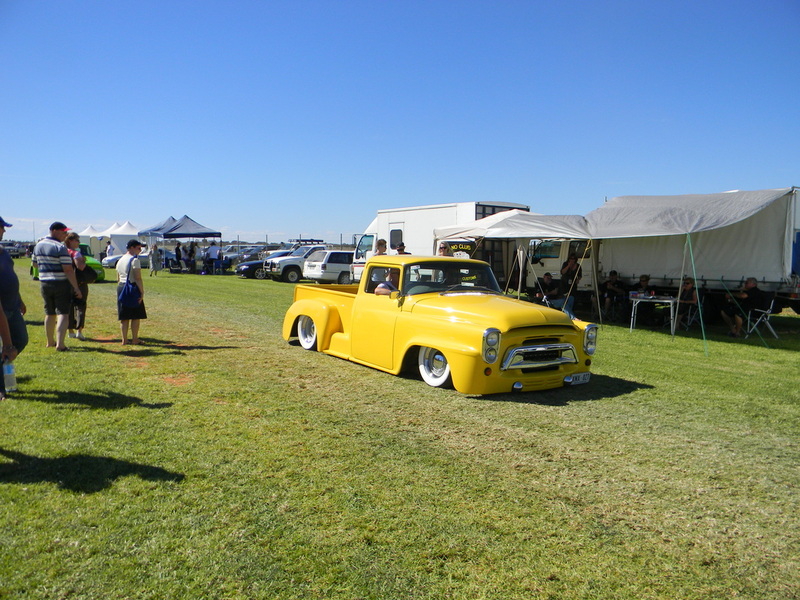 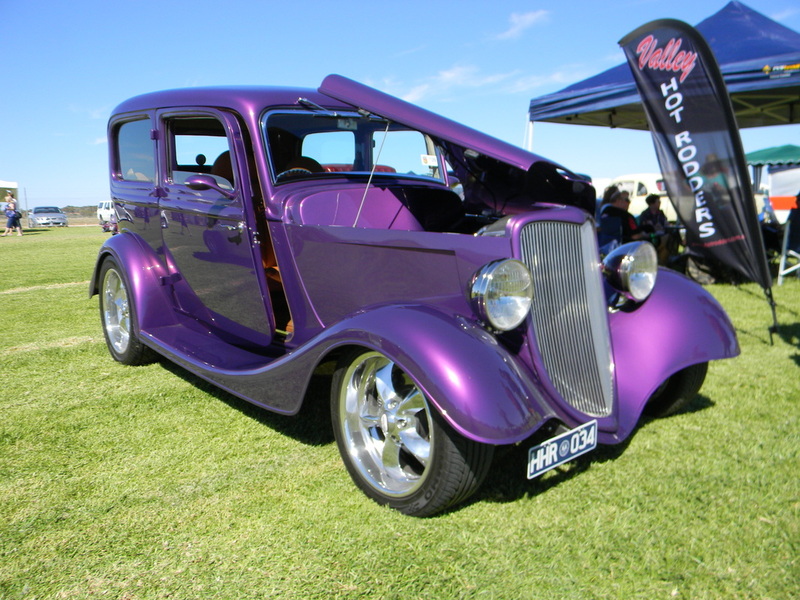 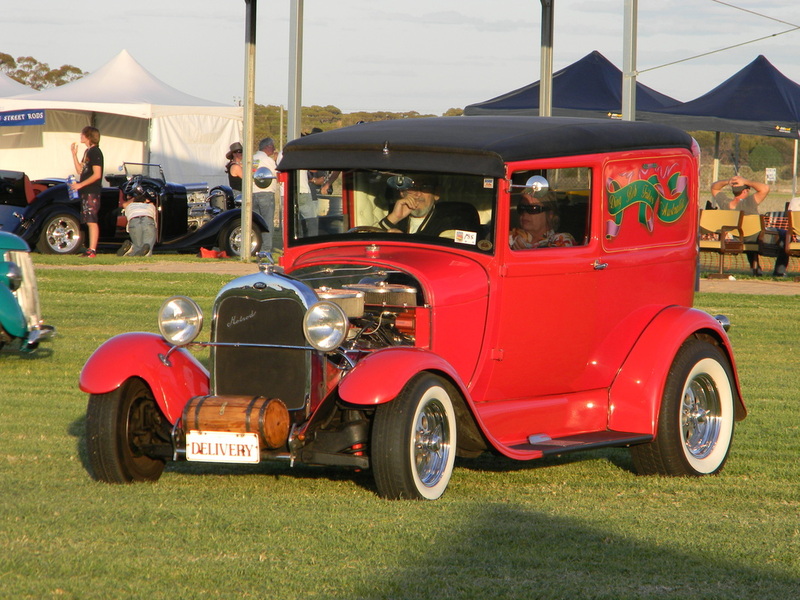 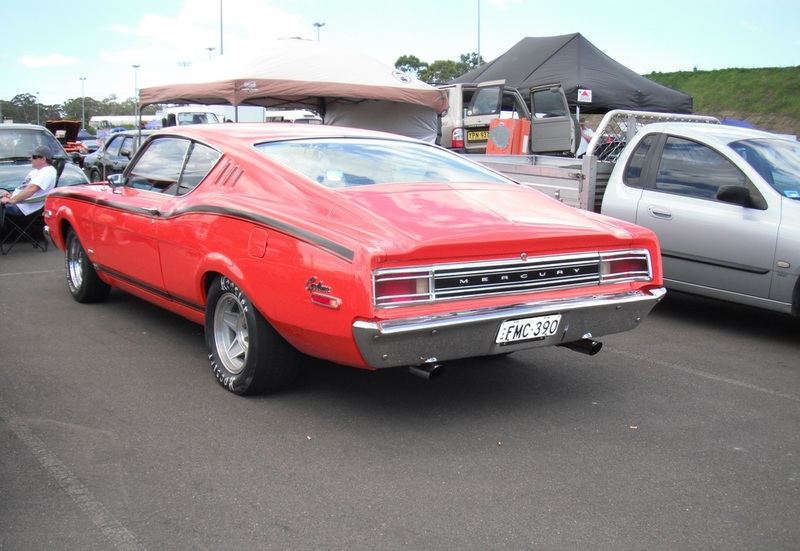 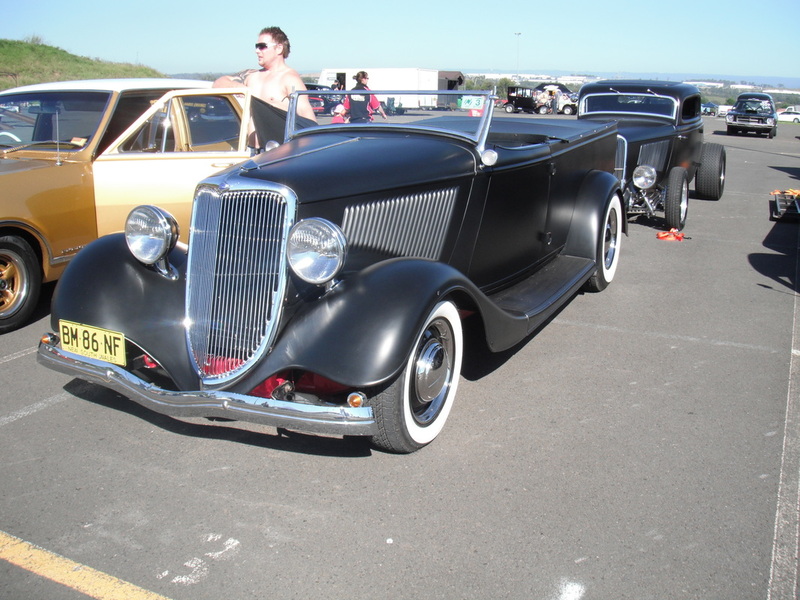 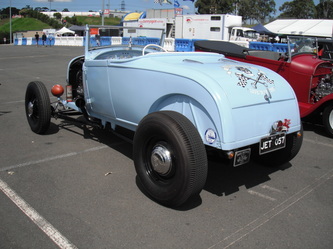 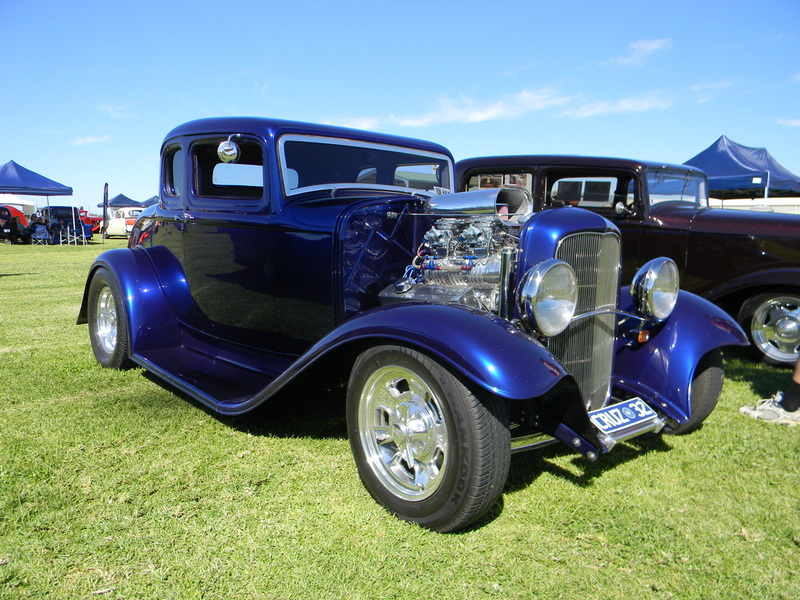 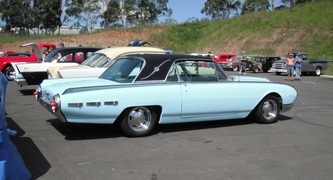 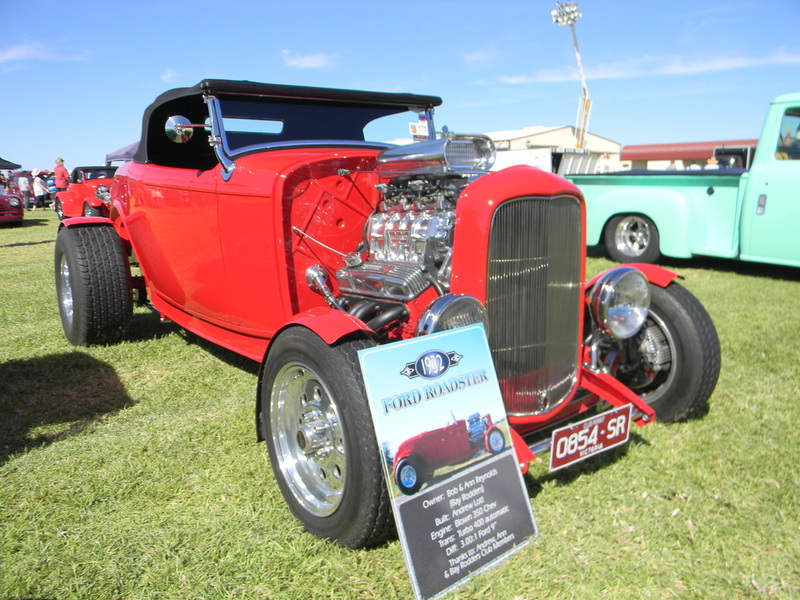 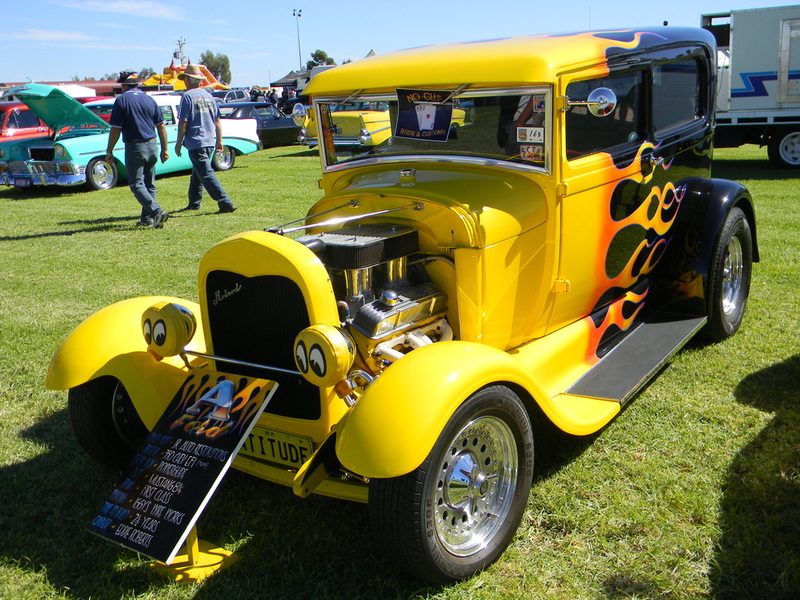 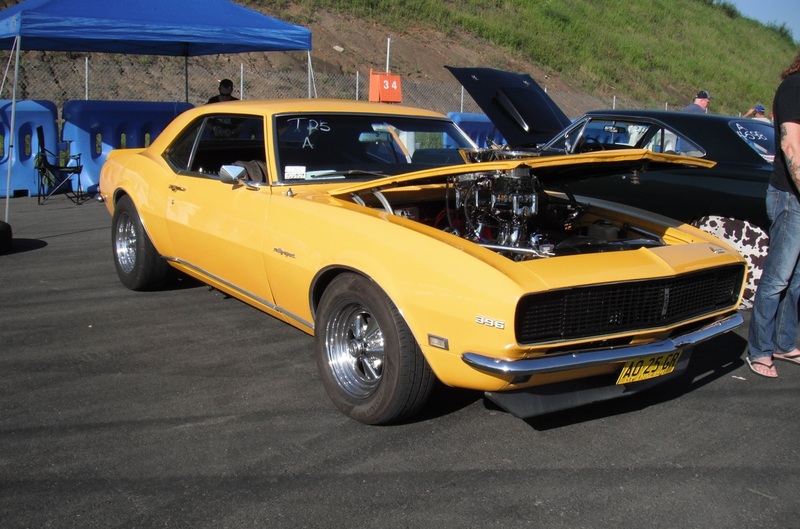 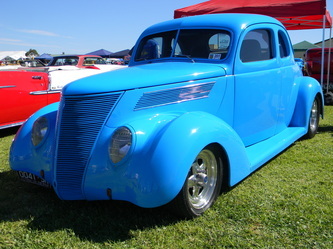 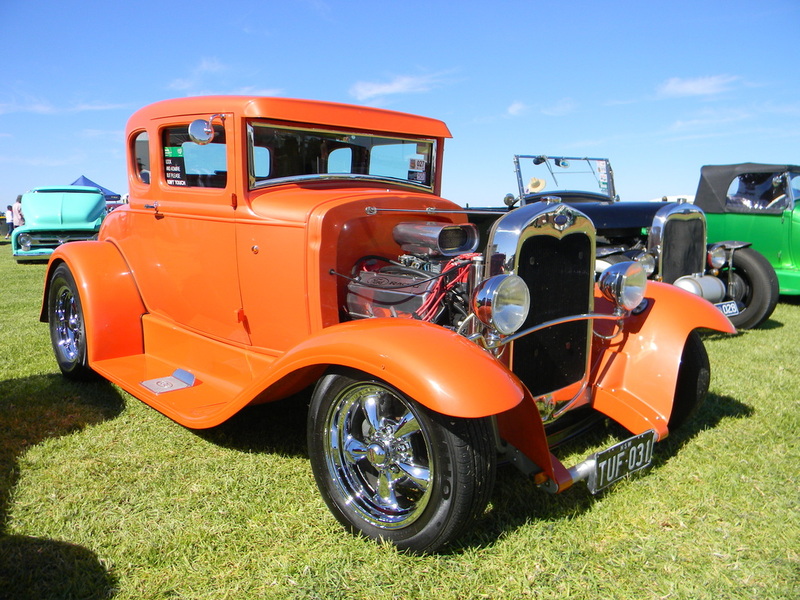 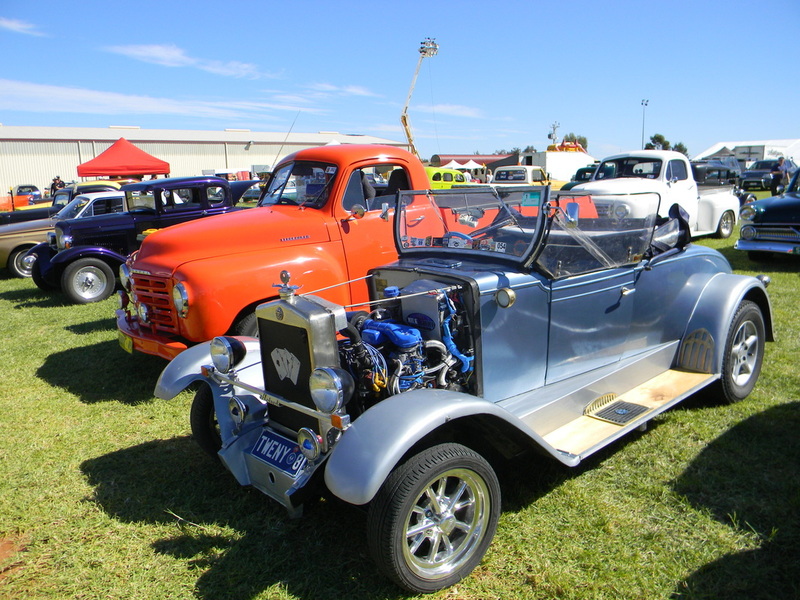 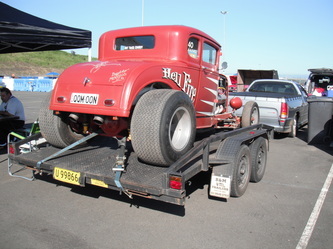 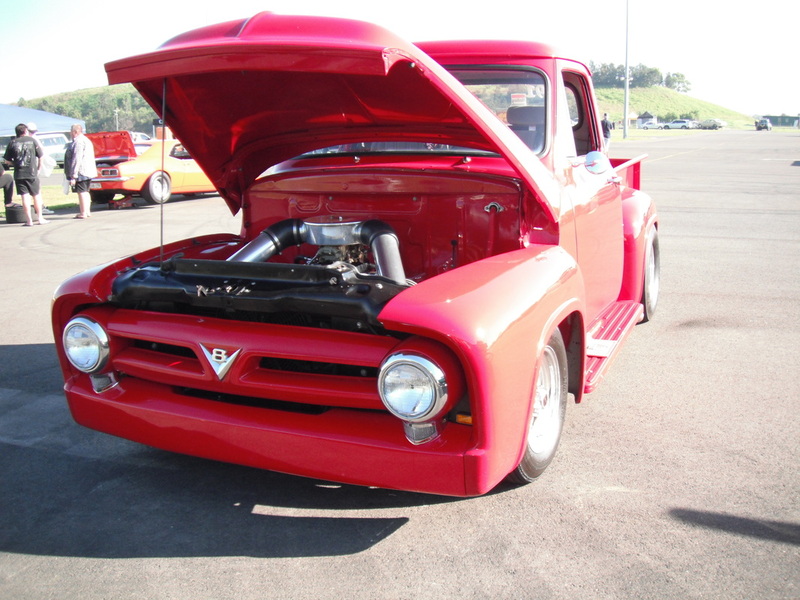 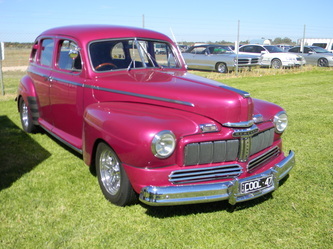 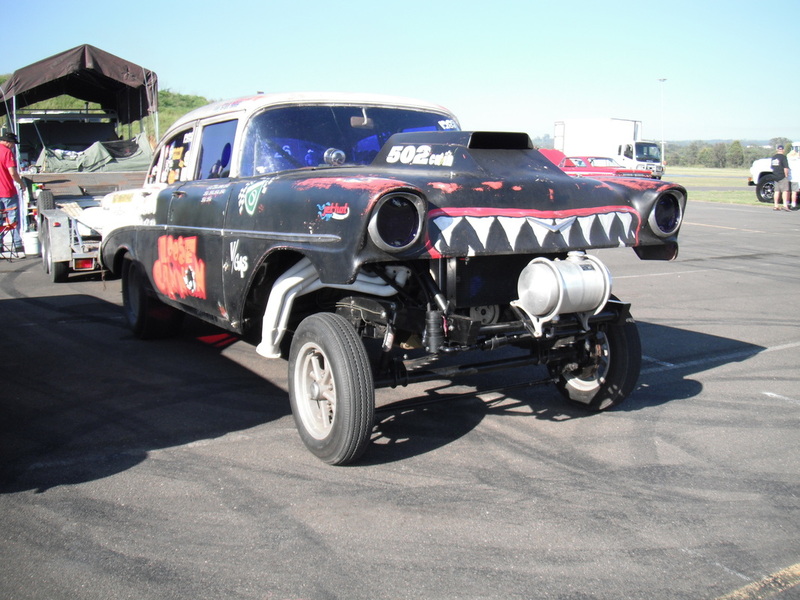 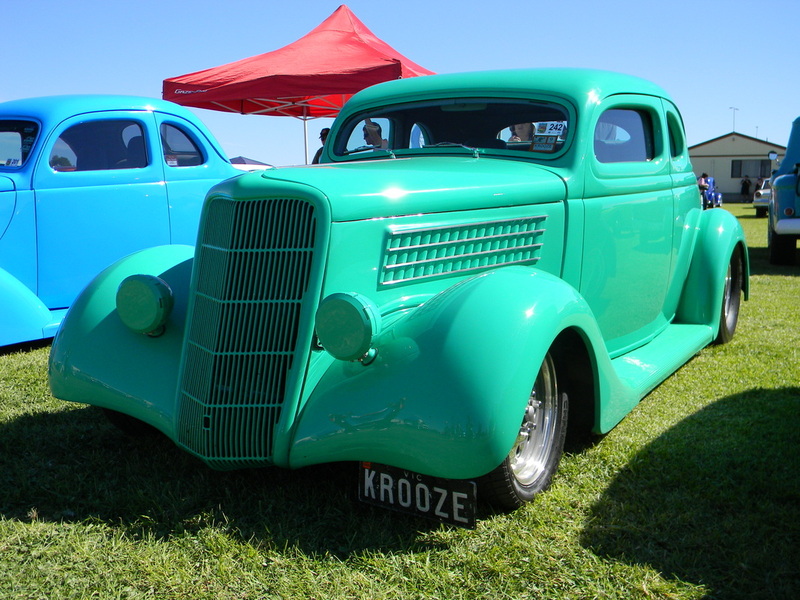 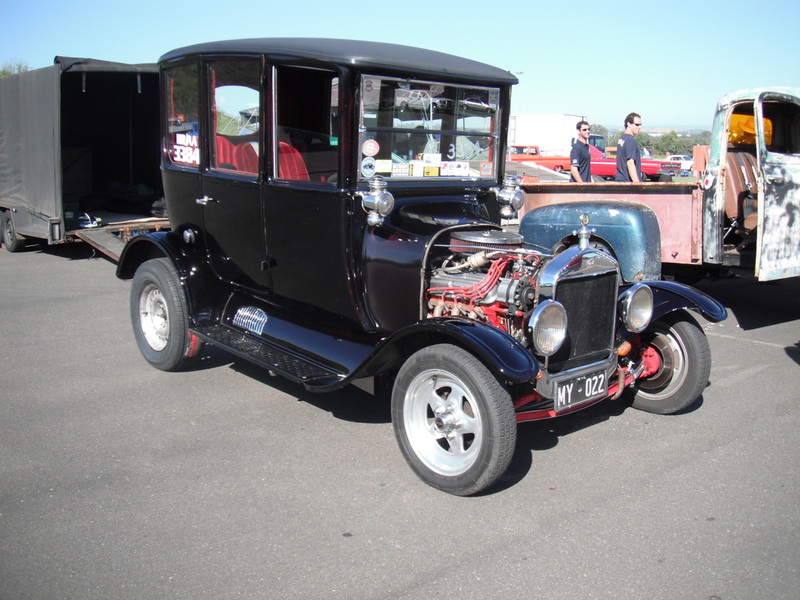 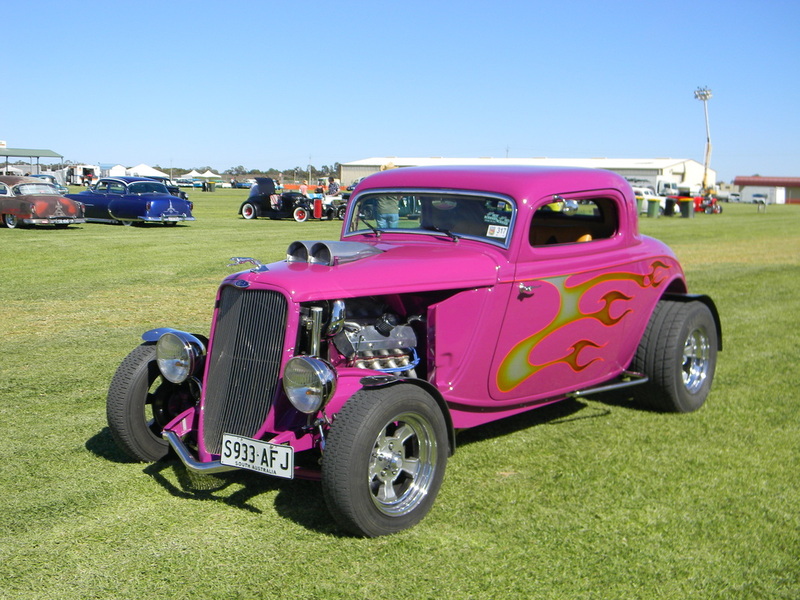 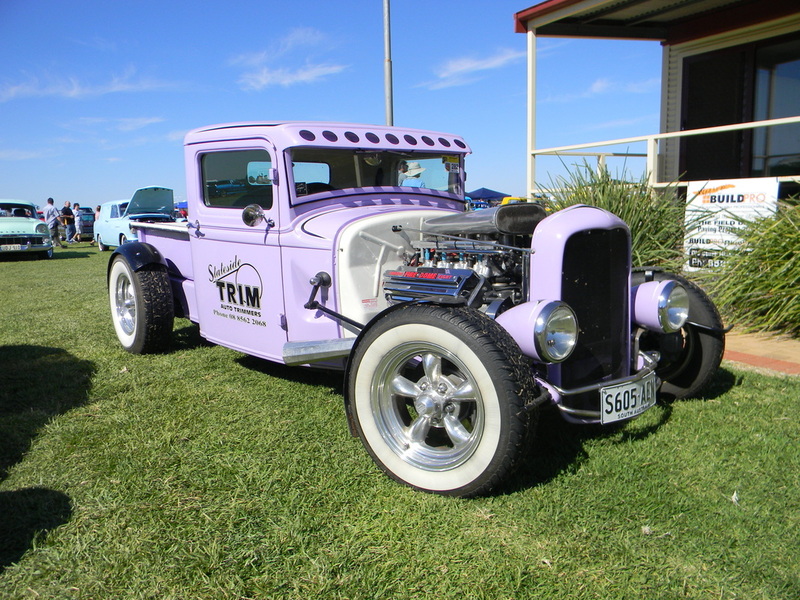 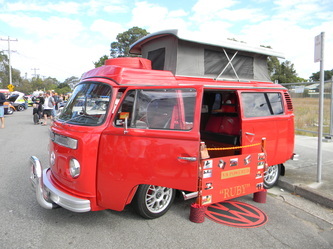 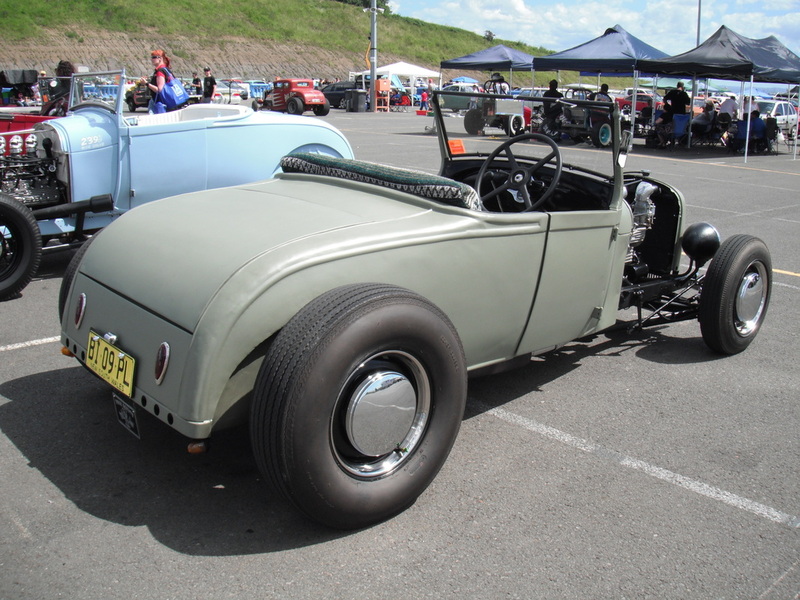 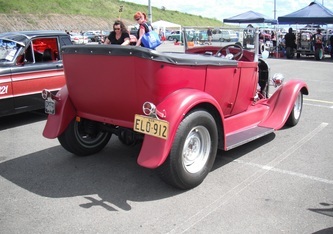 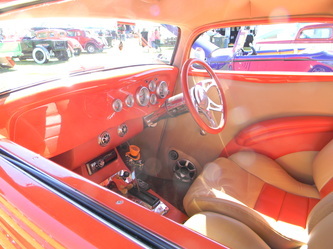 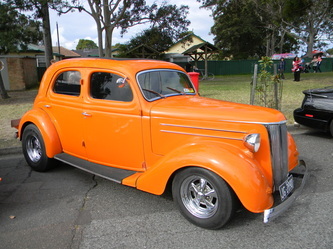 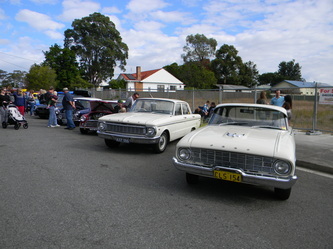 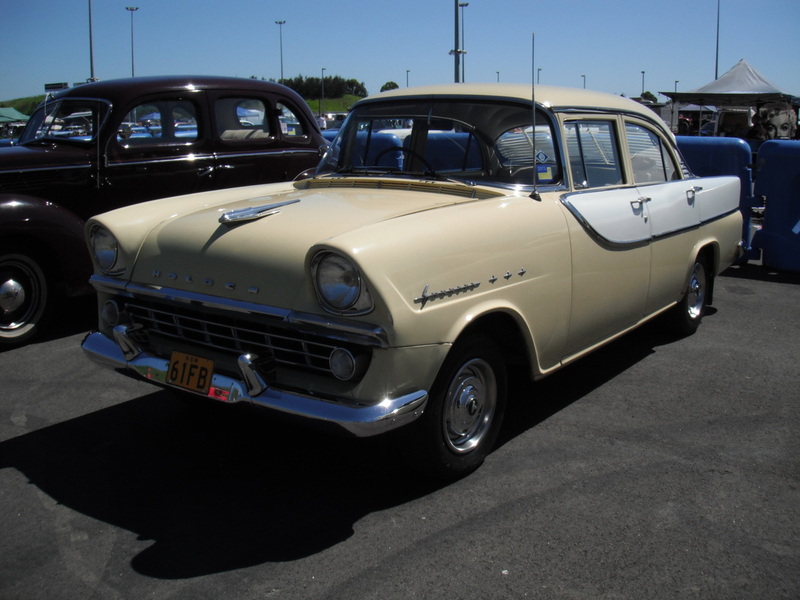 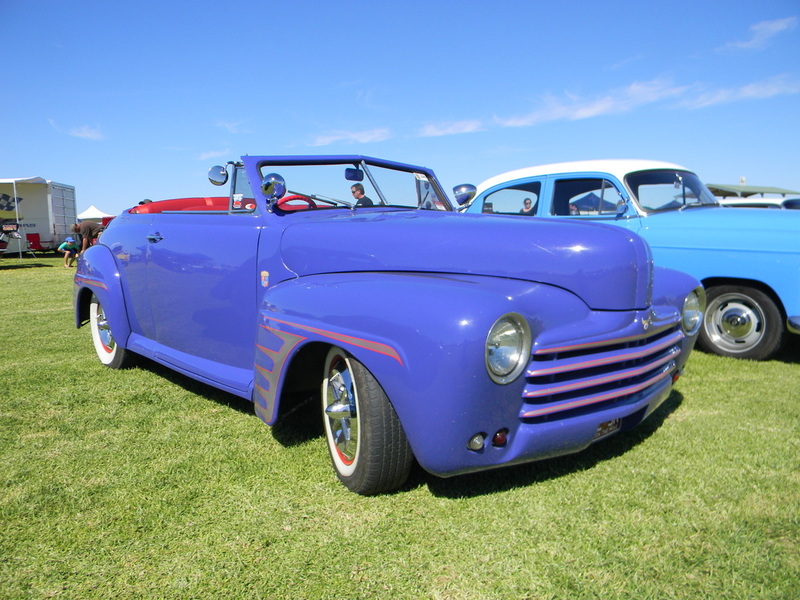 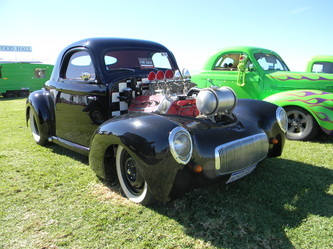 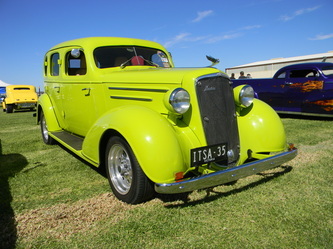 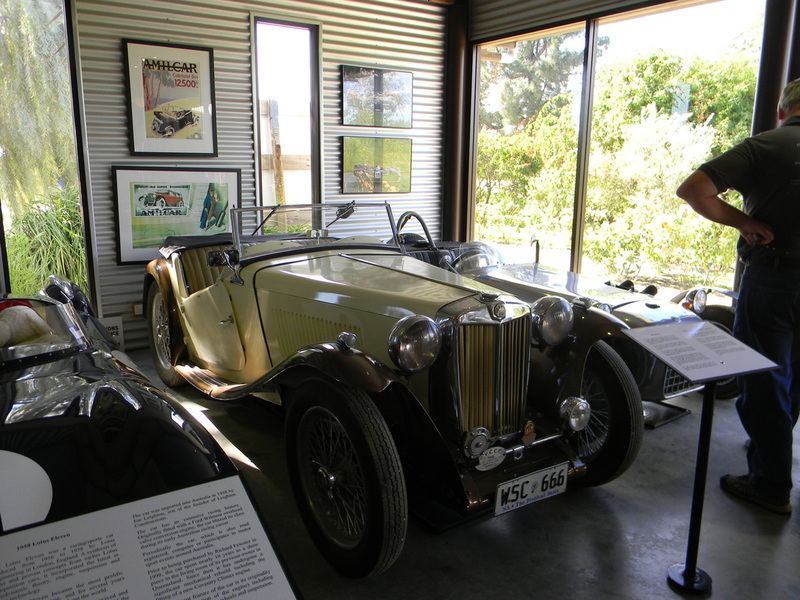 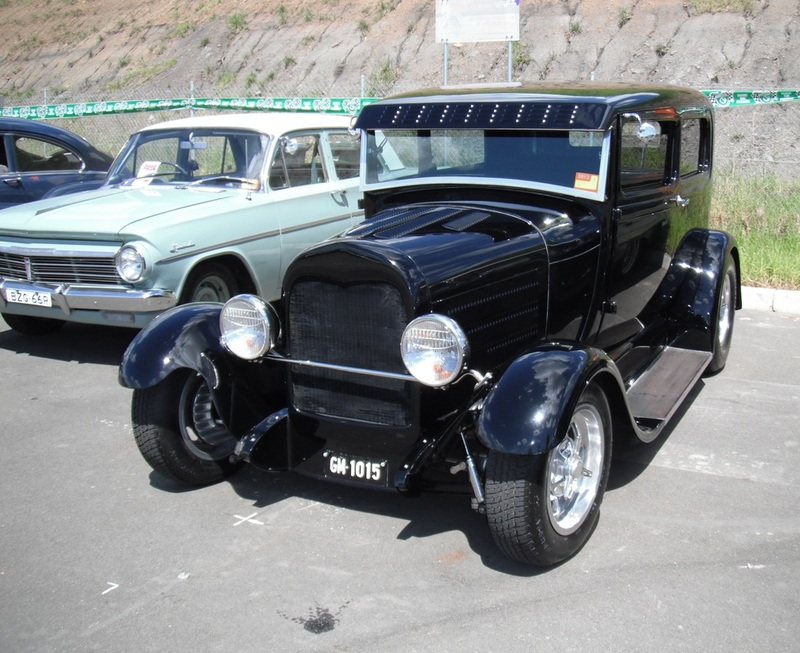 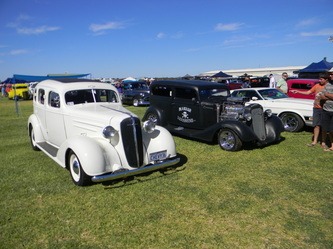 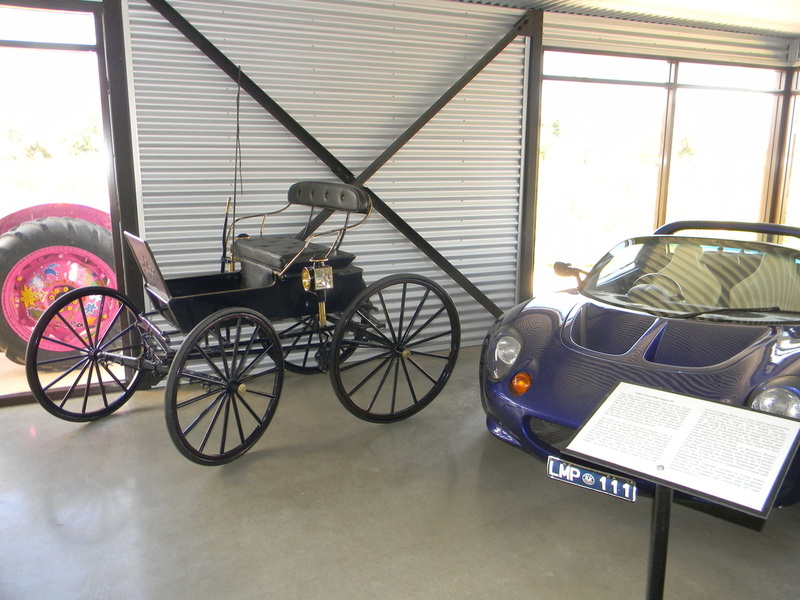 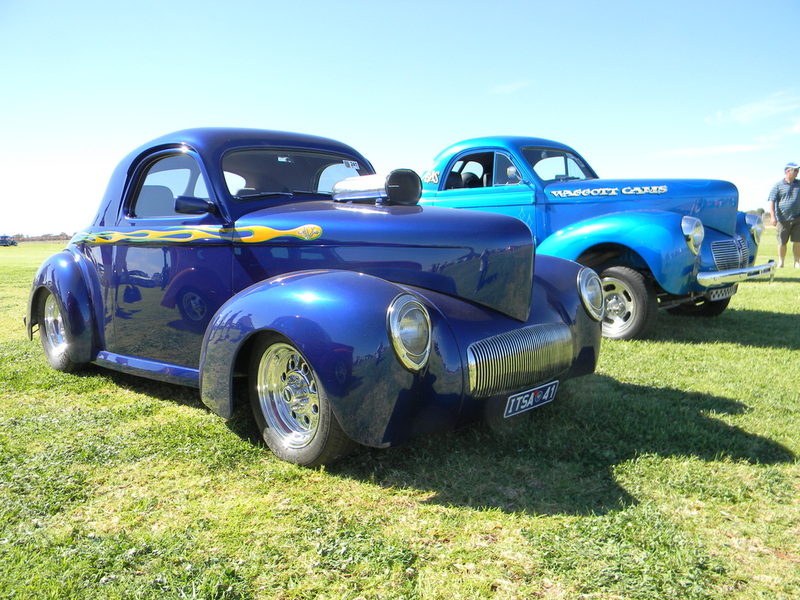 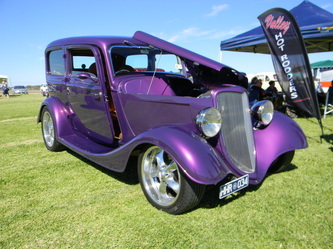 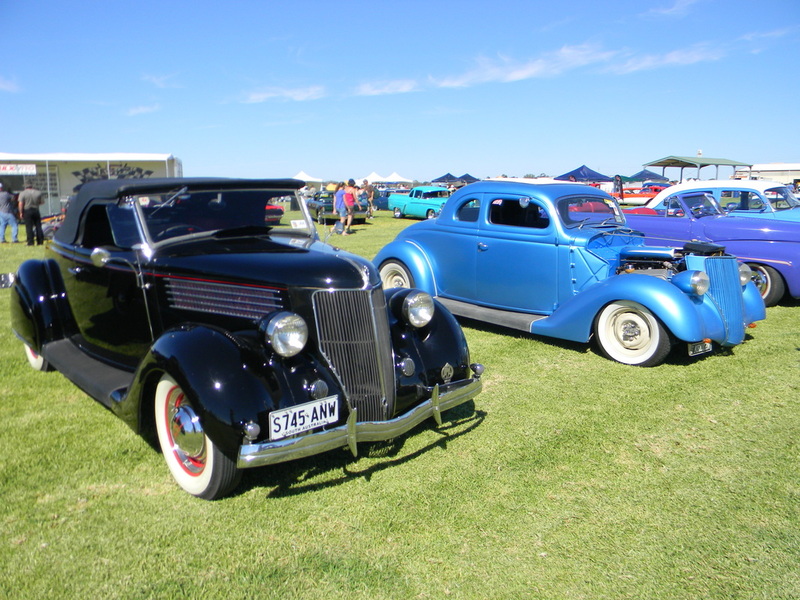 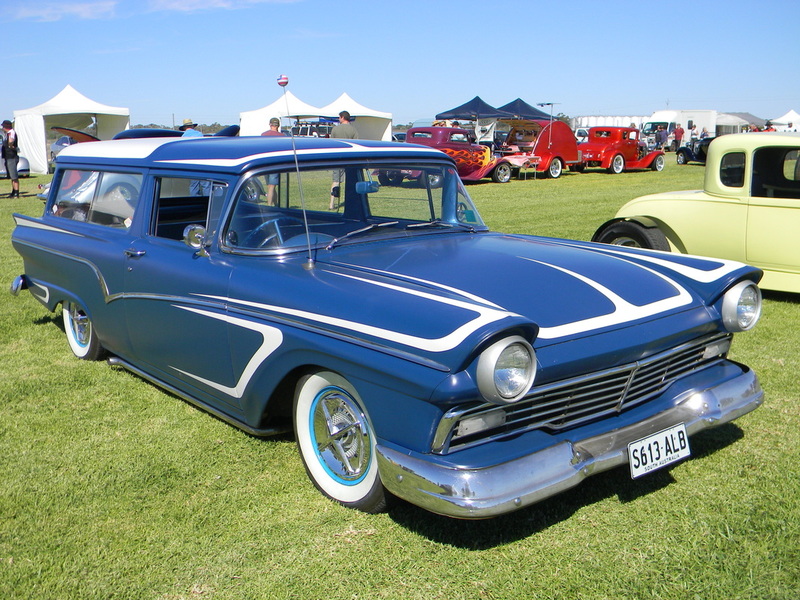 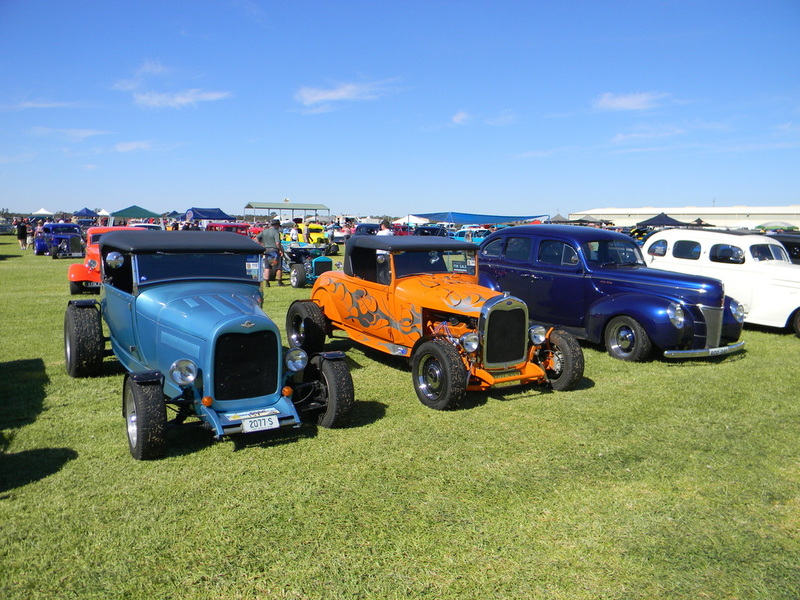 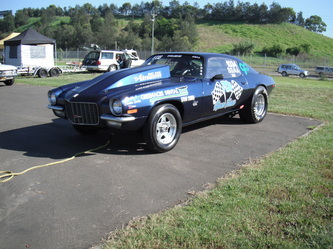 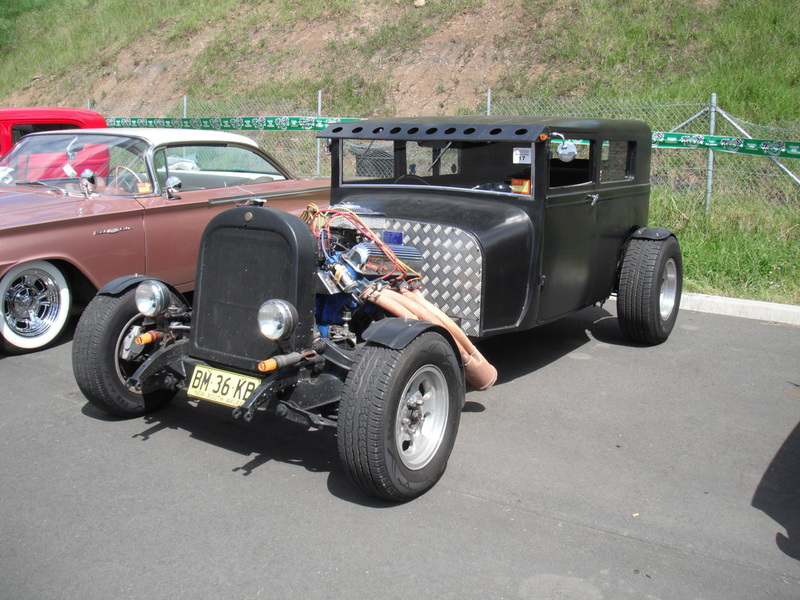 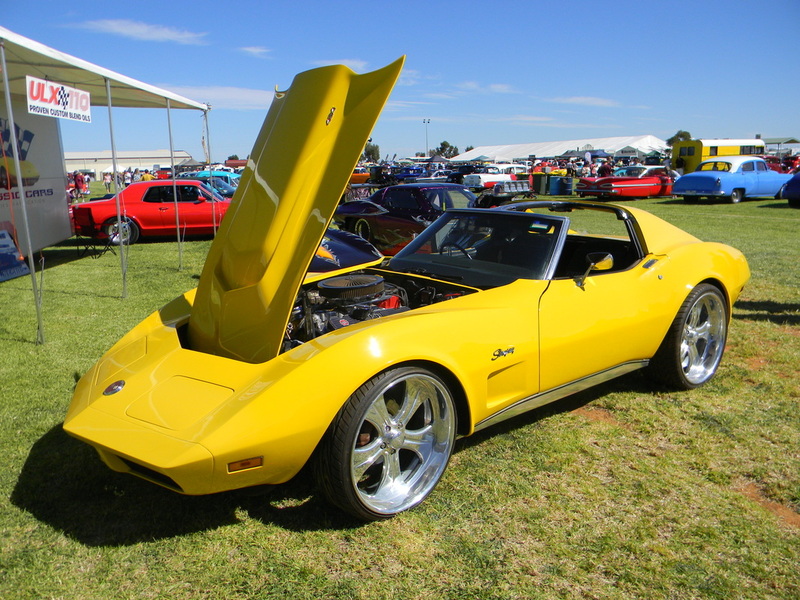 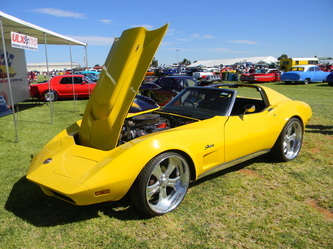 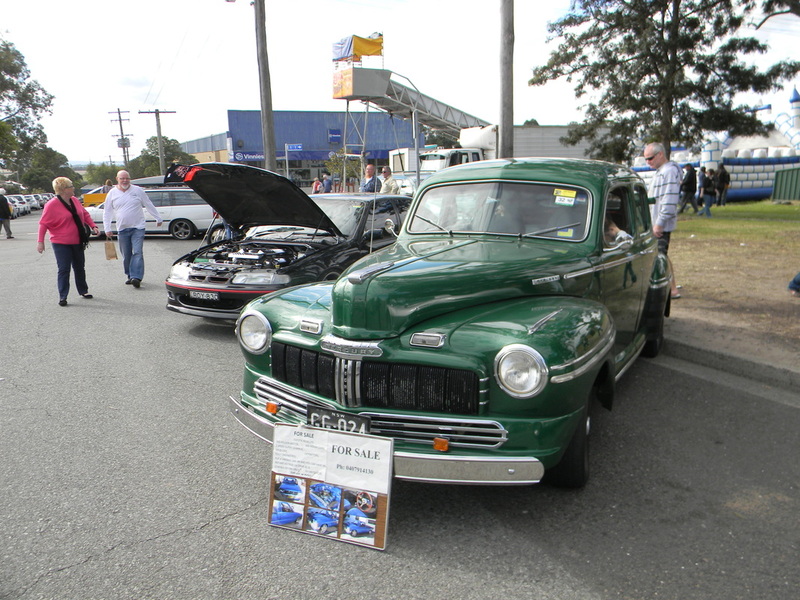 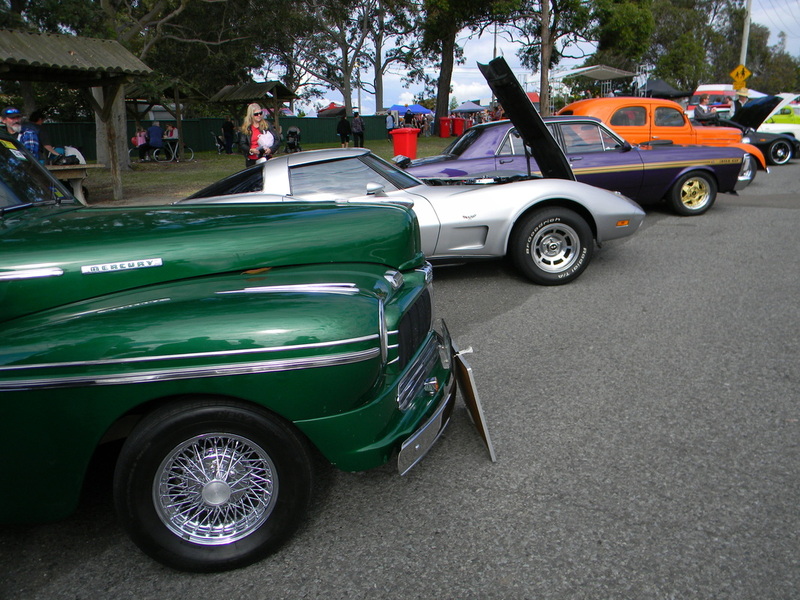 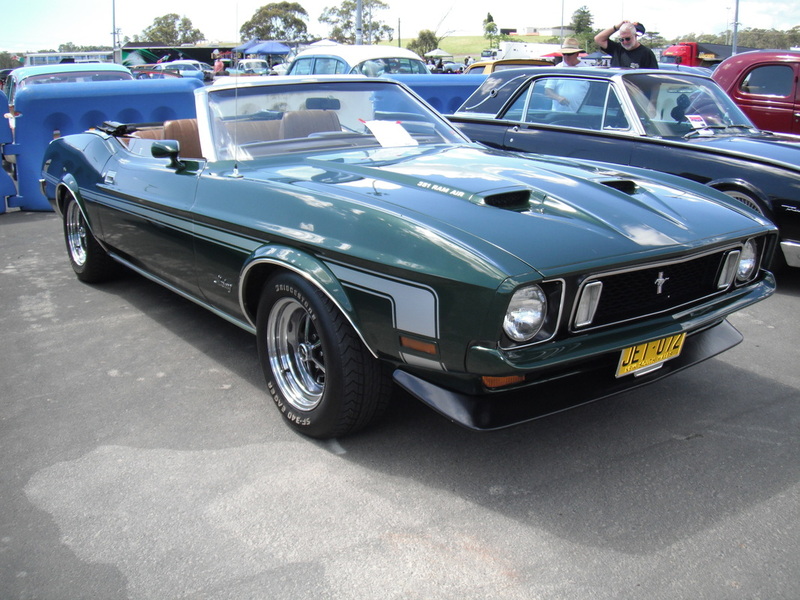 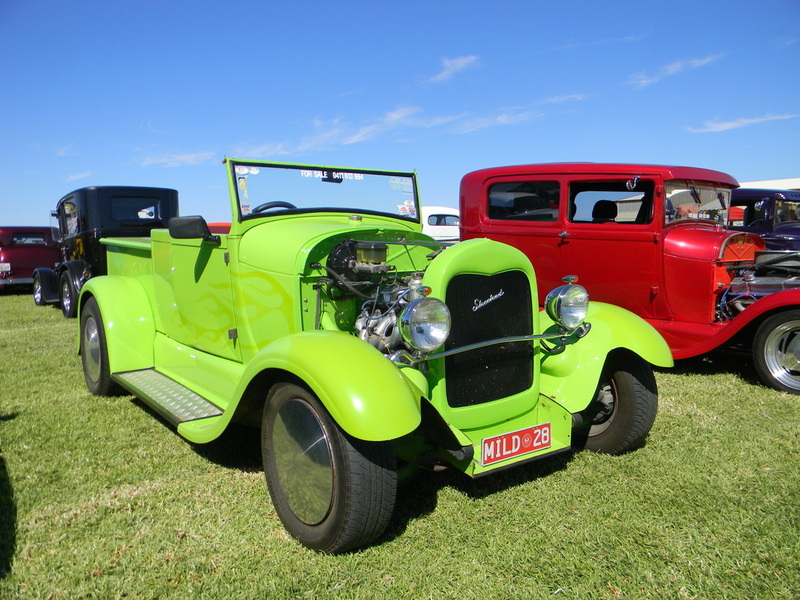 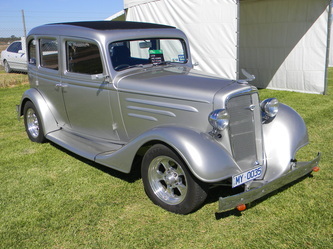 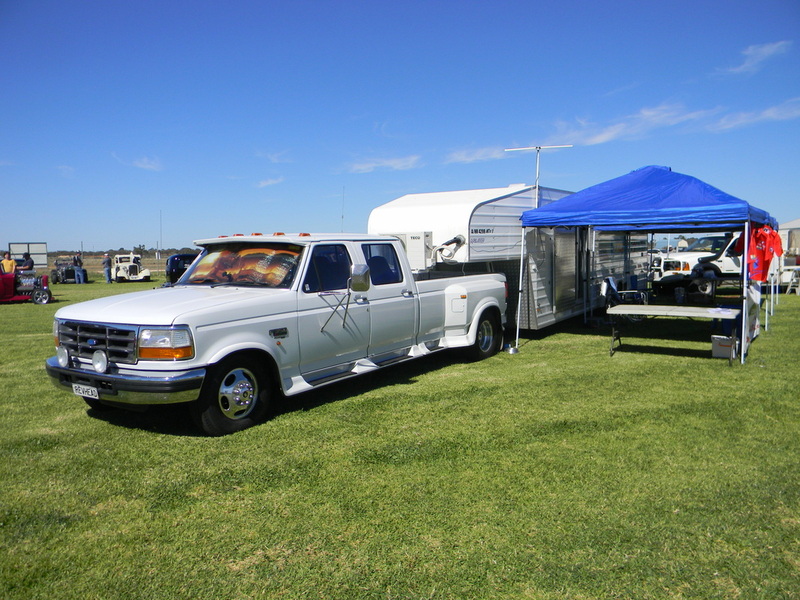 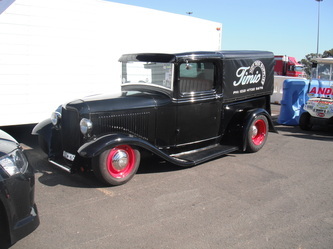 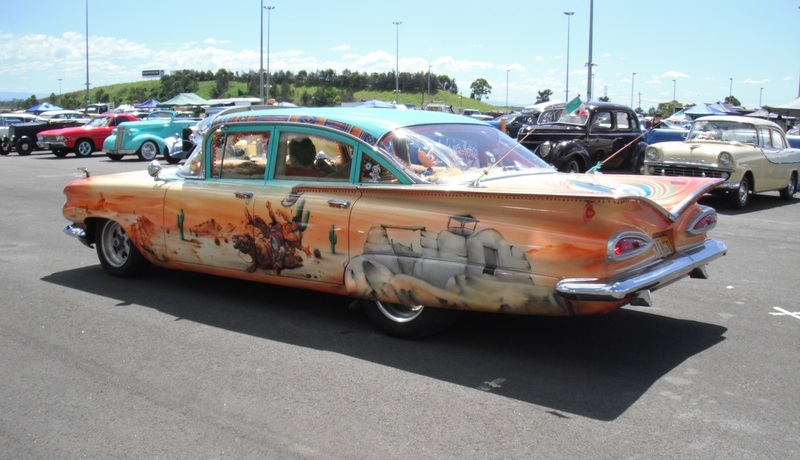 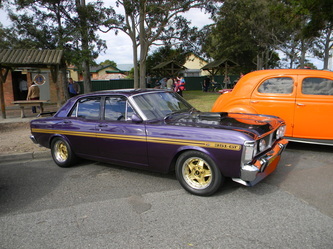 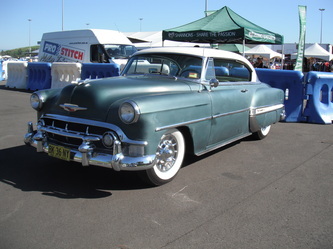 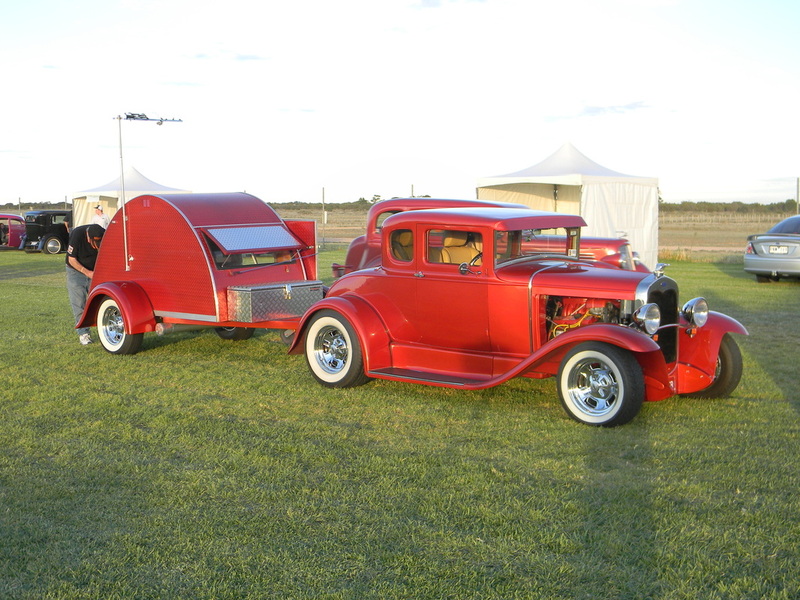 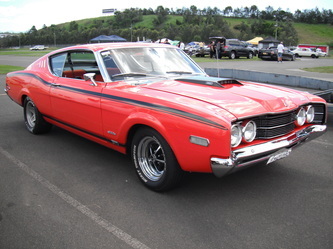 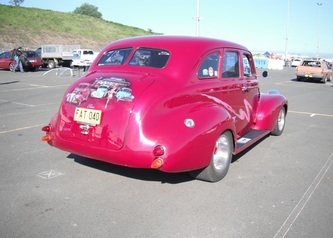 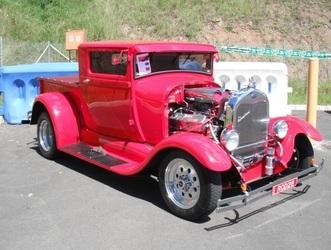 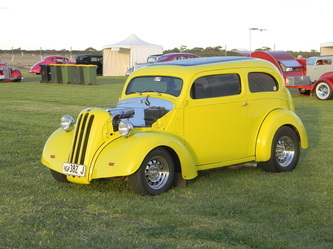 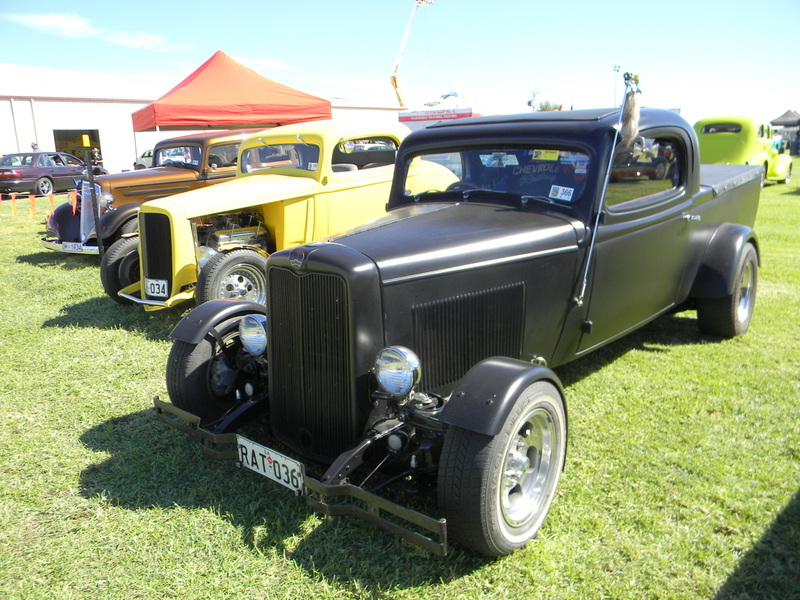 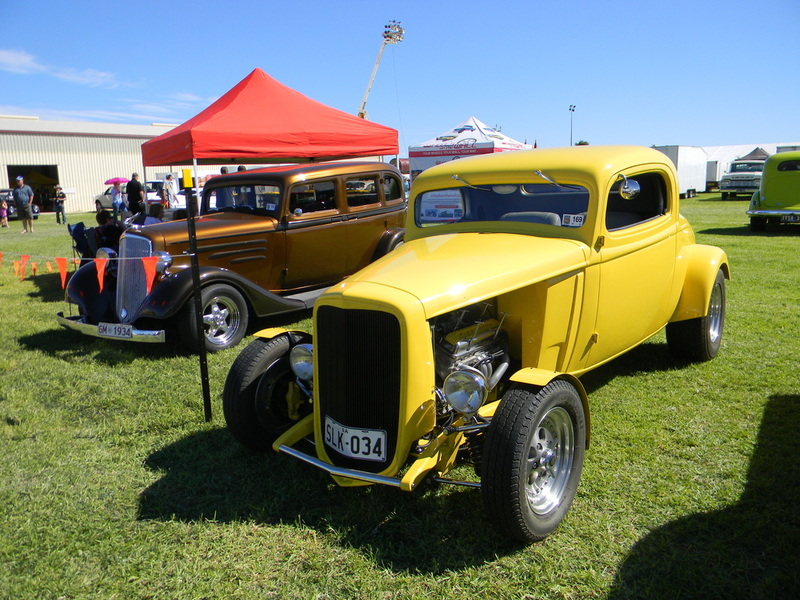 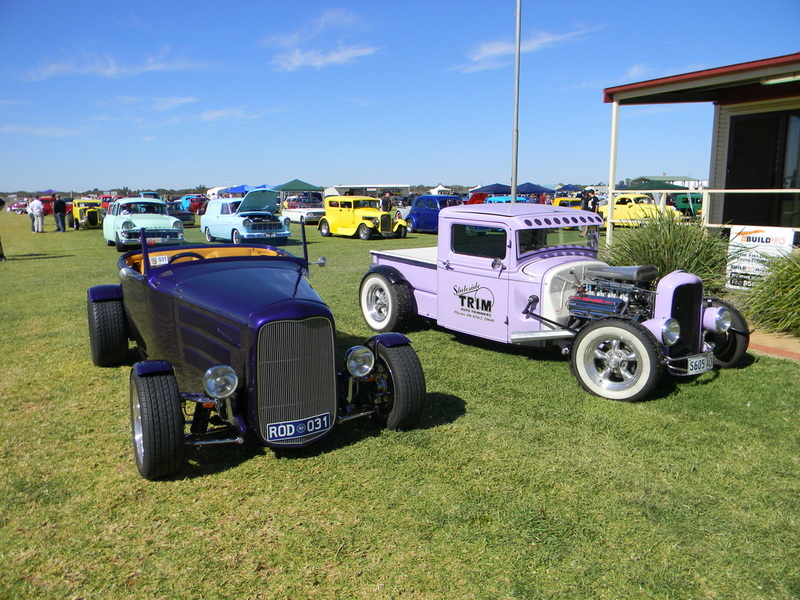 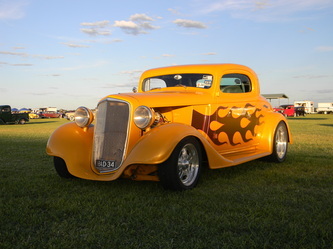 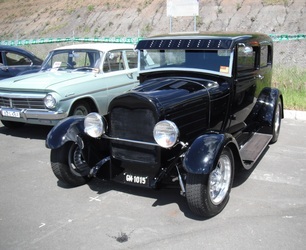 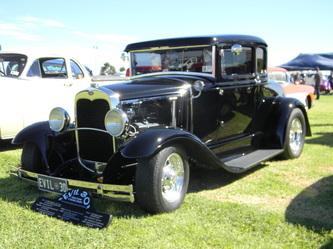 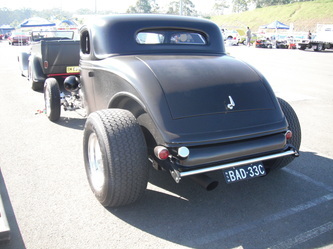 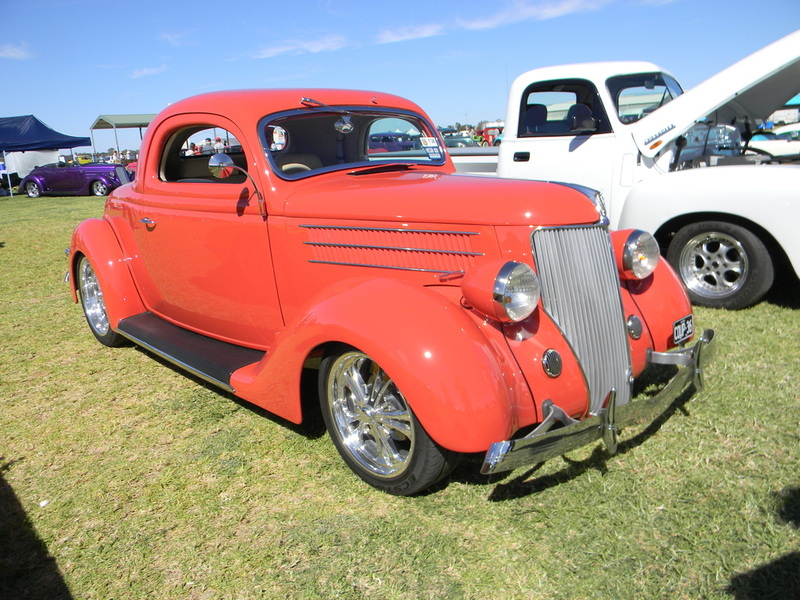 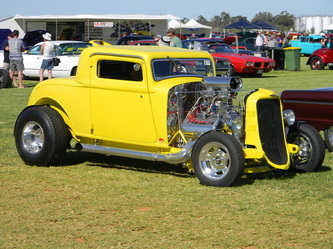 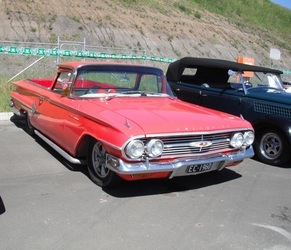 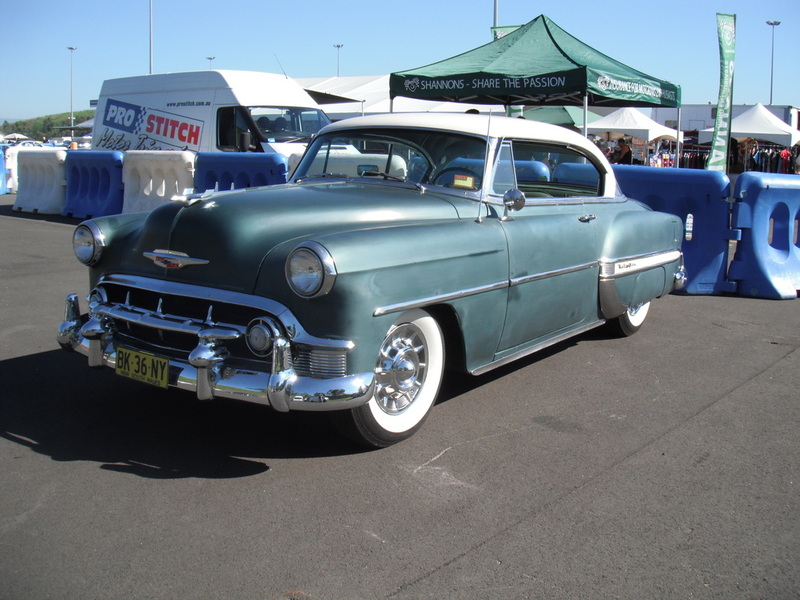 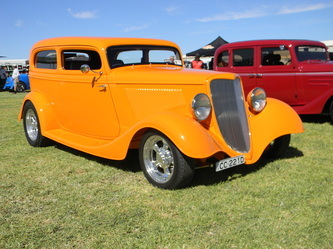 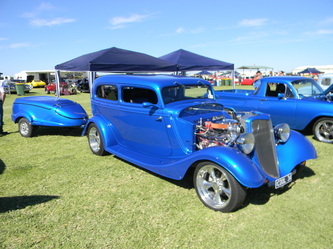 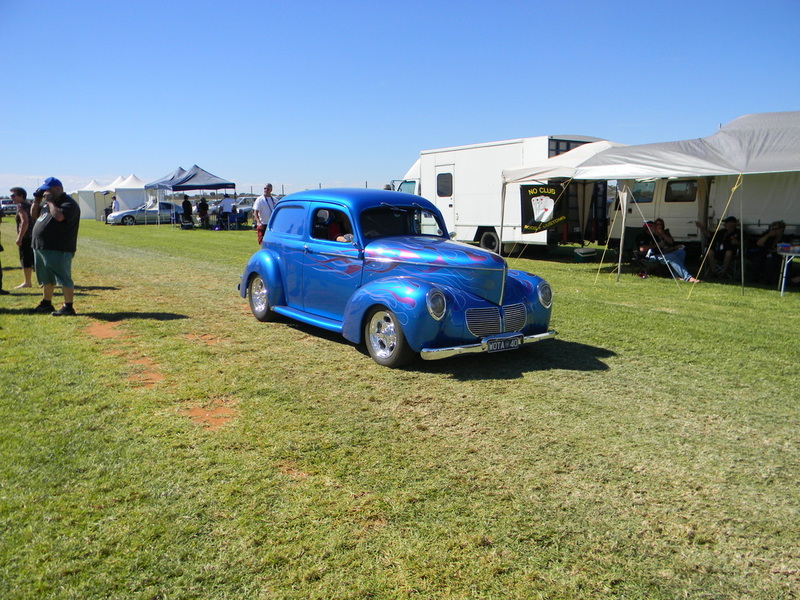 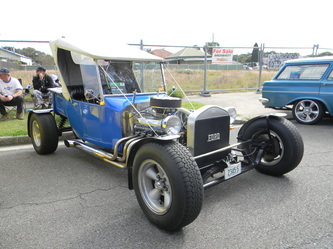 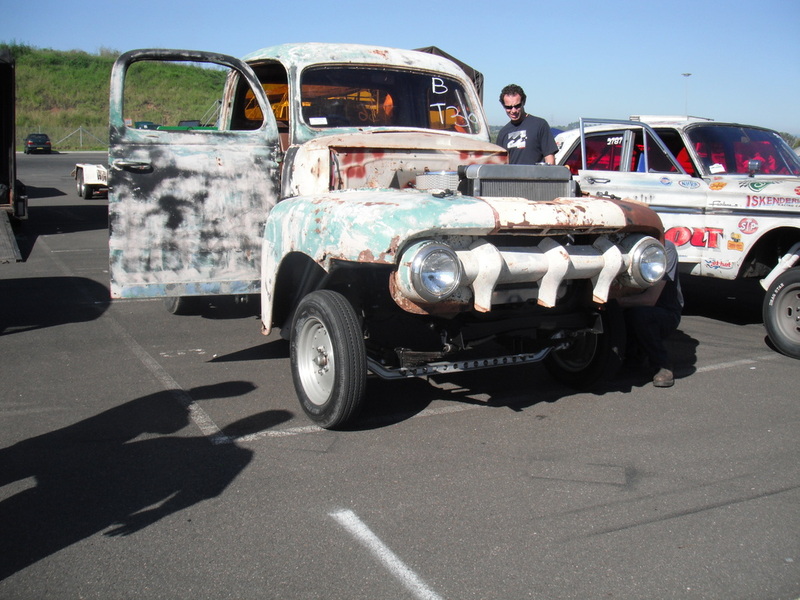 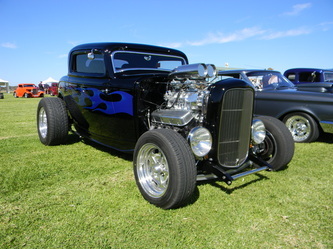 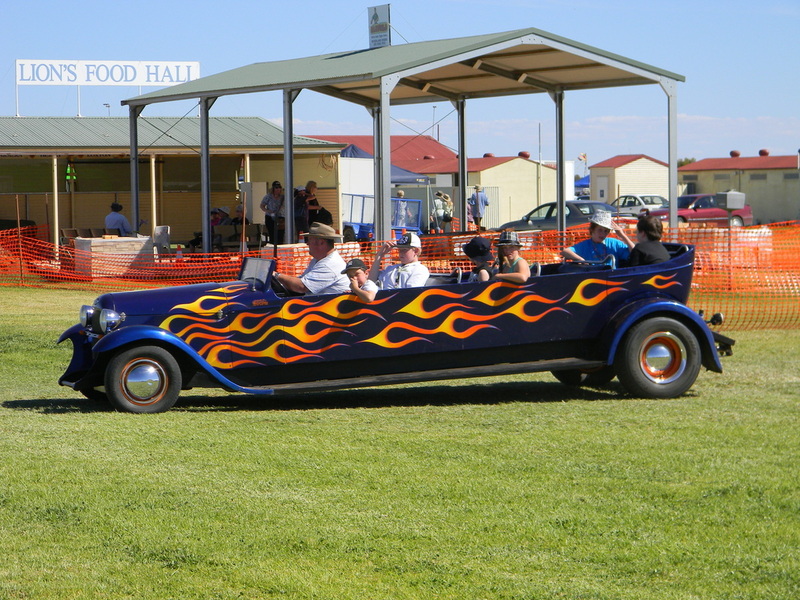 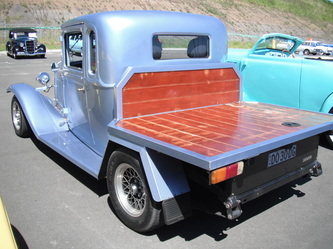 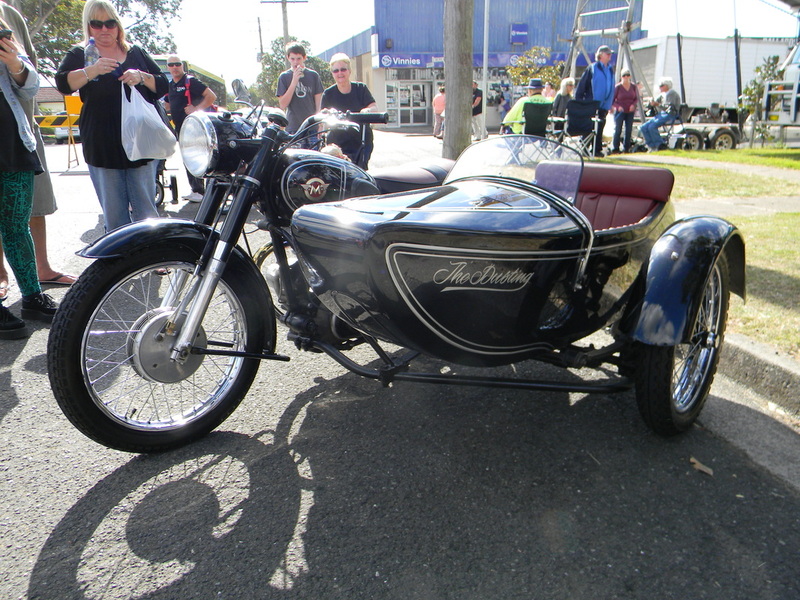 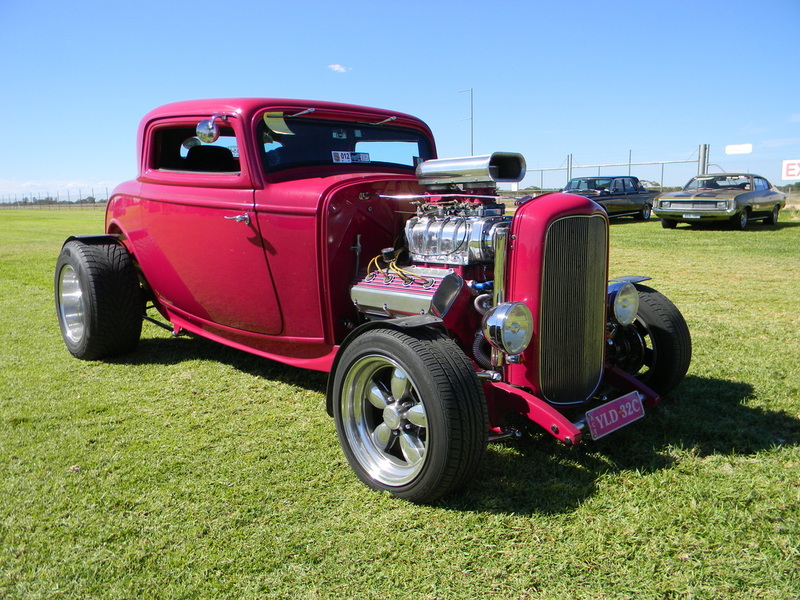 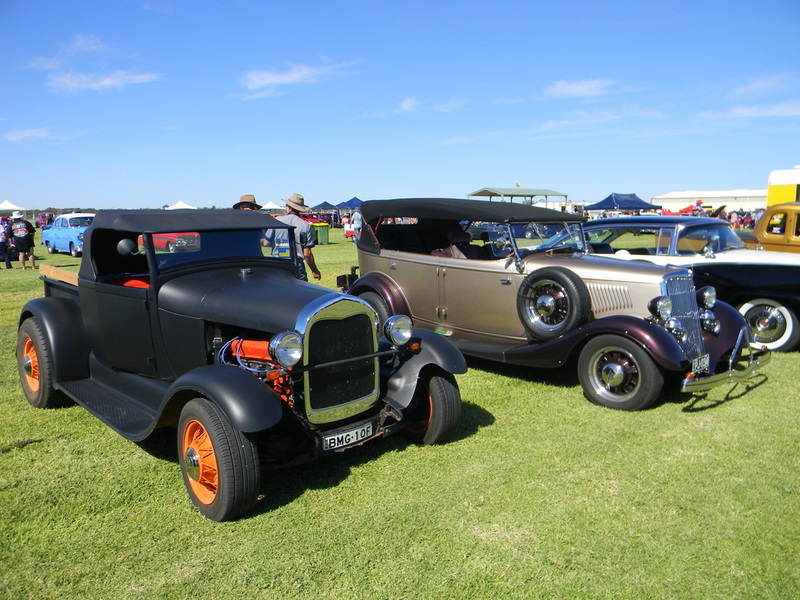 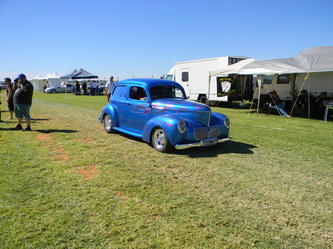 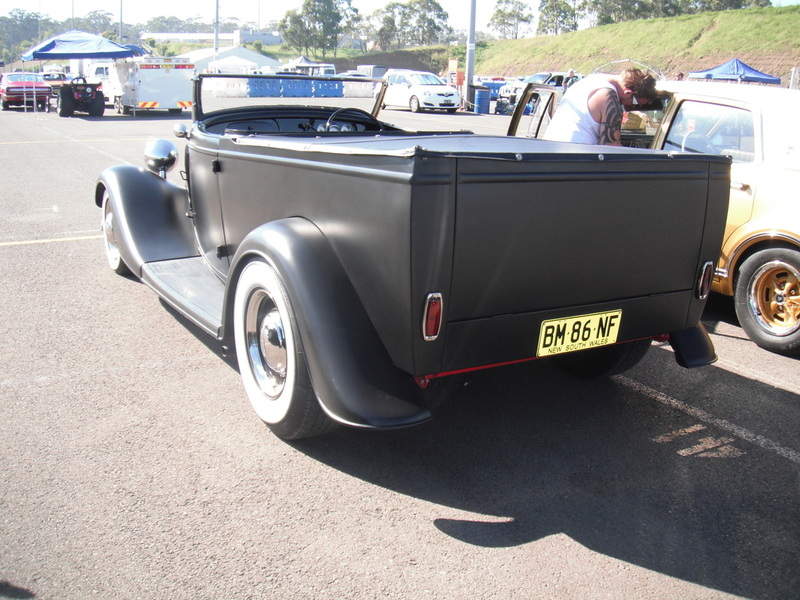 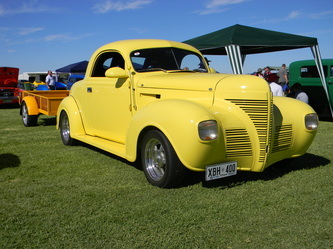 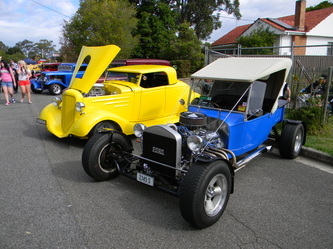 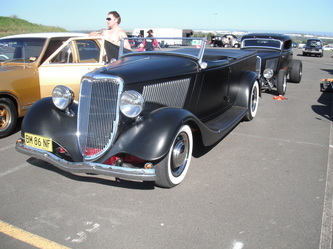 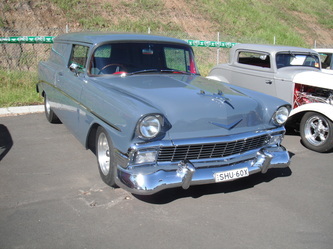 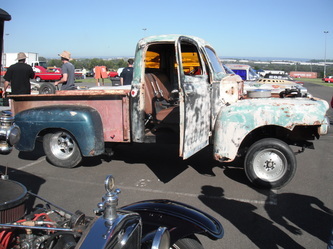 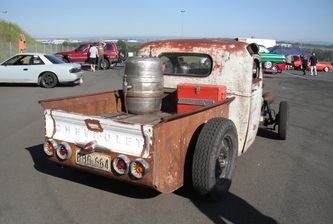 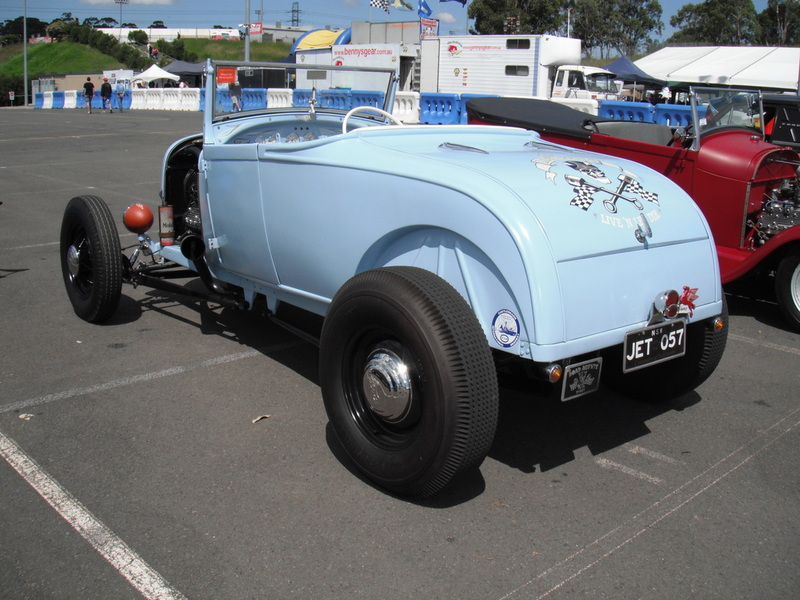 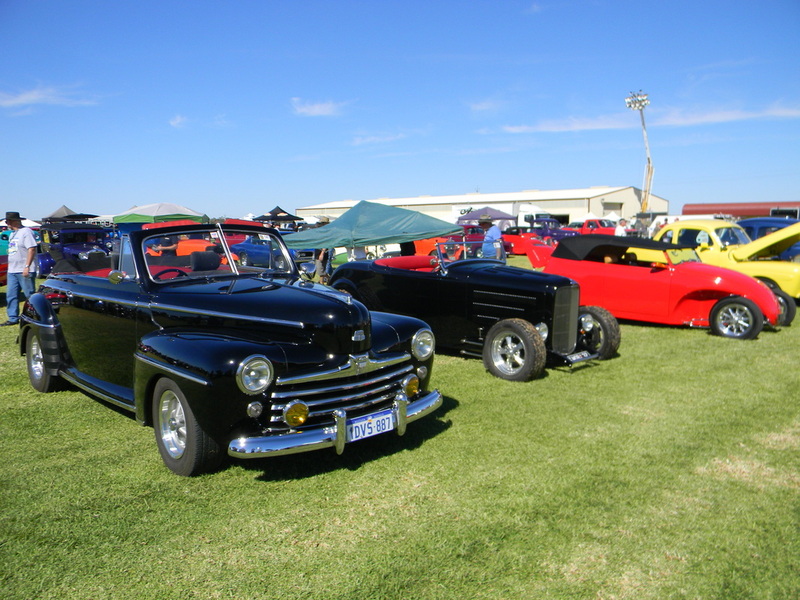 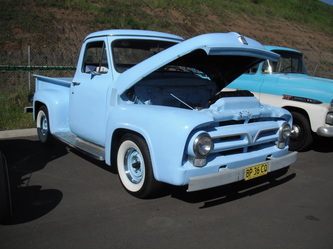 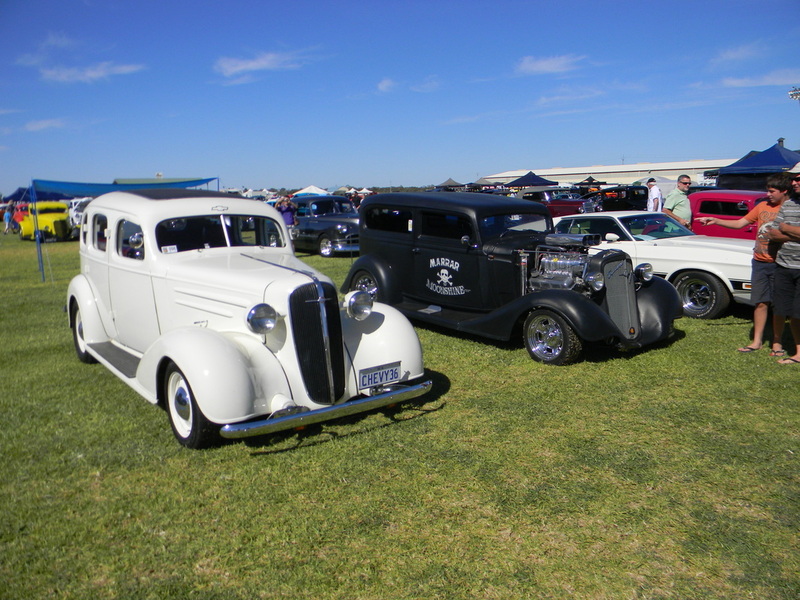 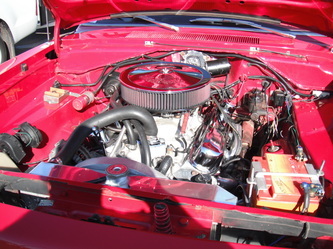 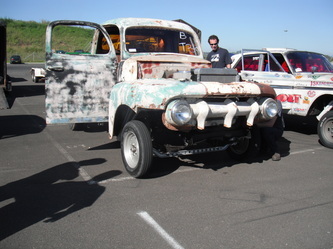 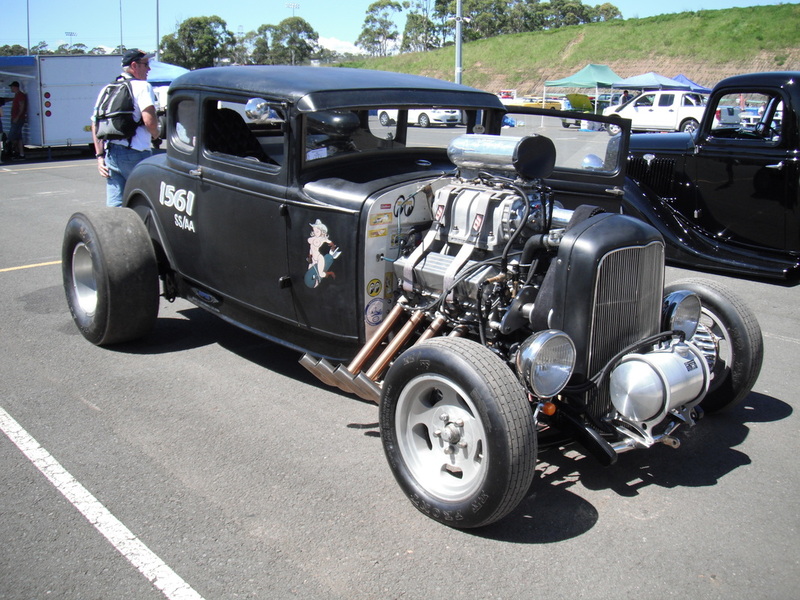 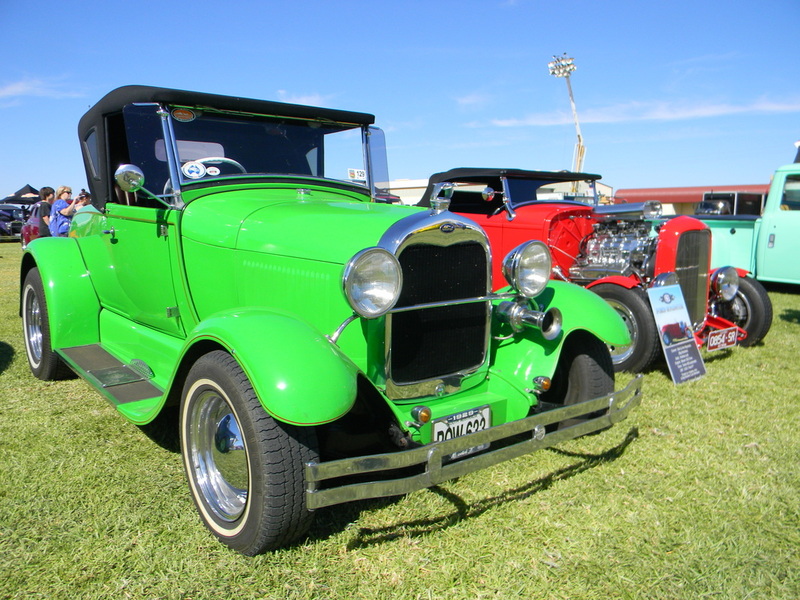 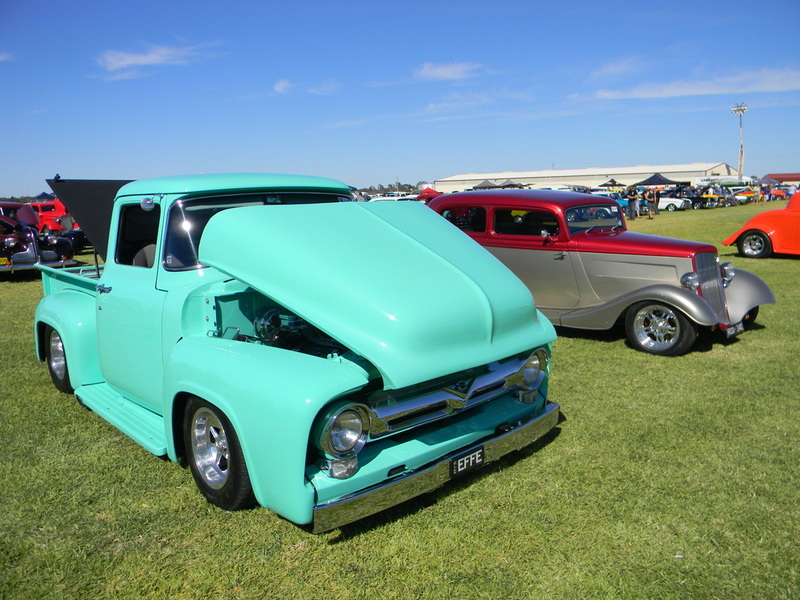 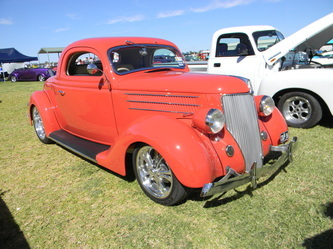 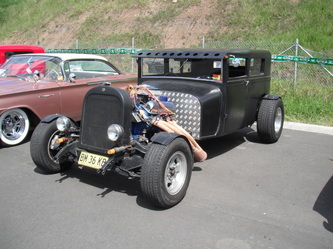 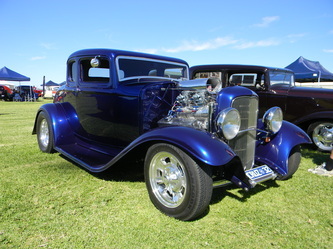 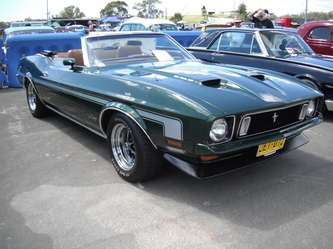 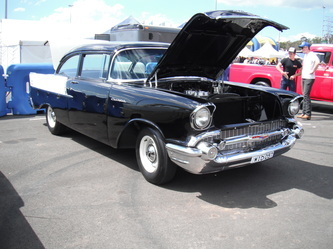 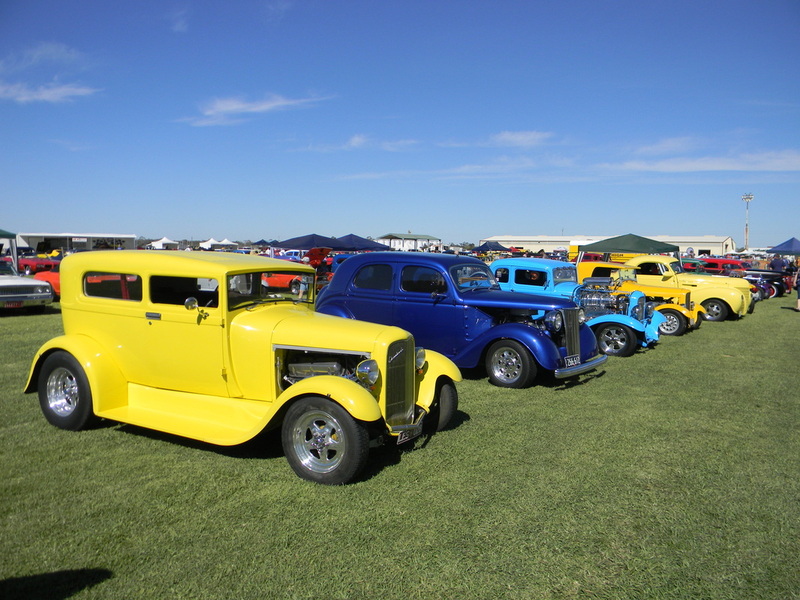 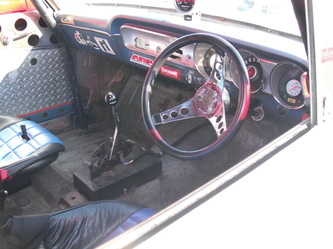 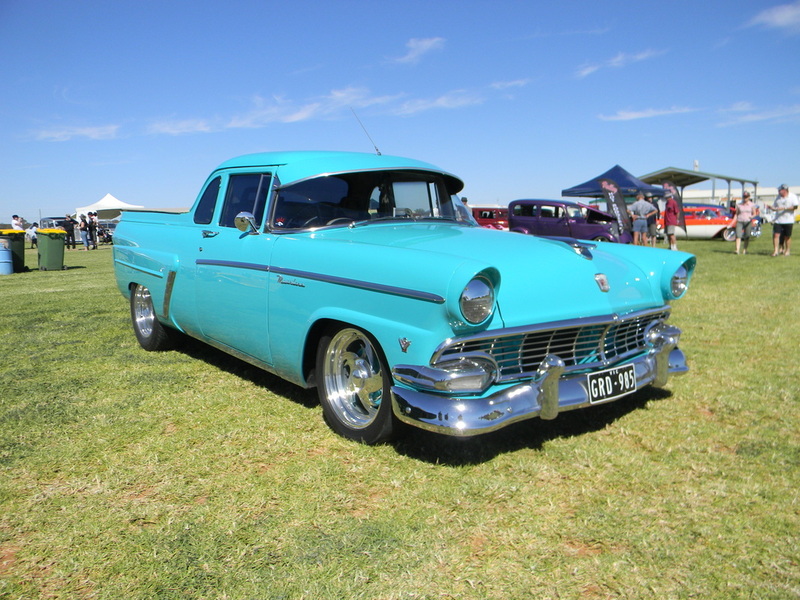 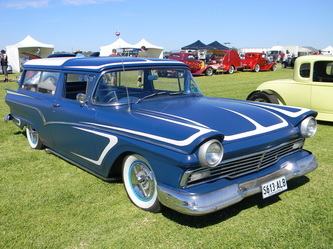 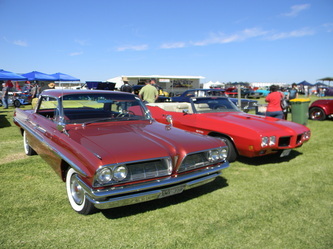 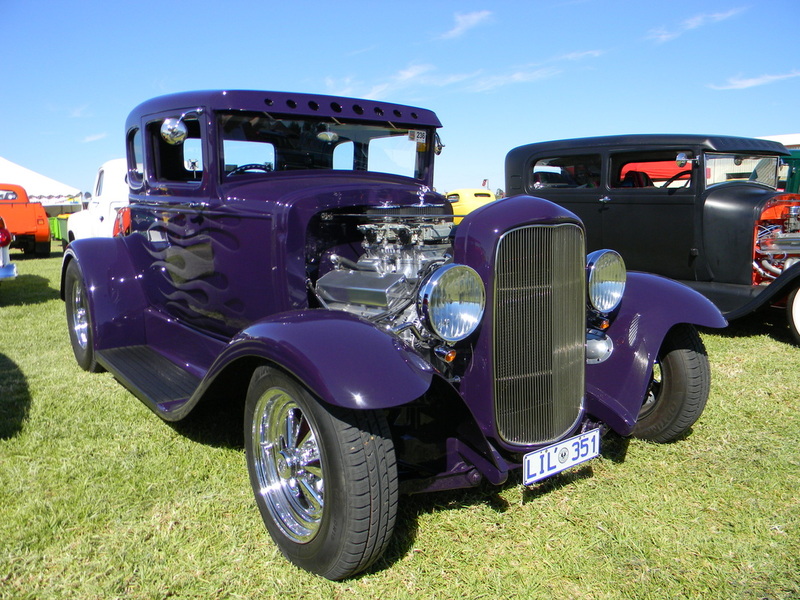 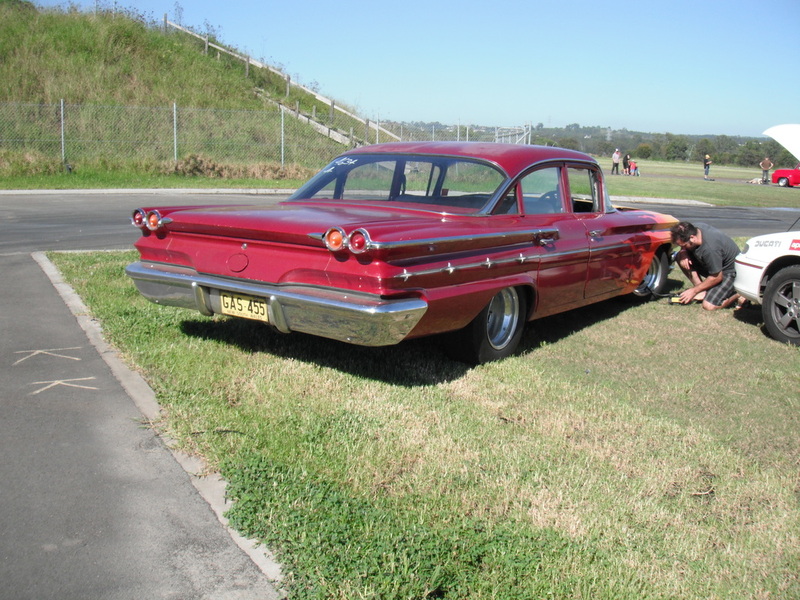 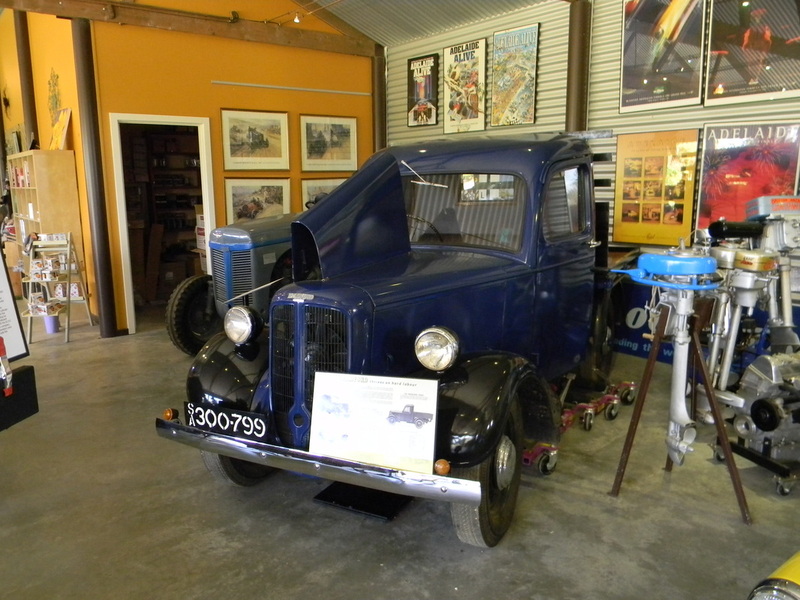 They also had plenty for the entrants to do with a rod run, grass events, bus trips, trade stands, show and shine and on top of that they supplied two evening meals and breakfasts. 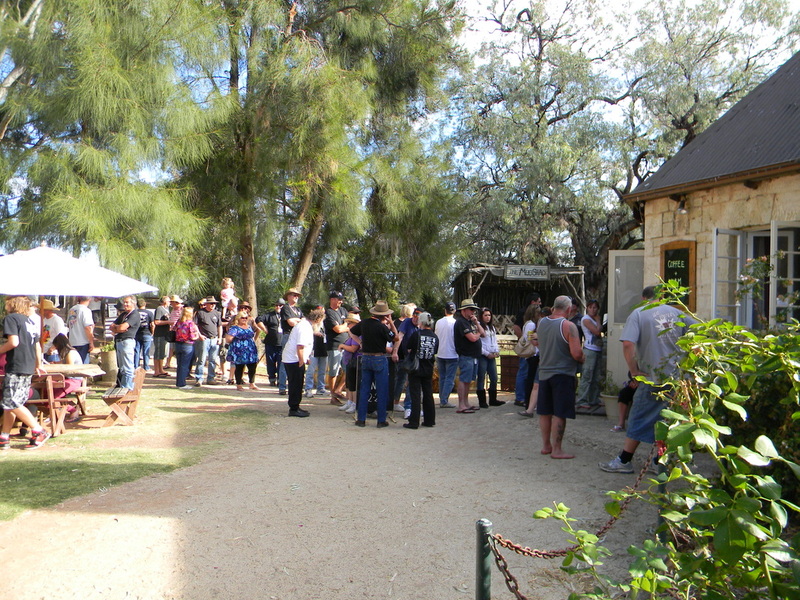 The presentation night and the dinner was an excellent affair and everyone was served quickly, for the numbers, and with good food. 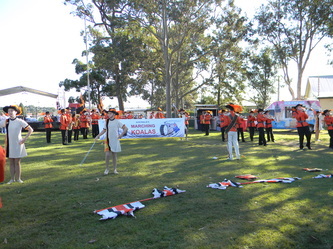 Thank you to all those who organised and assisted in the running of this truly memorable event. 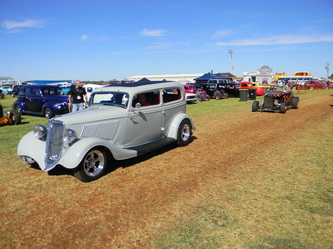 Mick attended this event and had a fantastic day. There was a great crowd and these are some of his pictures of the day. 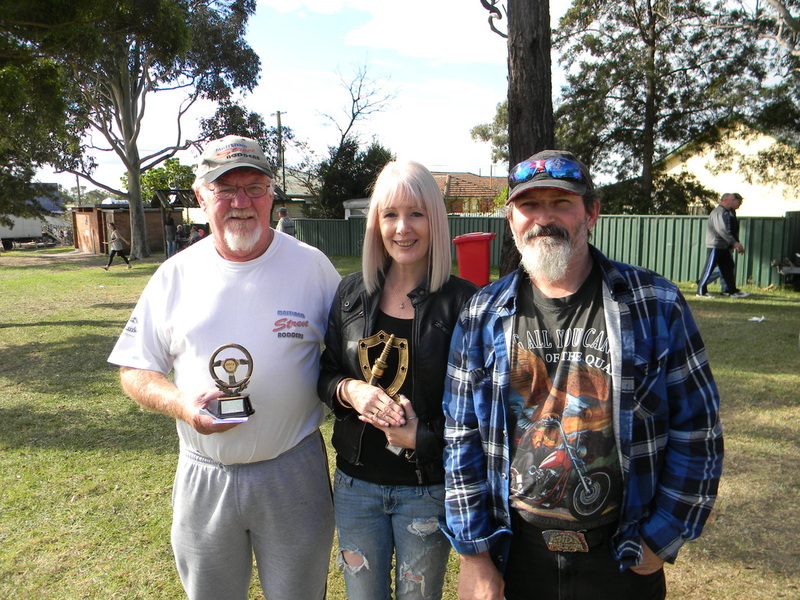 The inaugural Beresfield Street Festival could only be described as a roaring success and all that helped organise and run the event should be congratulated. They had about 100 stalls to be visited and plenty of activities for the kids with wall climbing slippery slides and face painting just to mention a few. 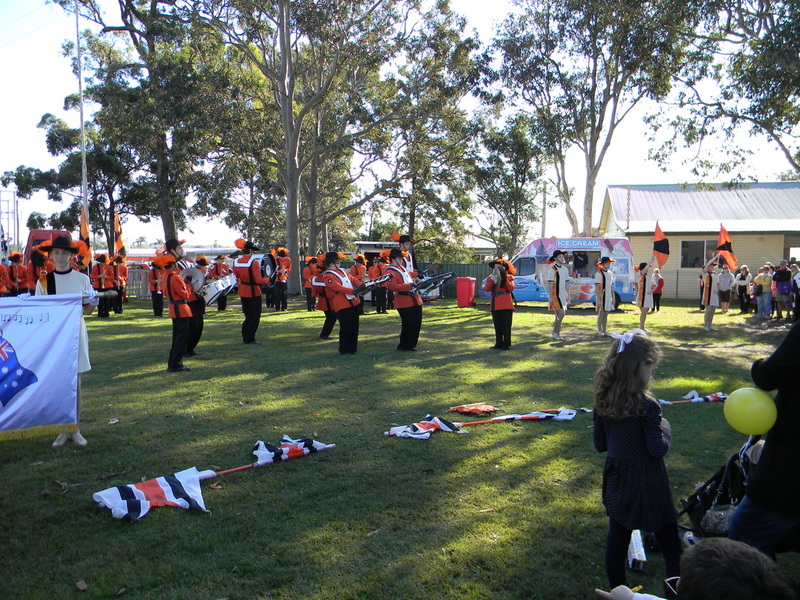 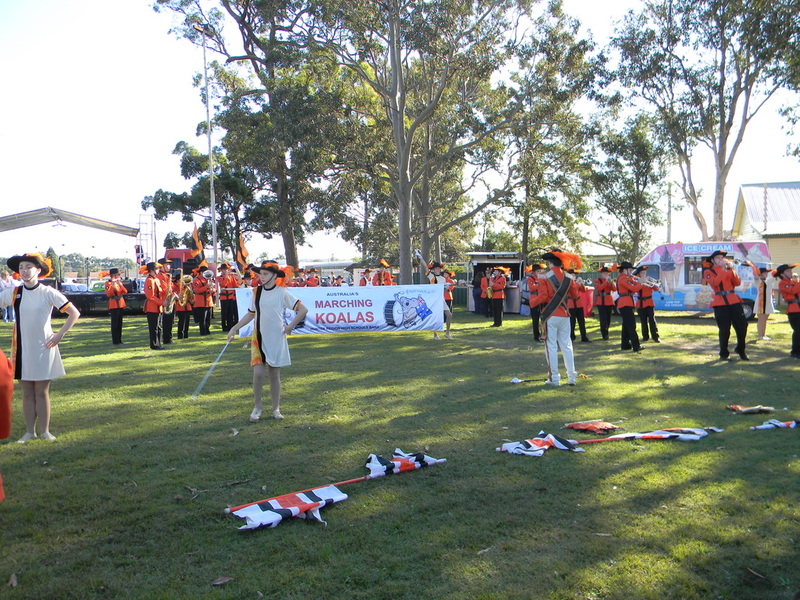 The entertainment in the Park was very good and everyone who attended should have enjoyed the show. 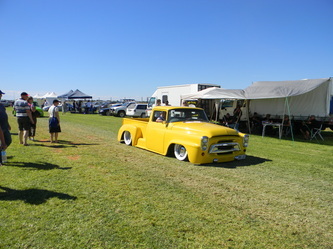 Lets hope it can turn out to be an annual event. 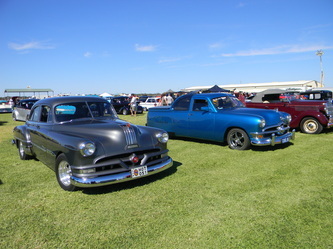 The Show and Shine had about 40 entrants and I feel this number will increase in future years when word gets out how good this day was. You can see the smiling faces of some of the trophy winners in the pictures below.